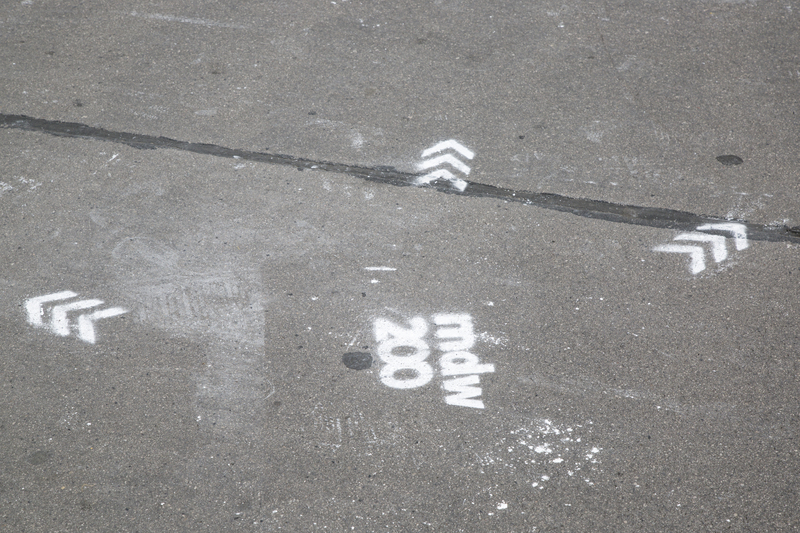 In 2017, the mdw celebrated two centuries of existence. 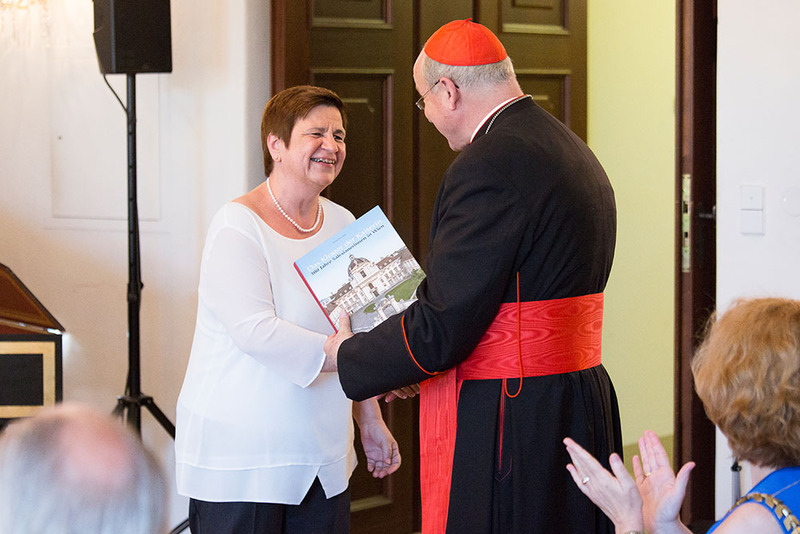 On these pages, you’ll find photos, information, and links to further material on selected events from our jubilee year. 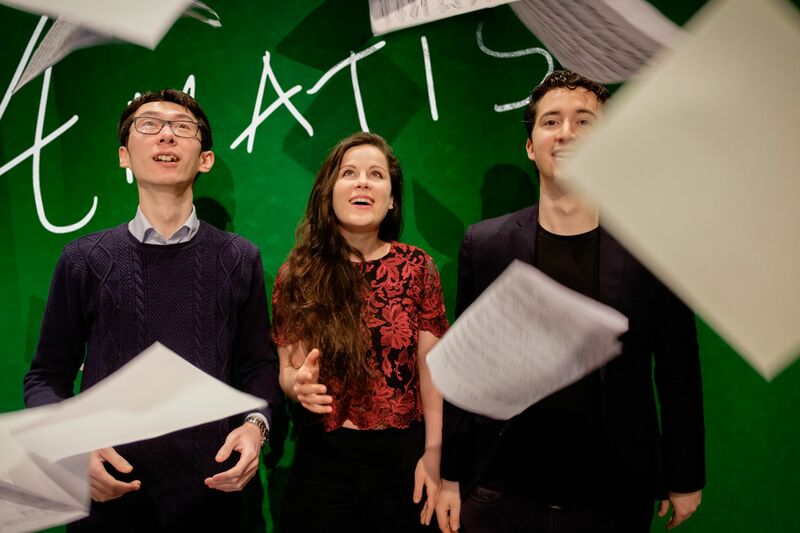 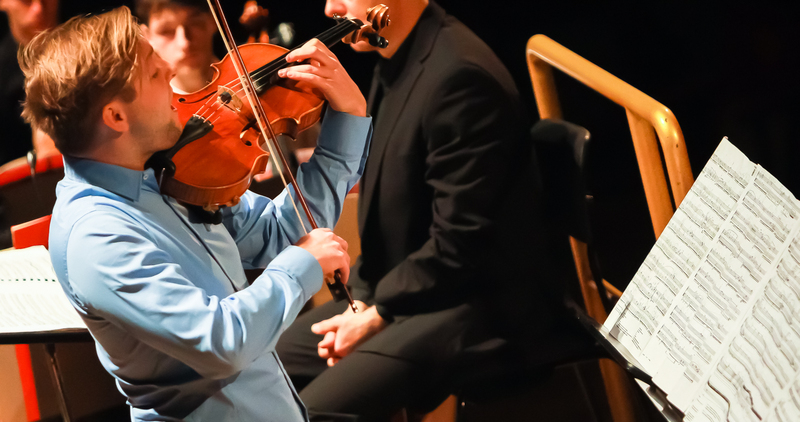 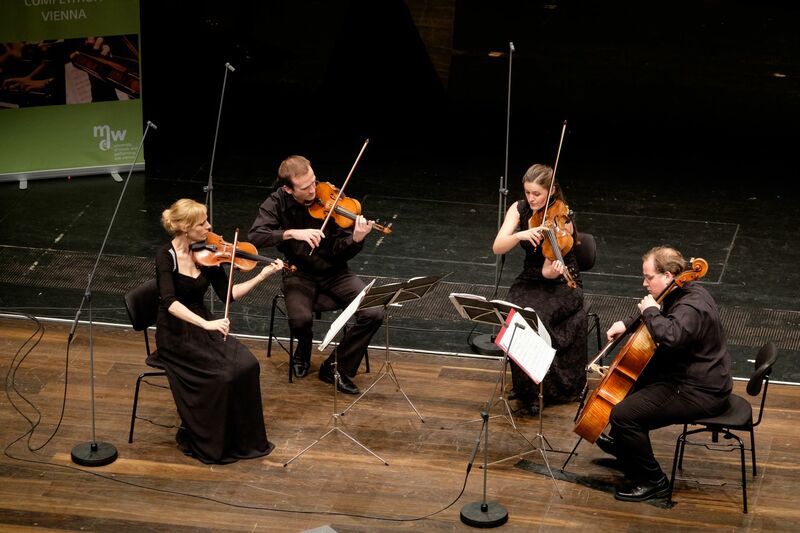 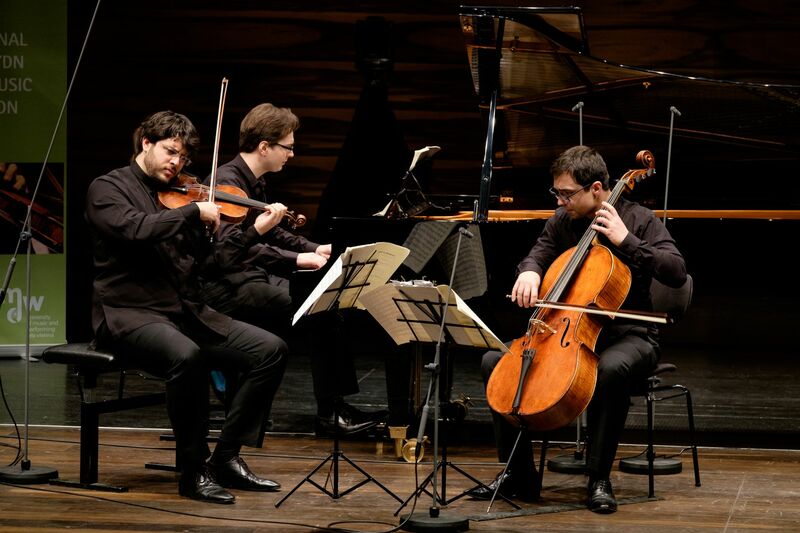 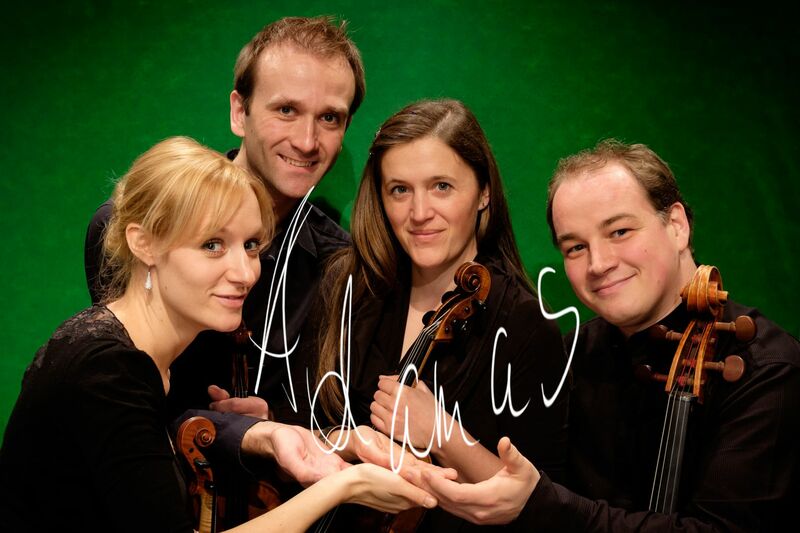 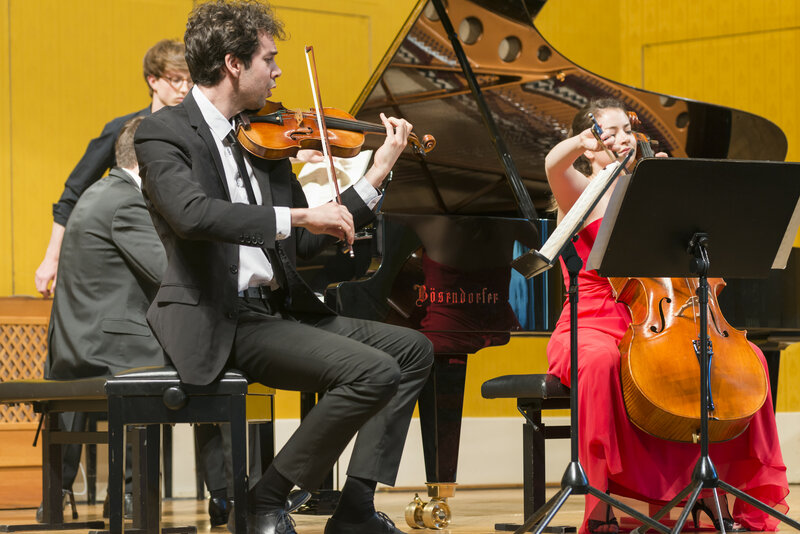 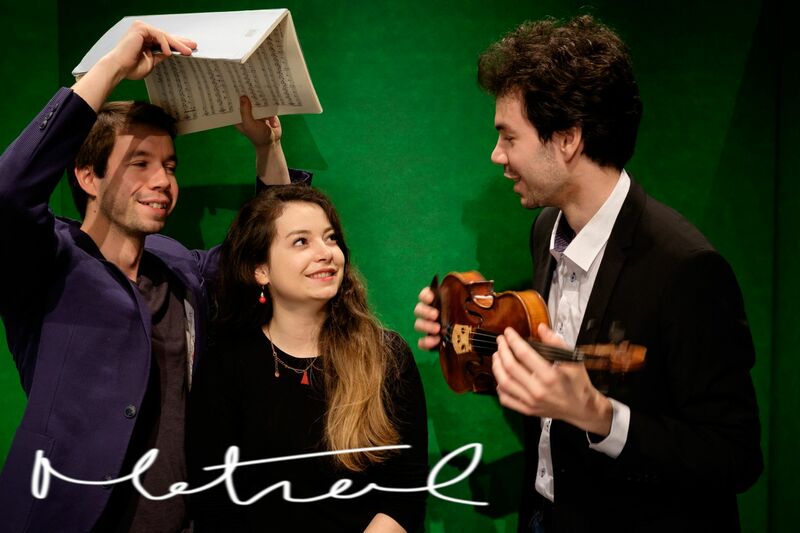 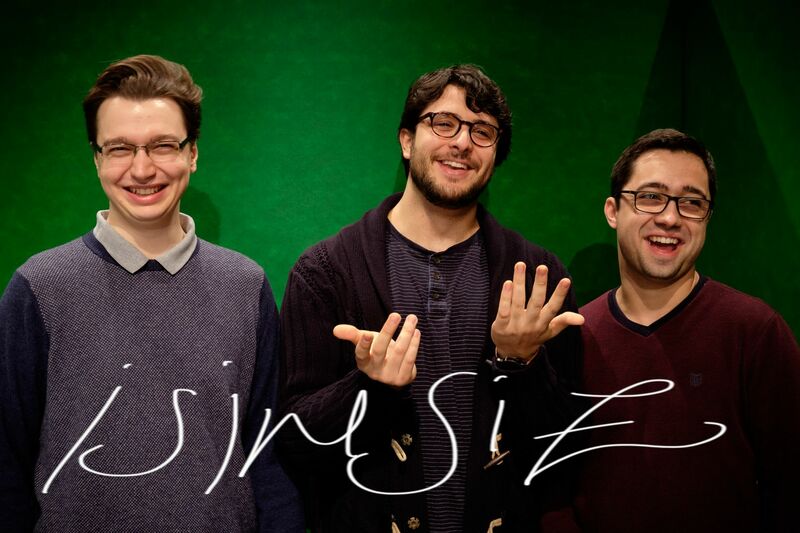 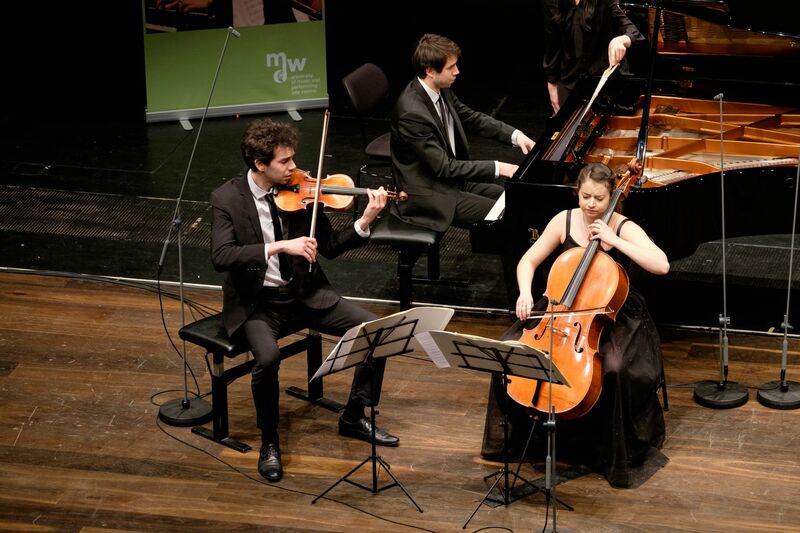 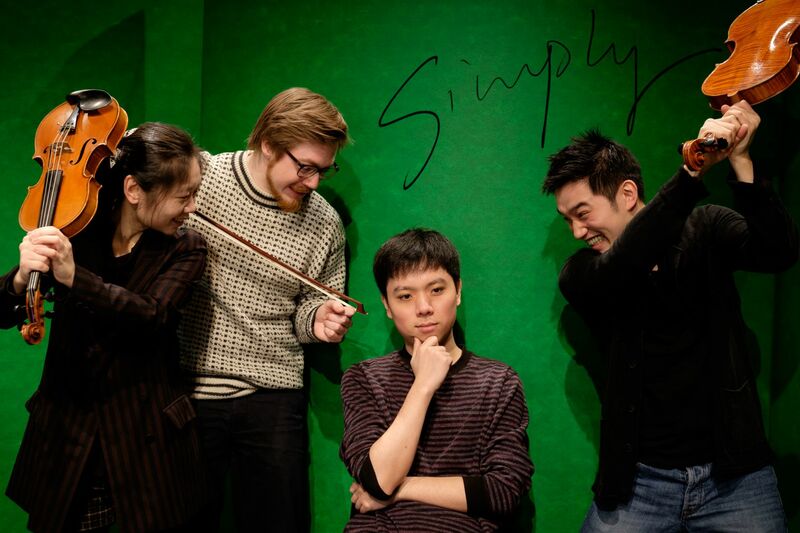 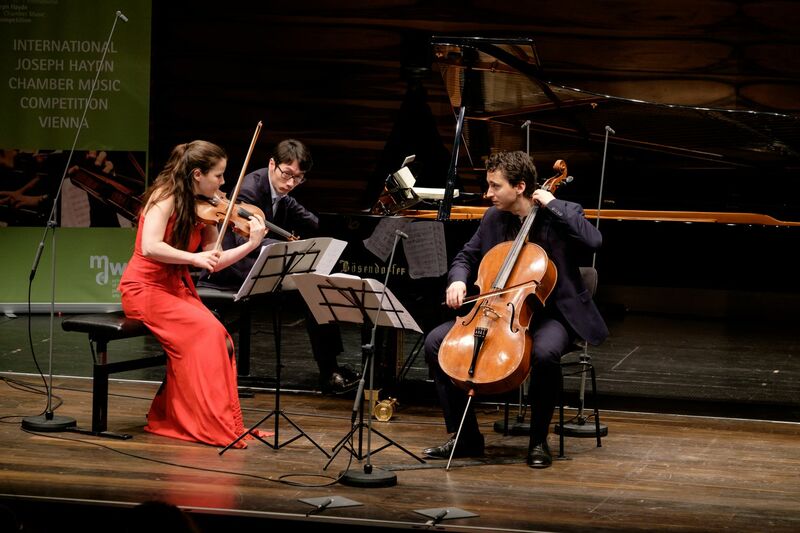 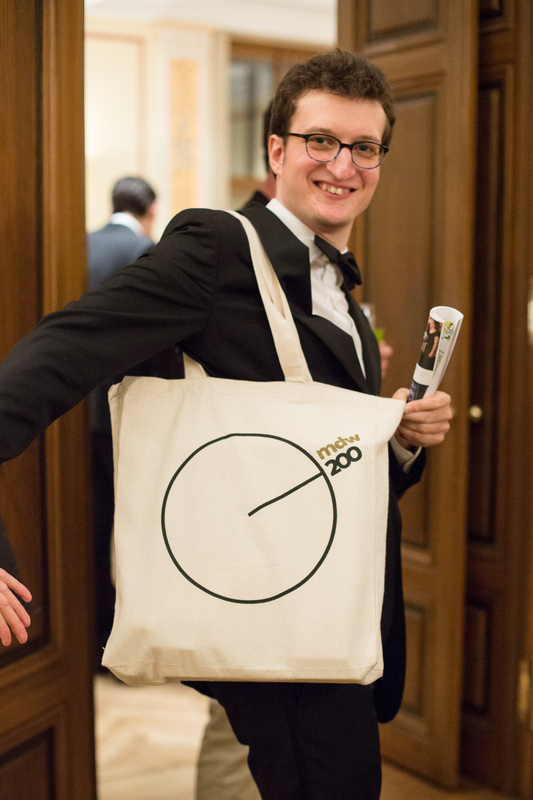 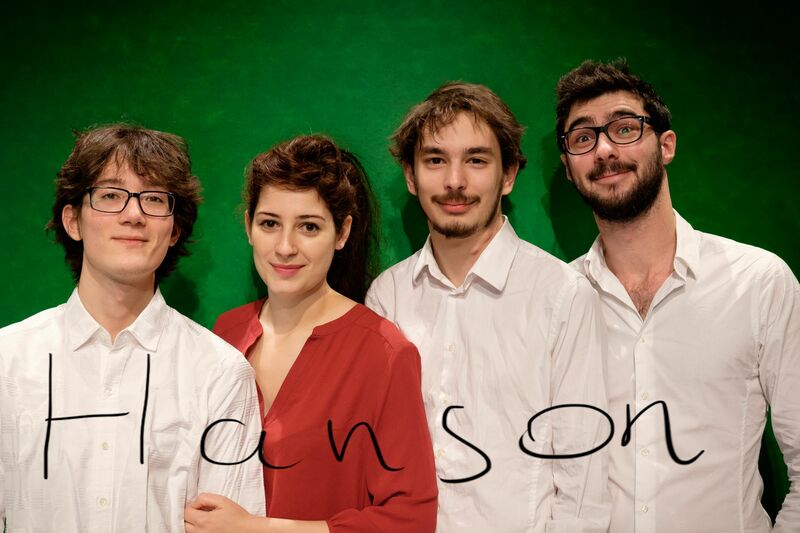 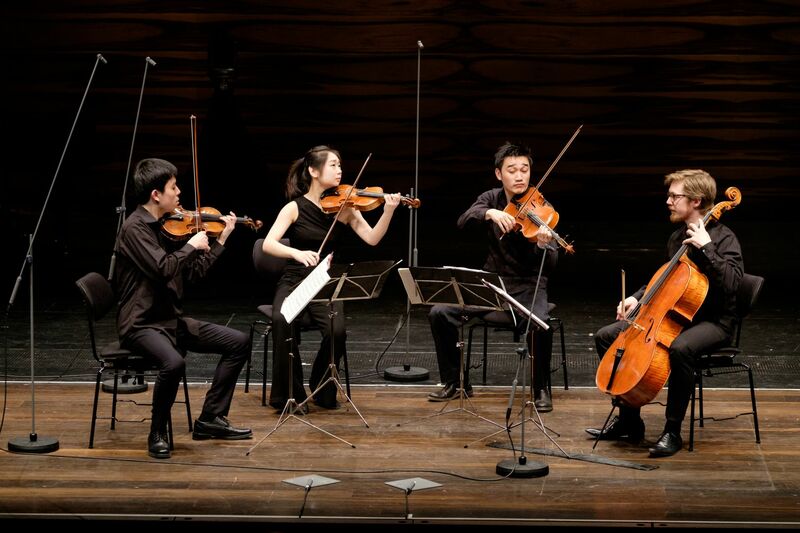 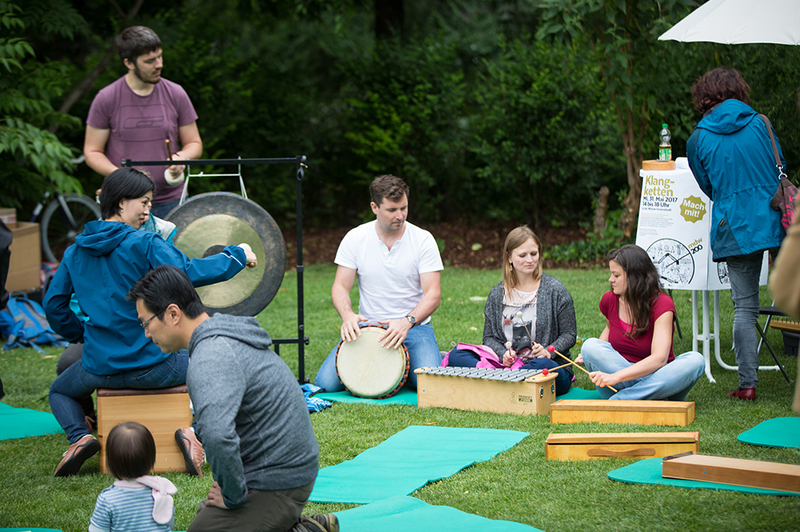 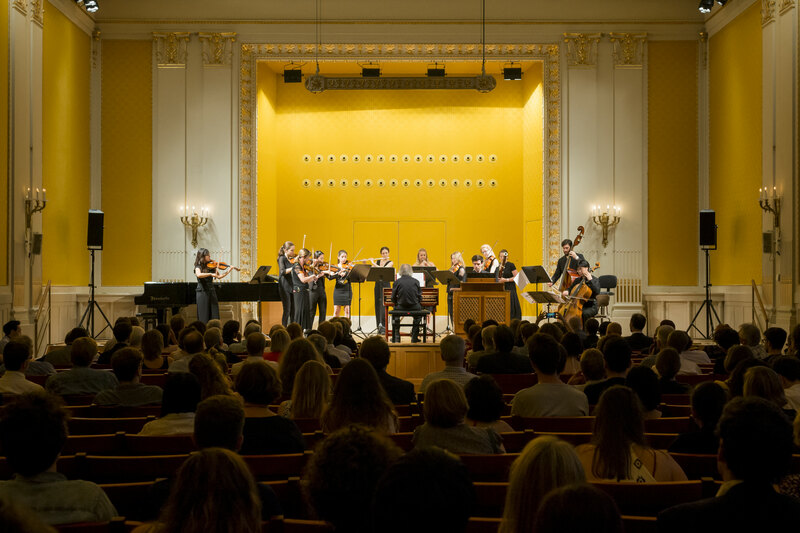 This competition, which took place for the first time in 2001, has since grown into one of the largest and most important competitions for the young international chamber music scene. 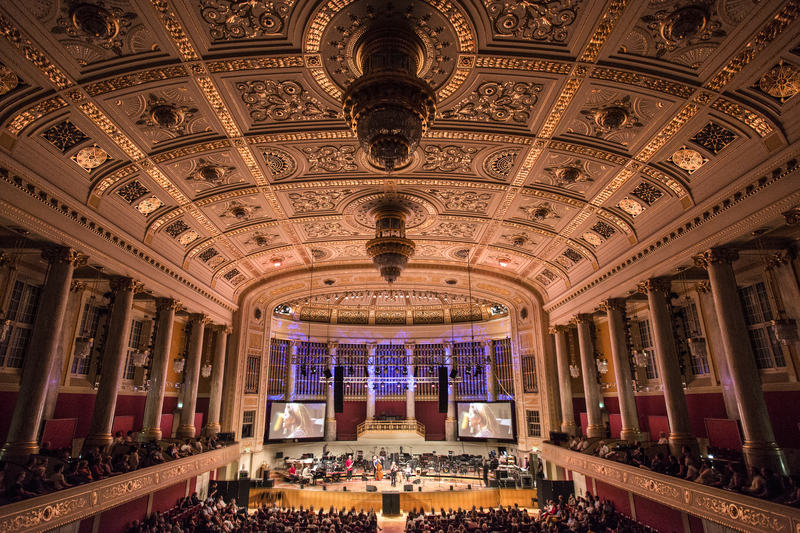 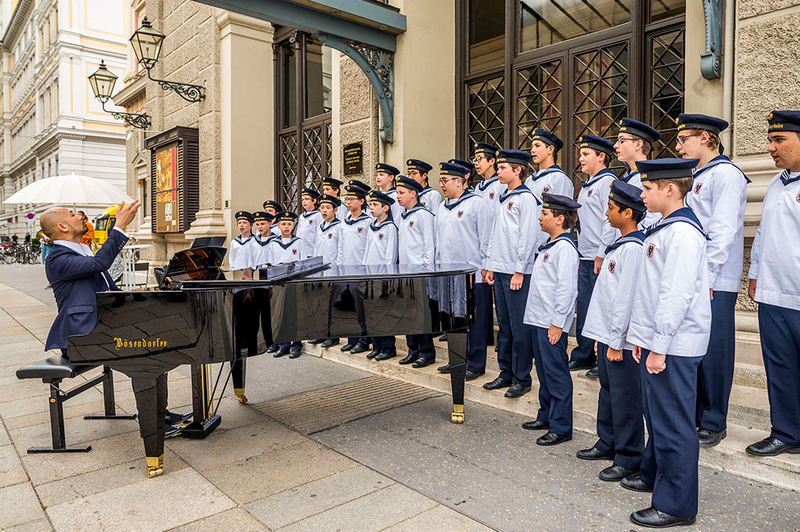 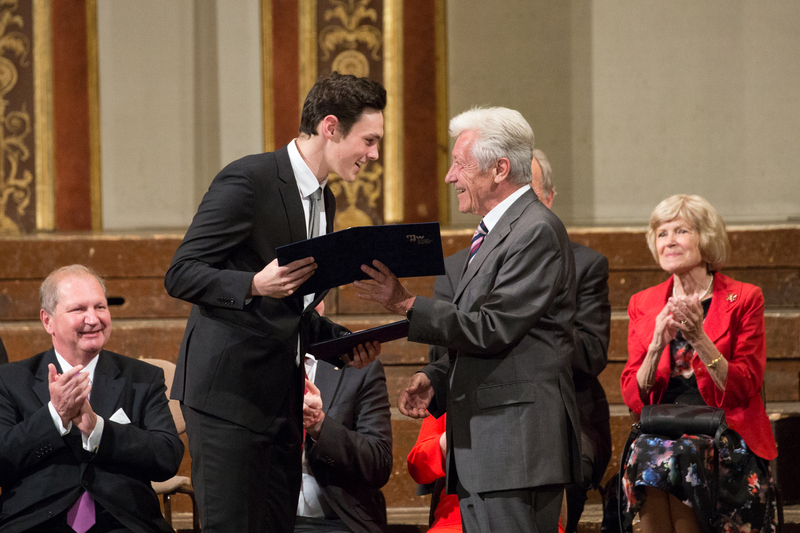 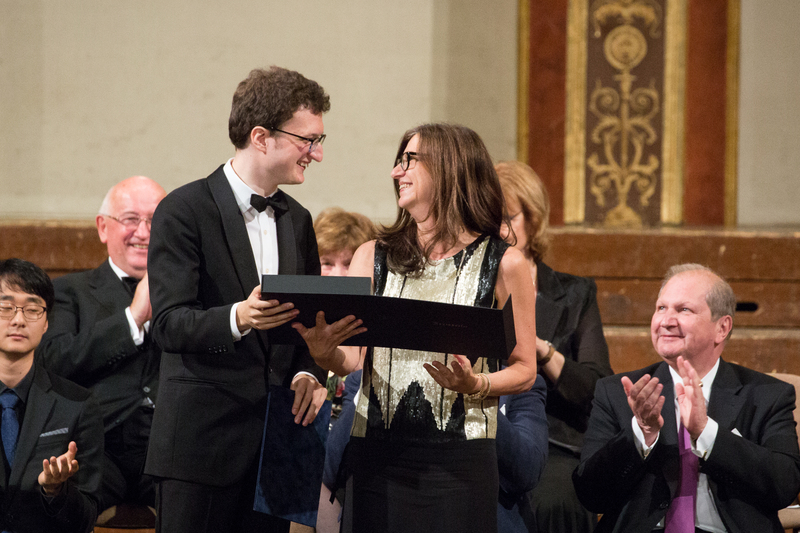 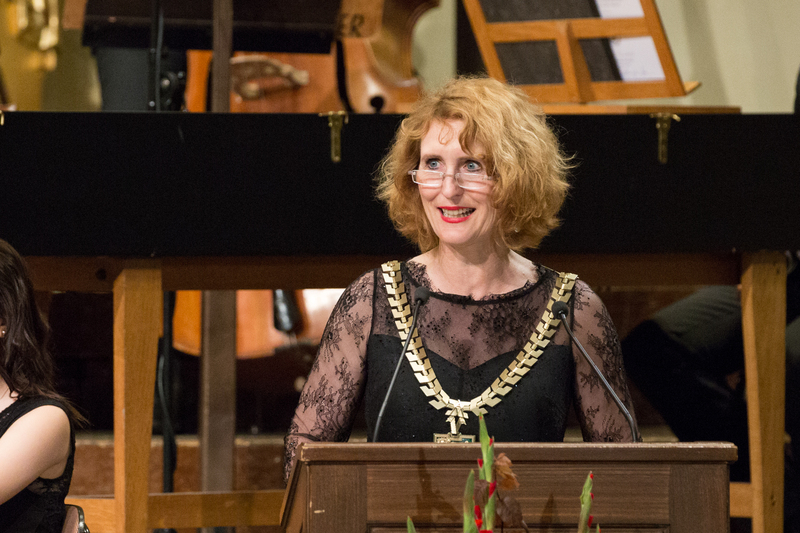 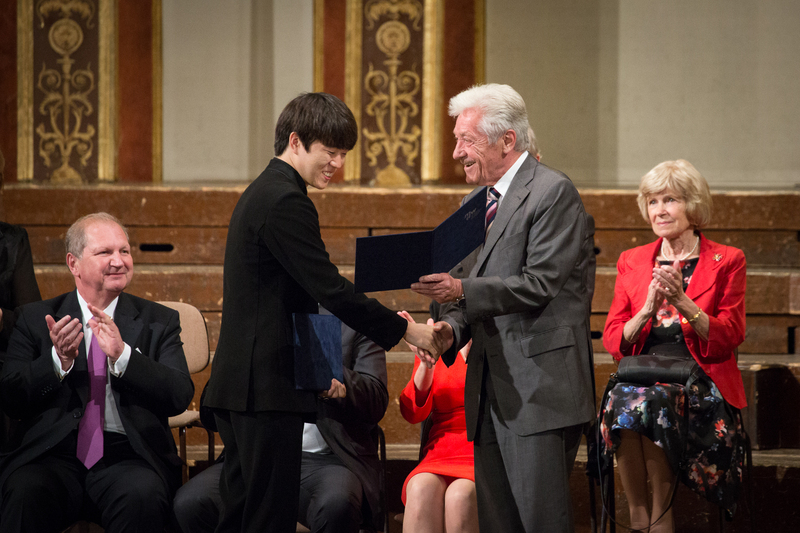 Here are some impressions from the Final Round concert at MuTh, the concert hall of the Vienna Boys’ Choir. 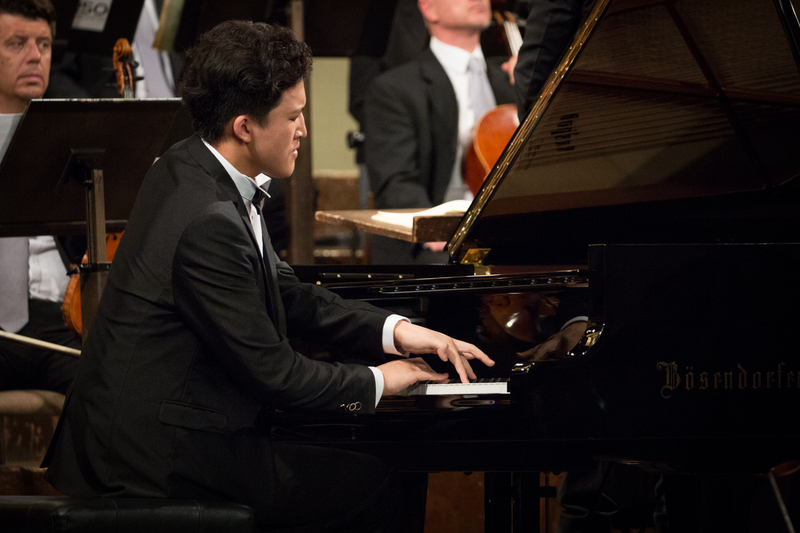 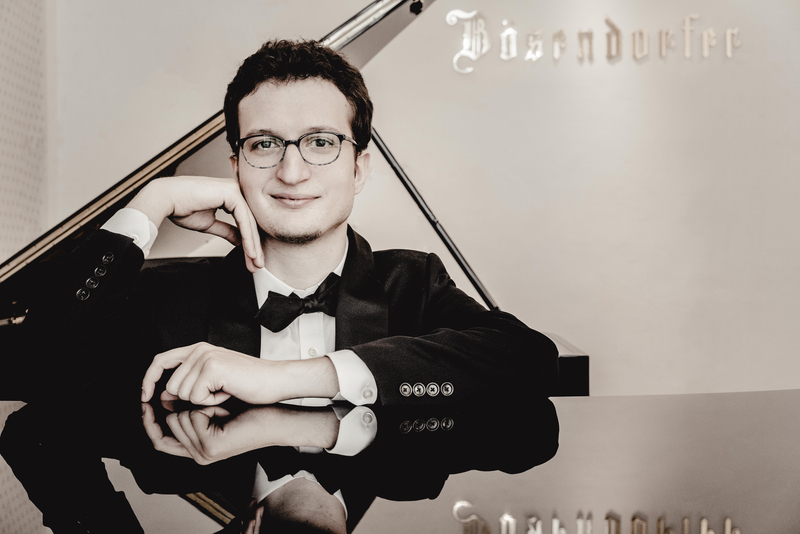 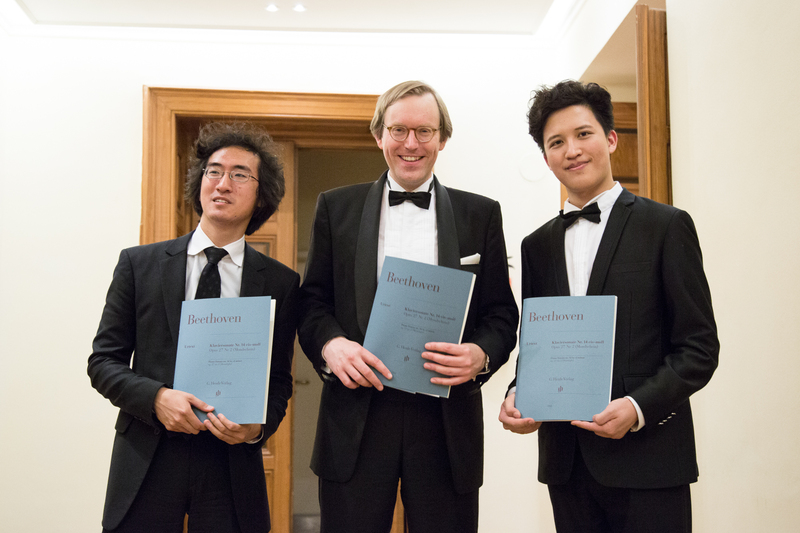 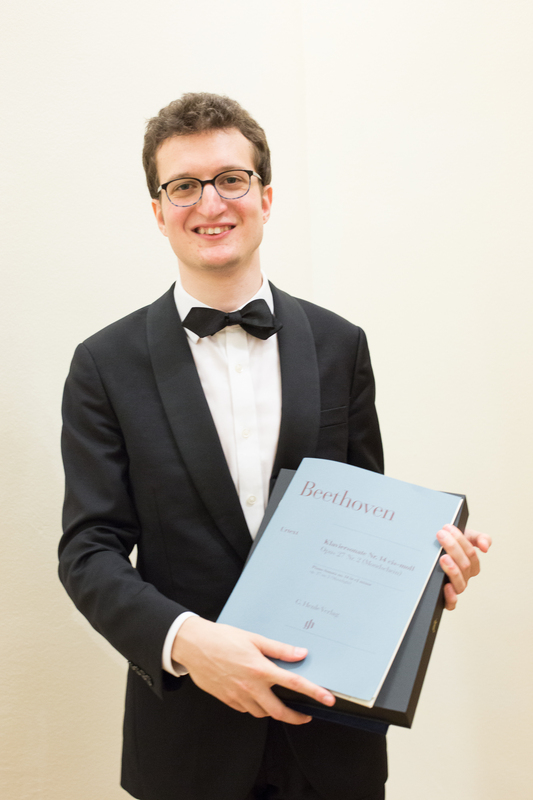 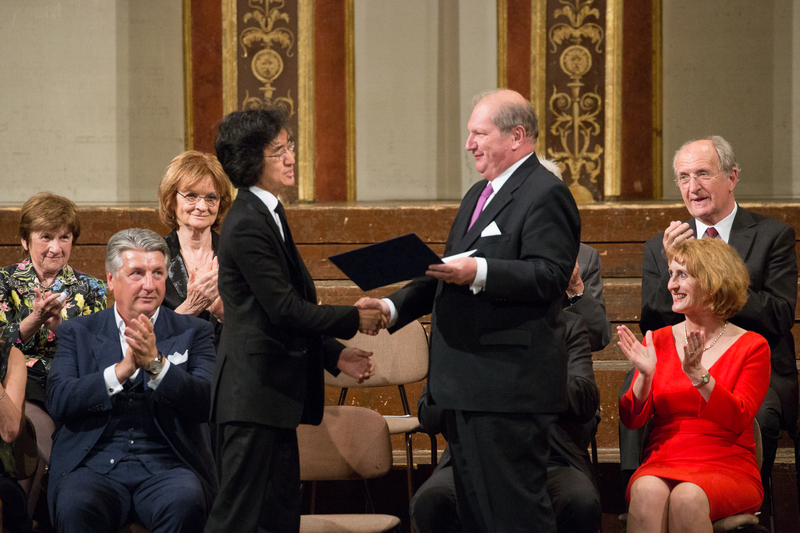 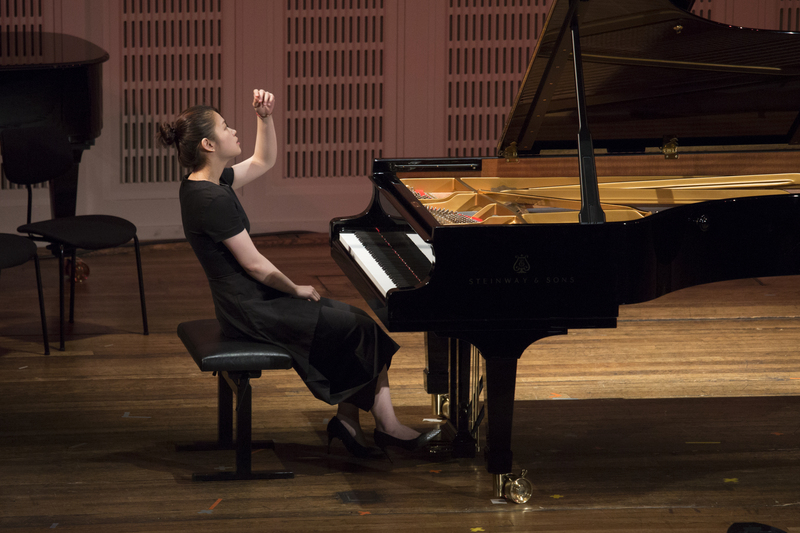 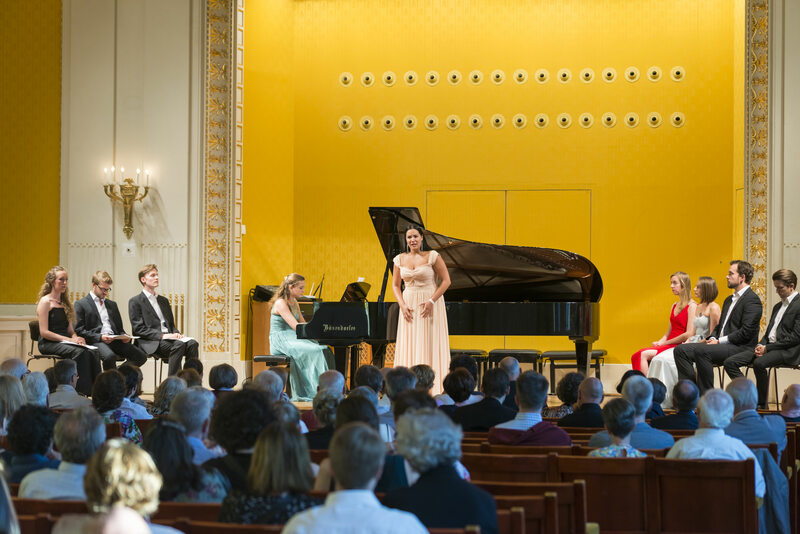 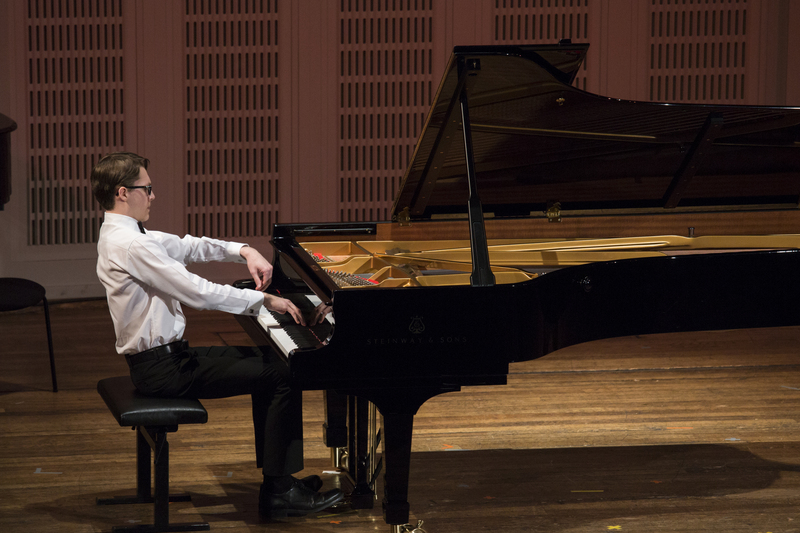 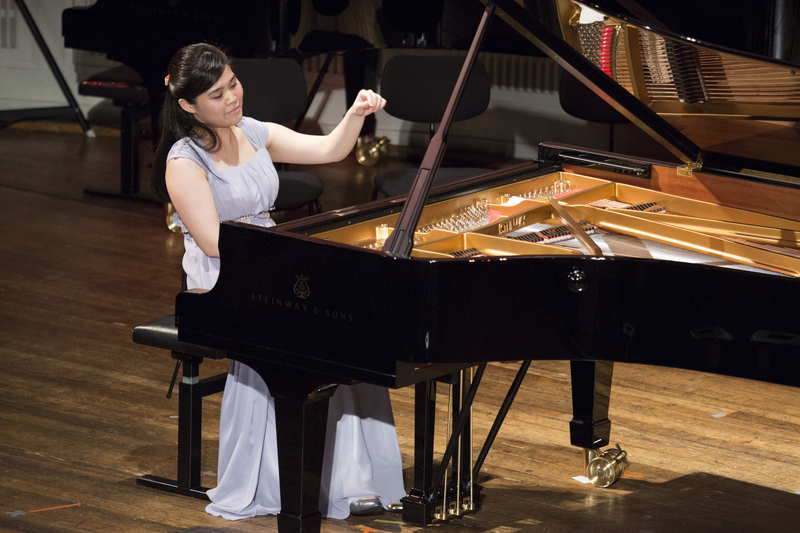 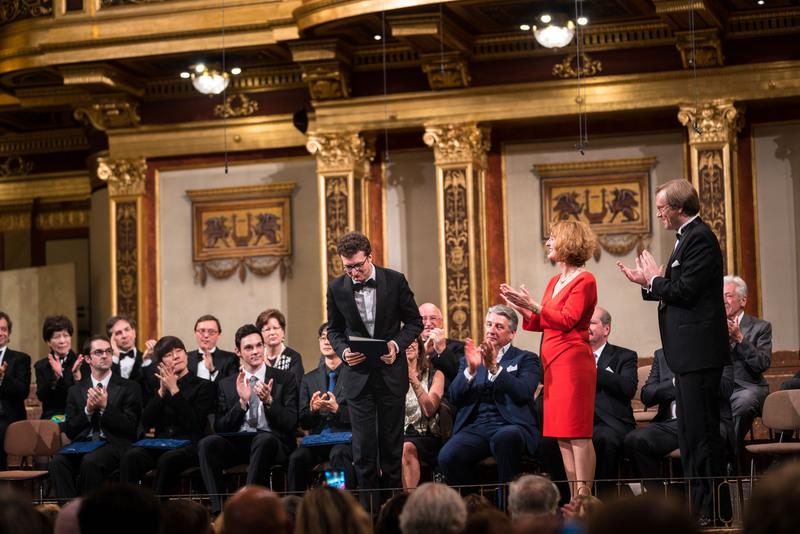 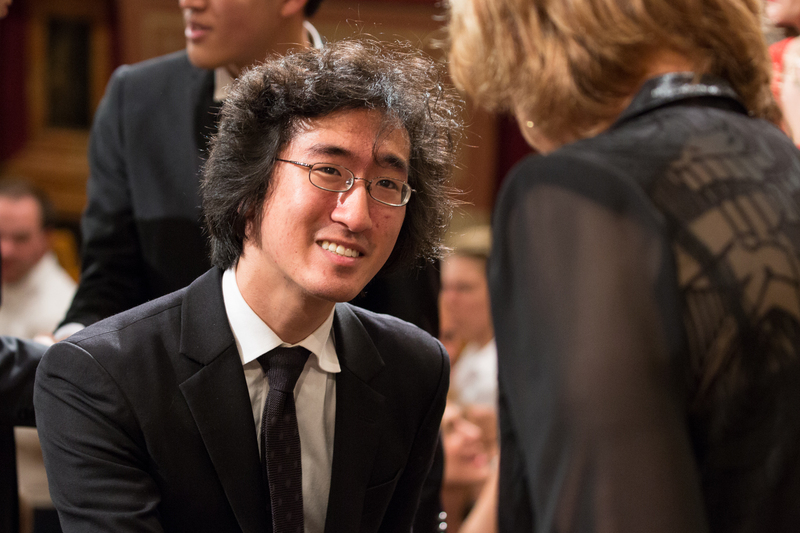 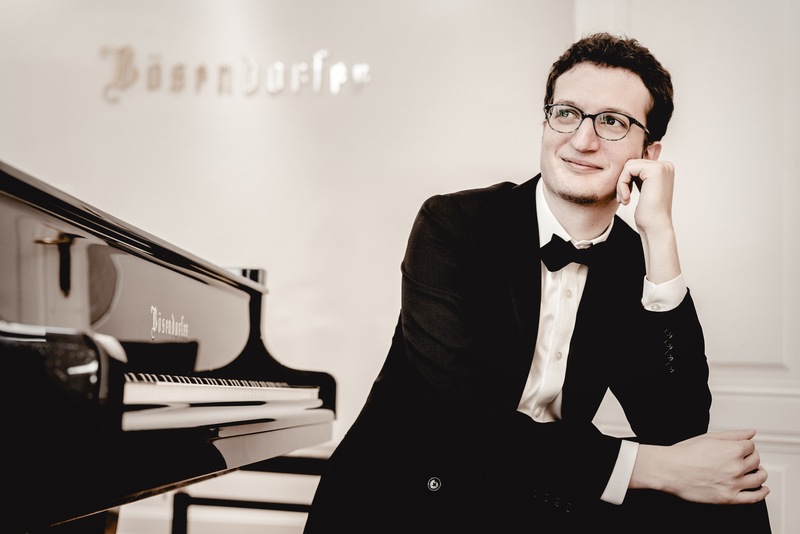 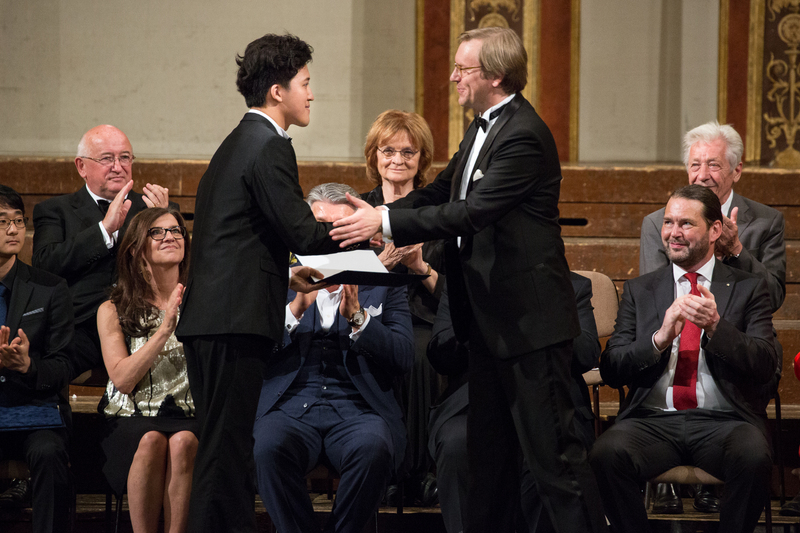 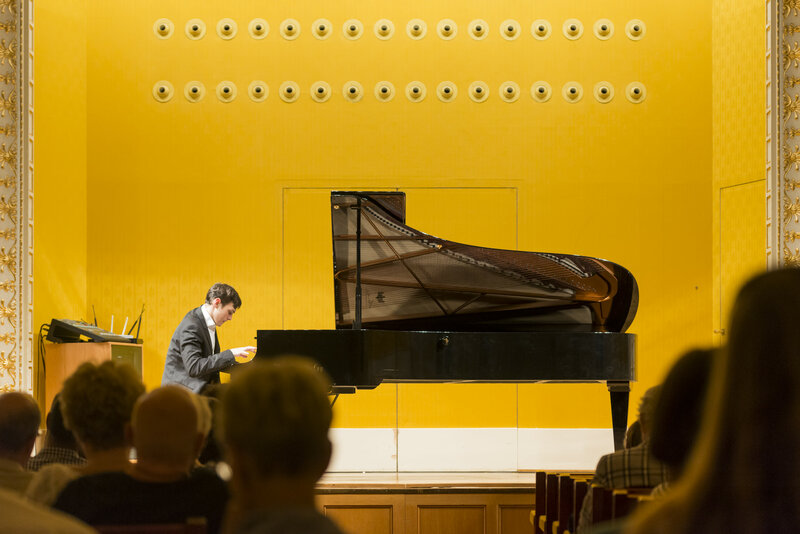 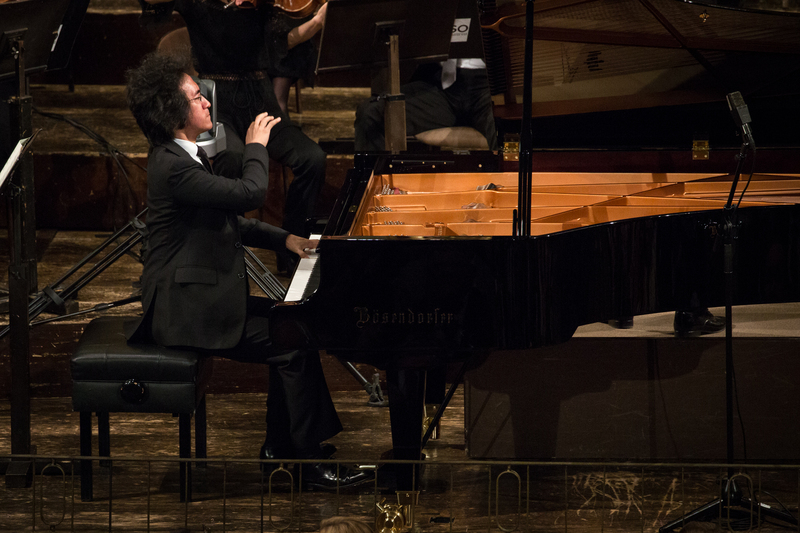 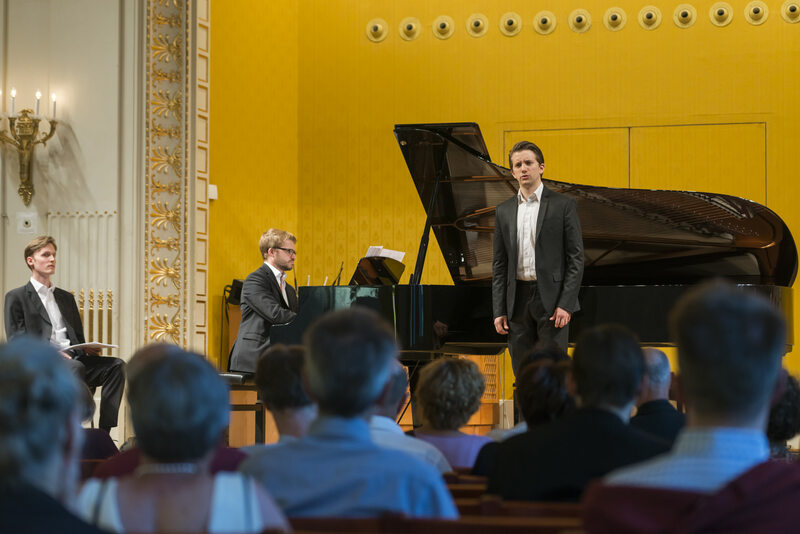 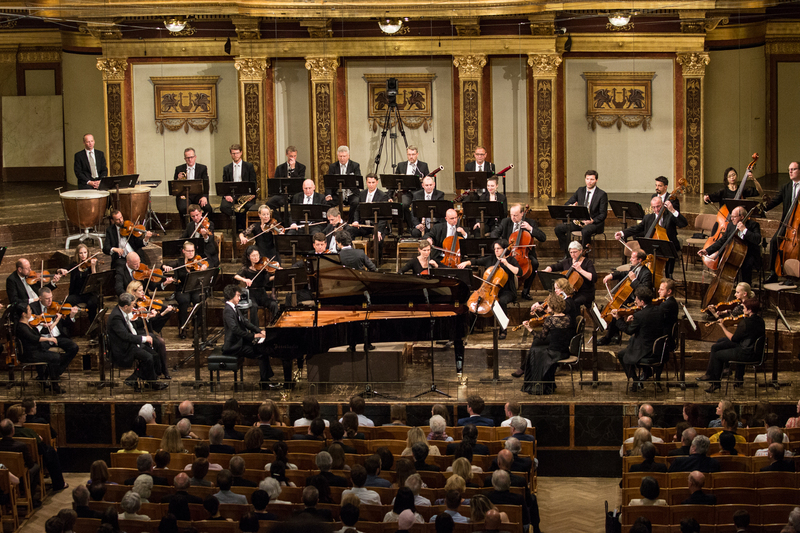 With its exclusive focus on piano works from Beethoven’s oeuvre, this competition has for decades been viewed as an international milestone for the next generation of young pianists. 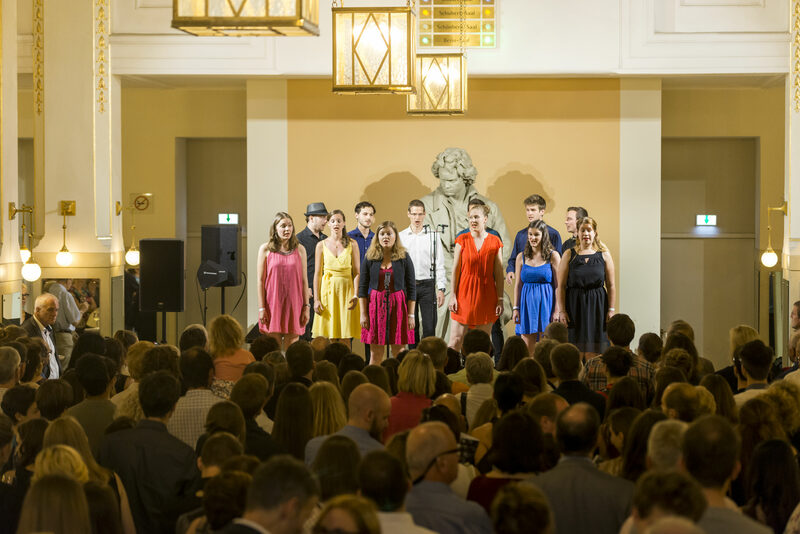 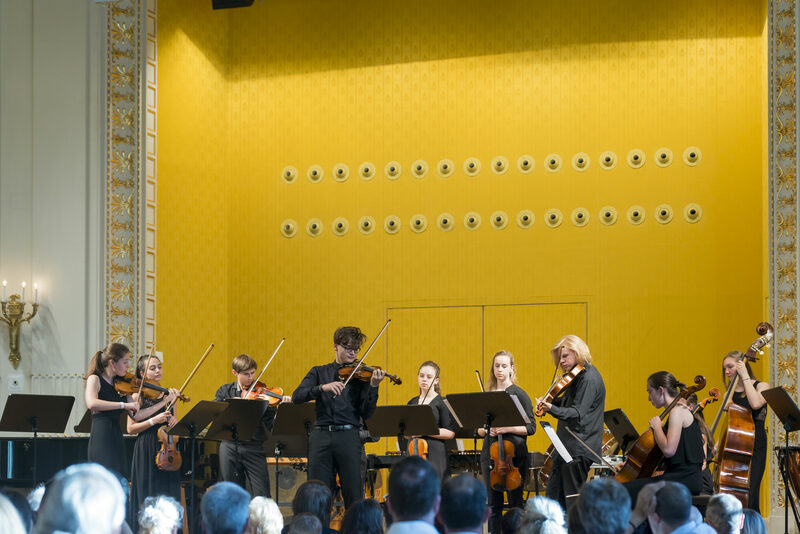 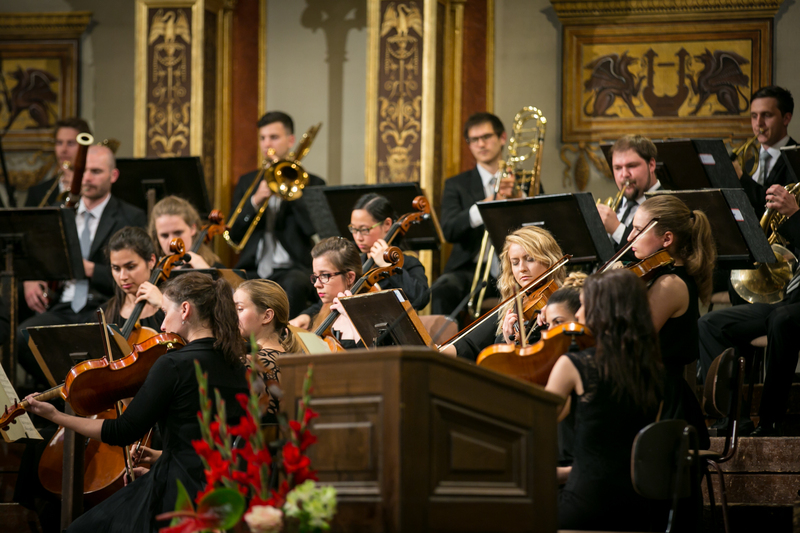 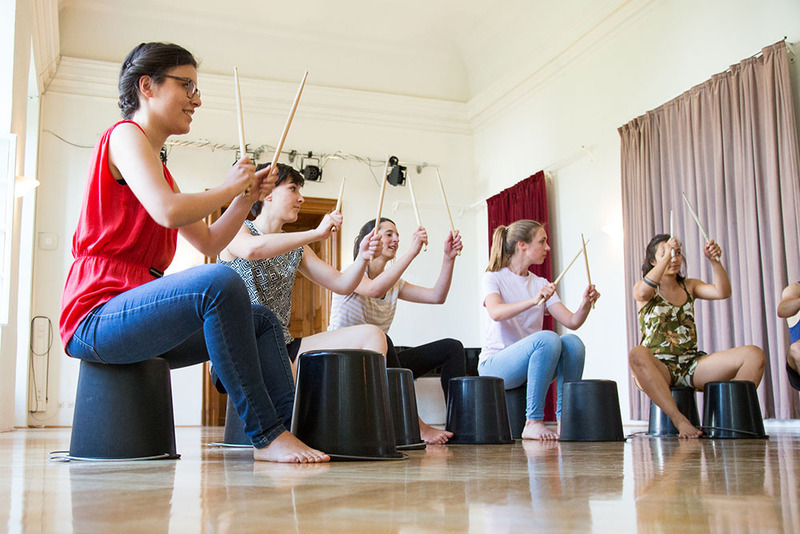 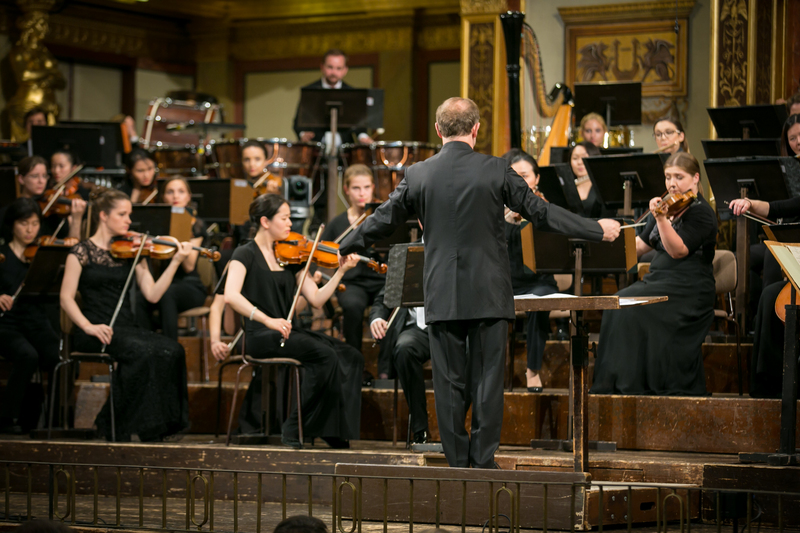 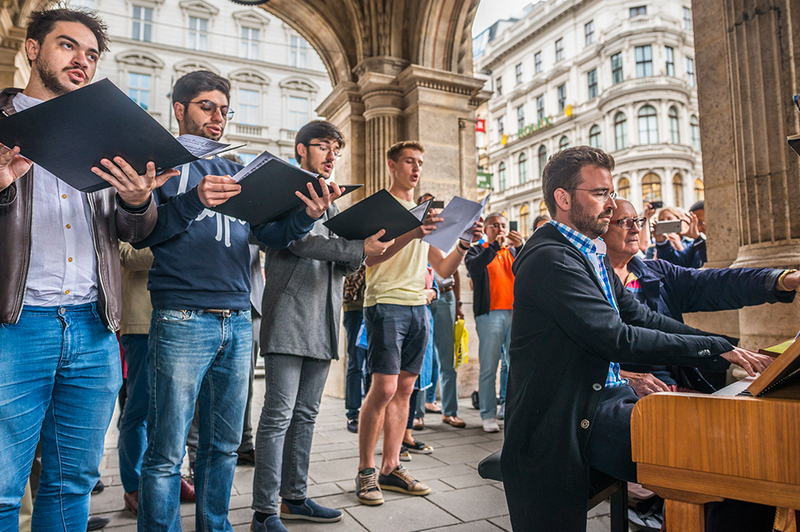 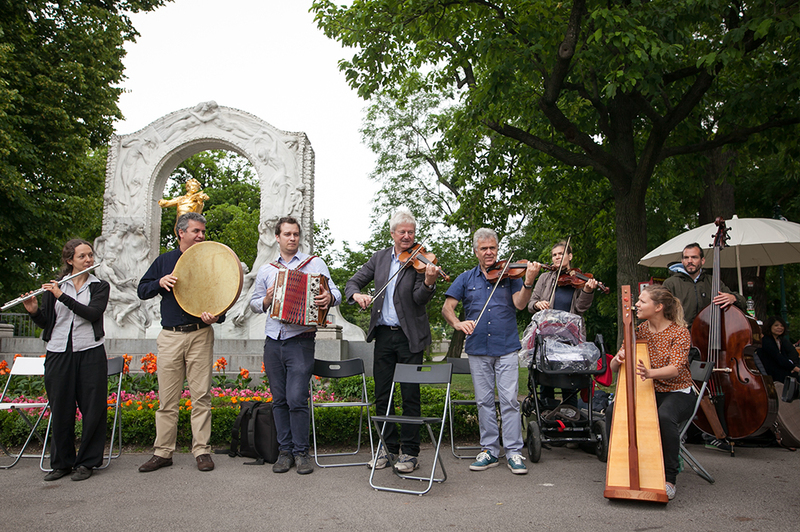 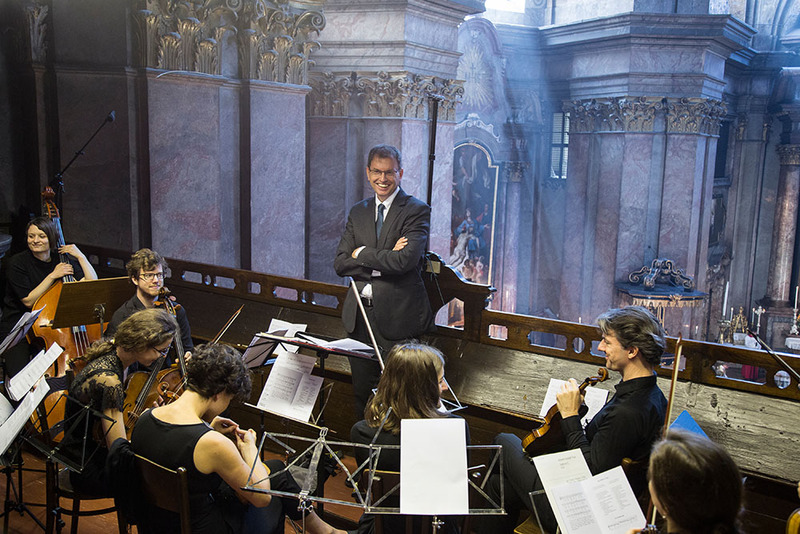 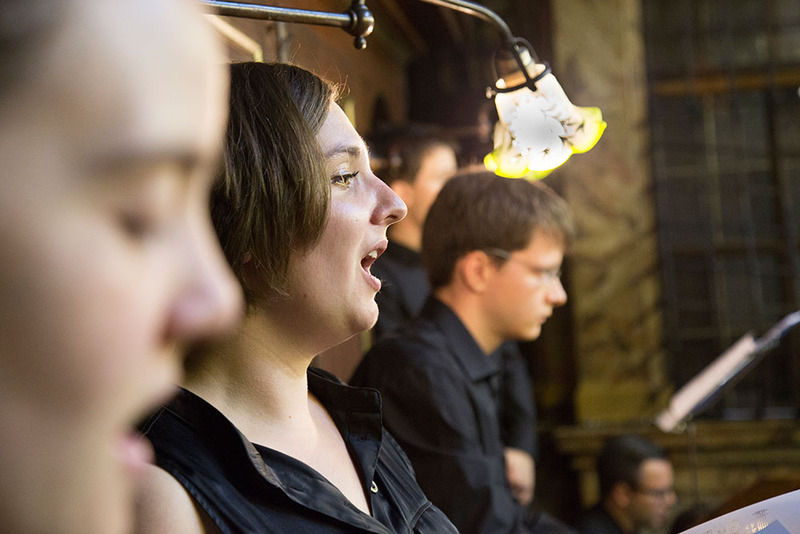 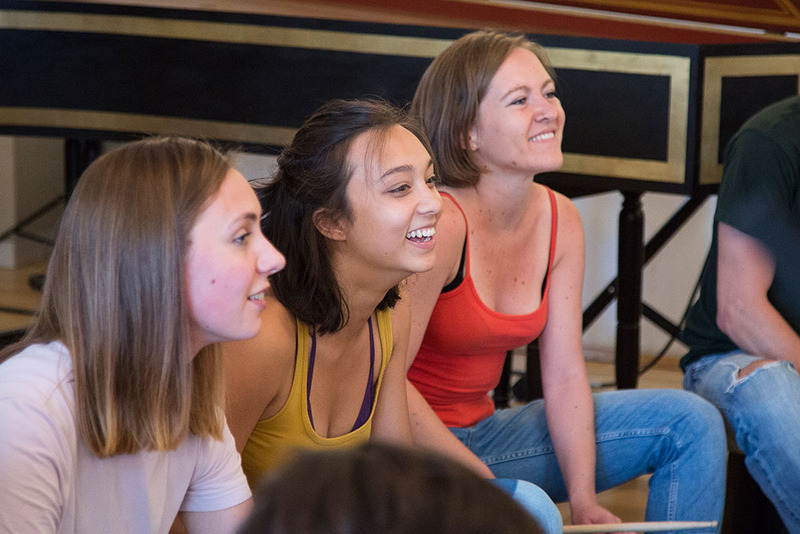 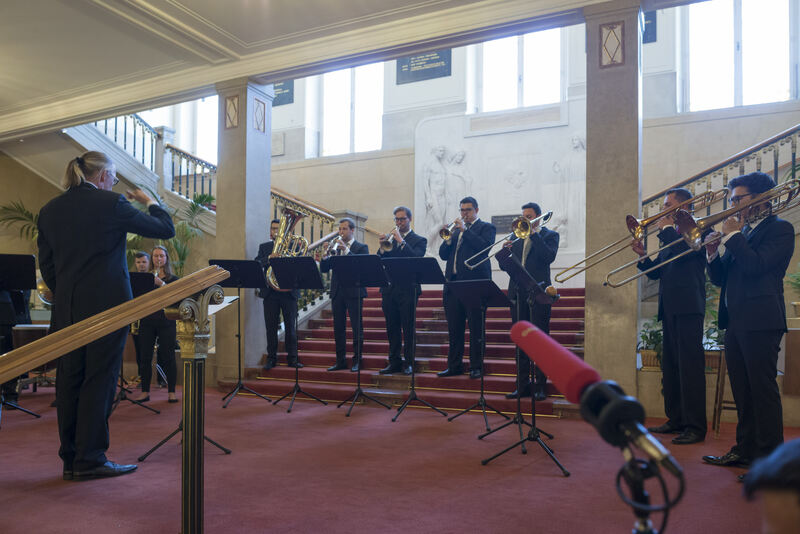 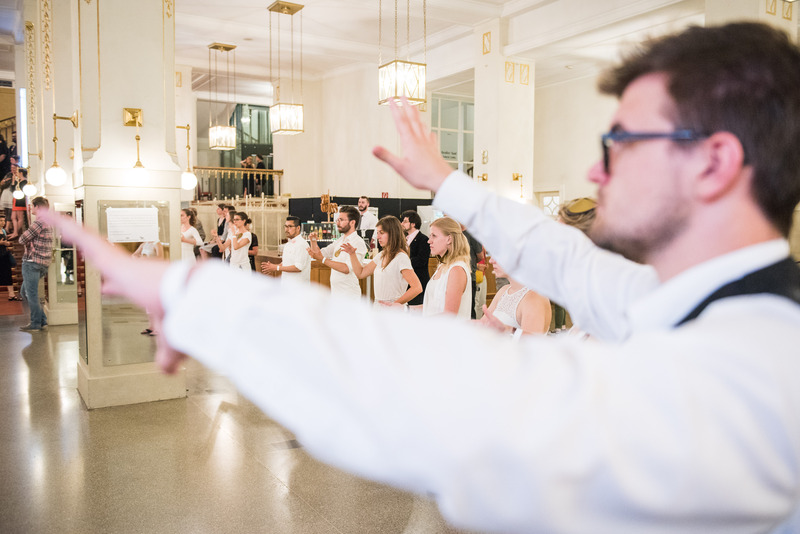 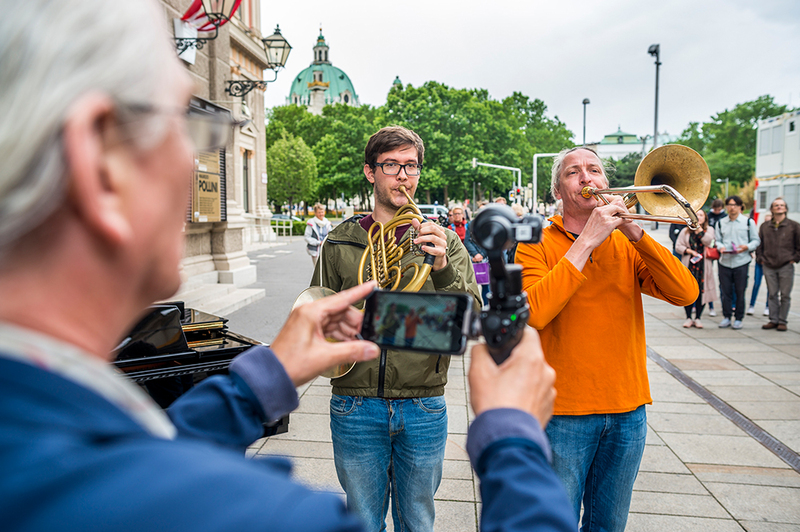 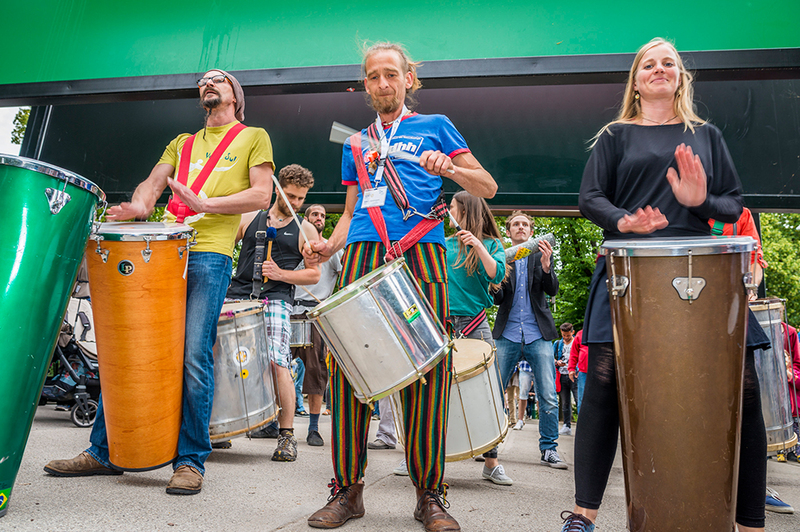 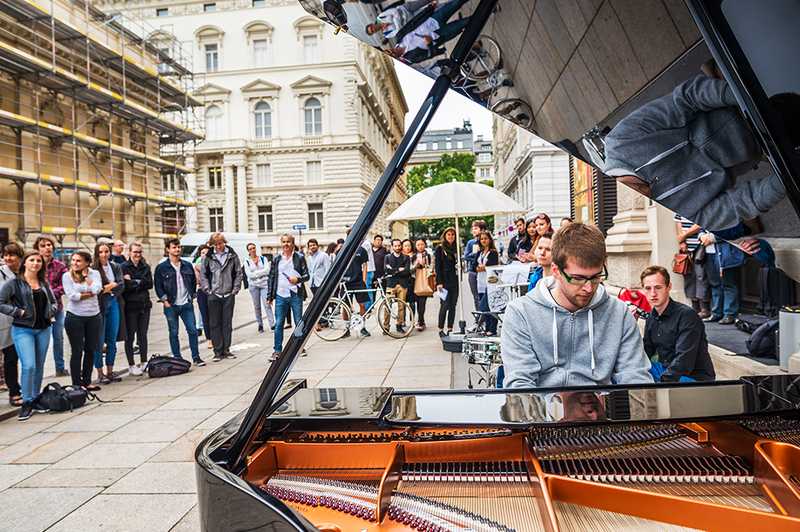 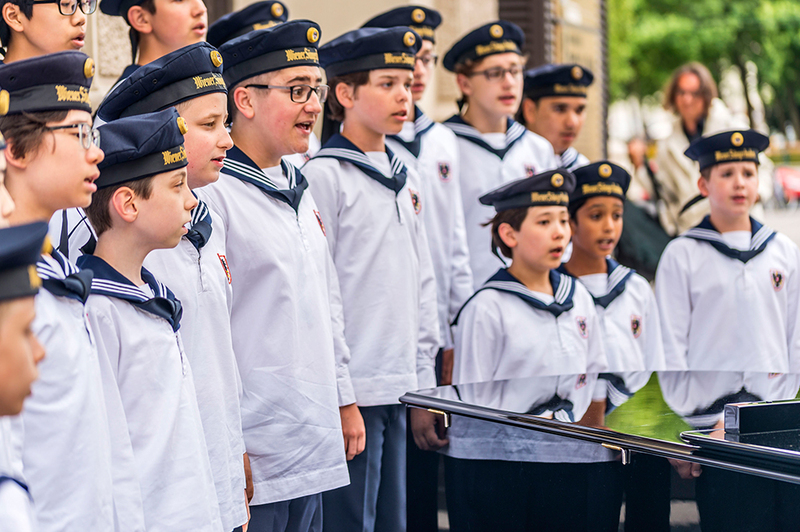 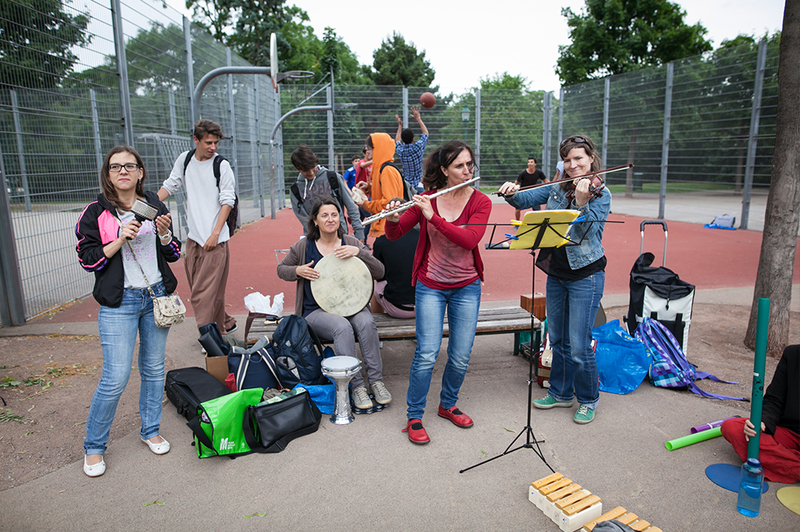 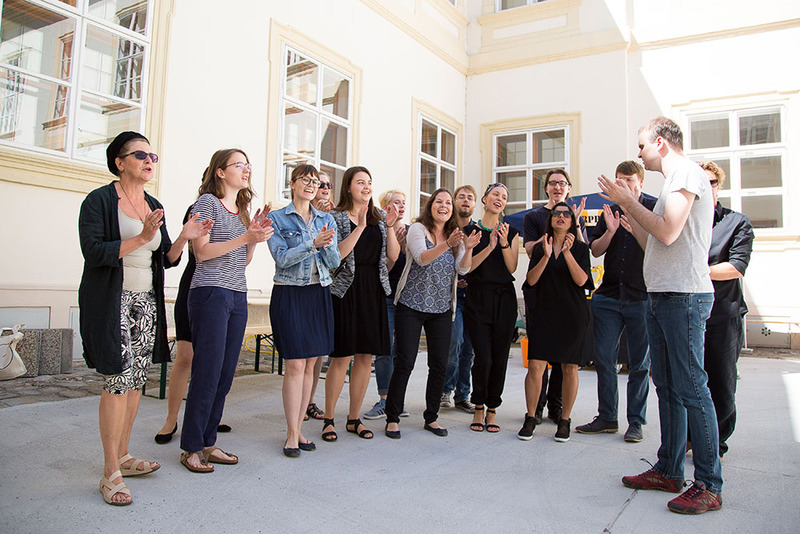 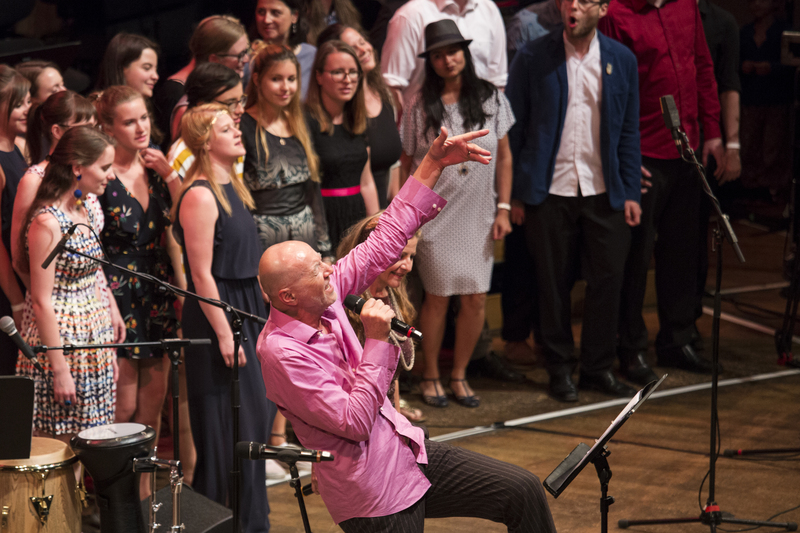 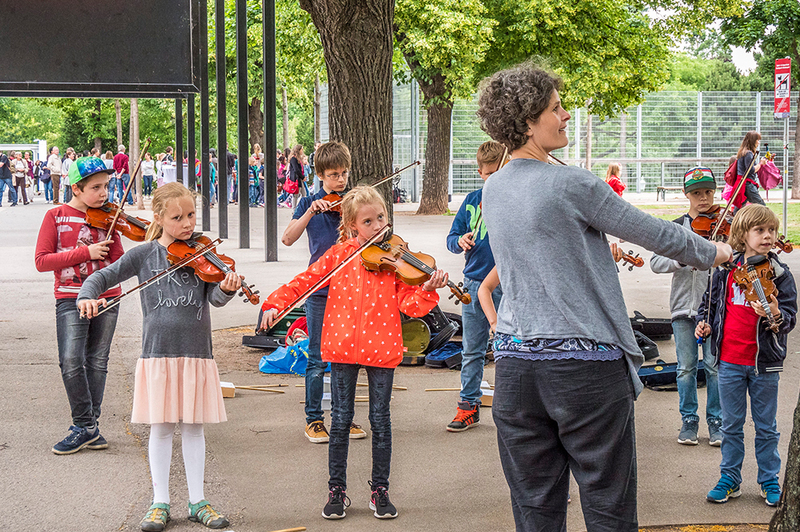 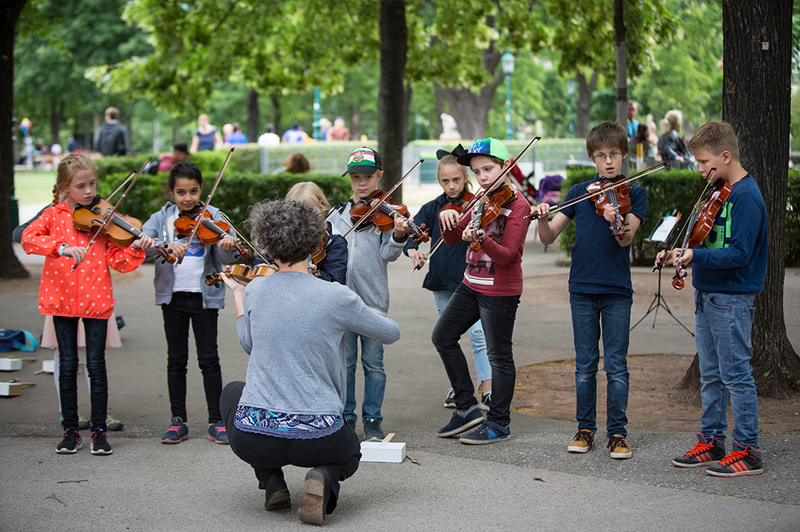 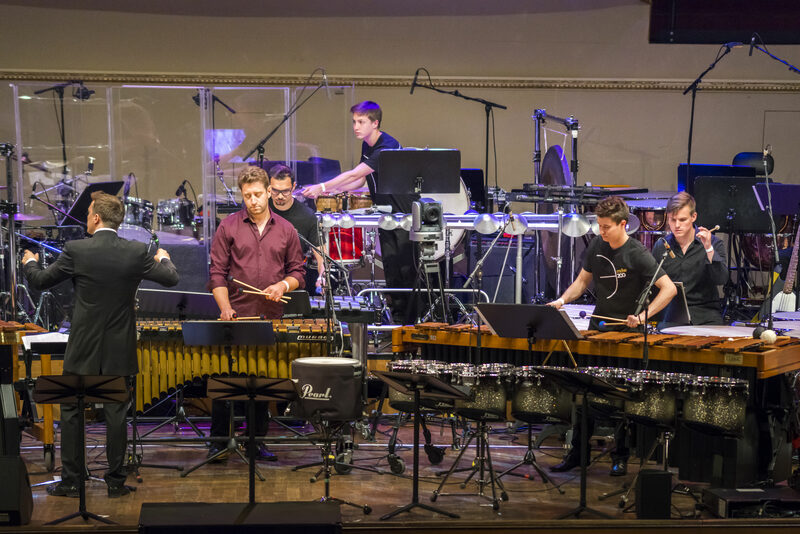 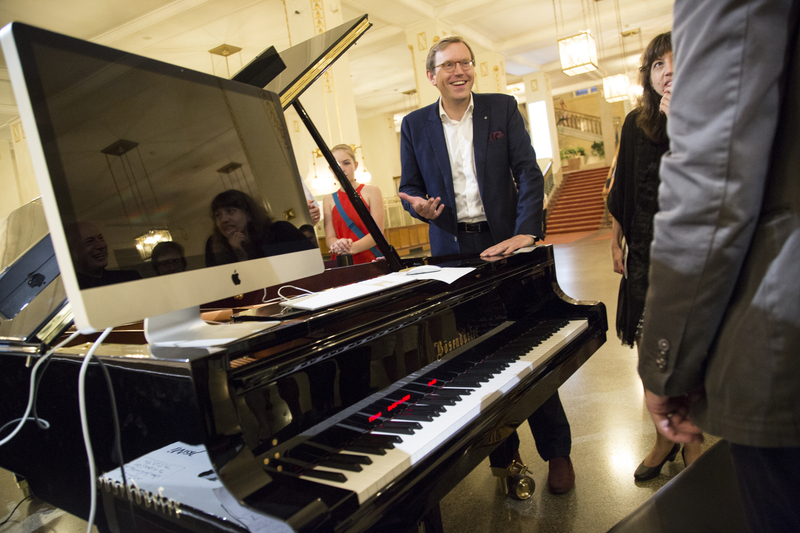 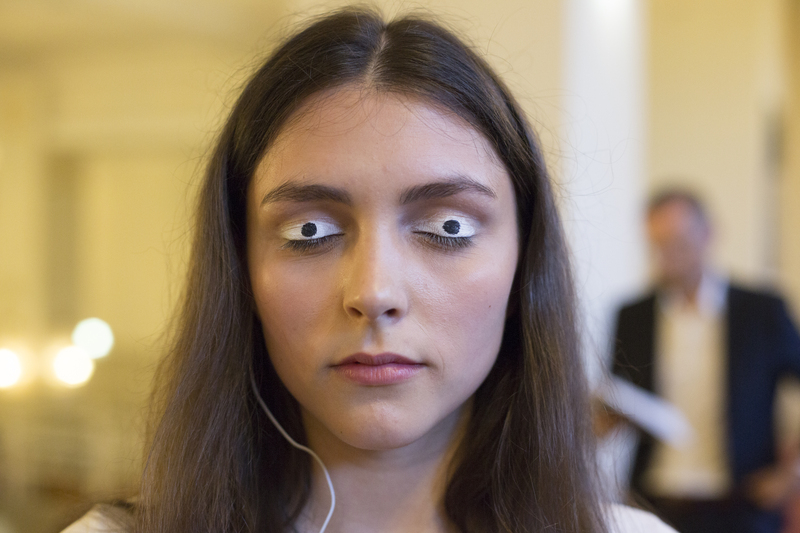 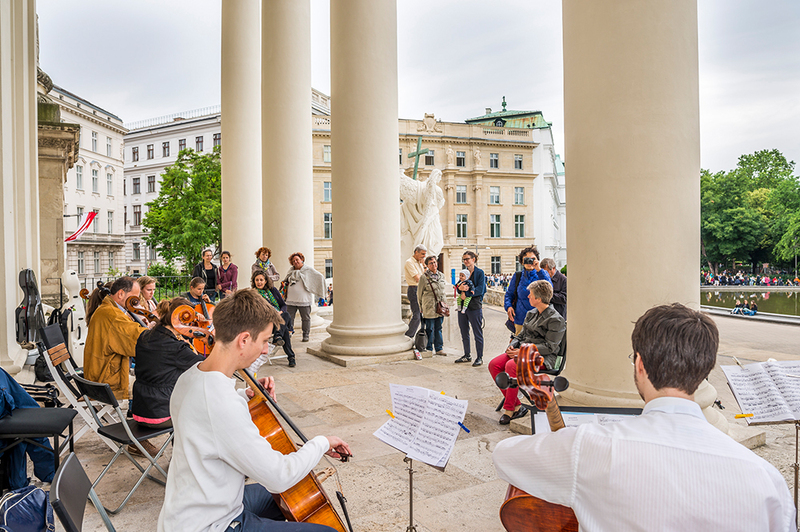 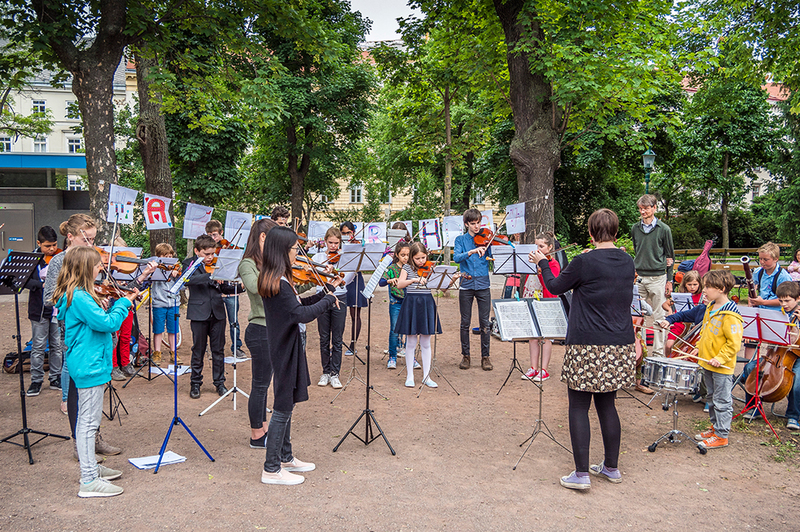 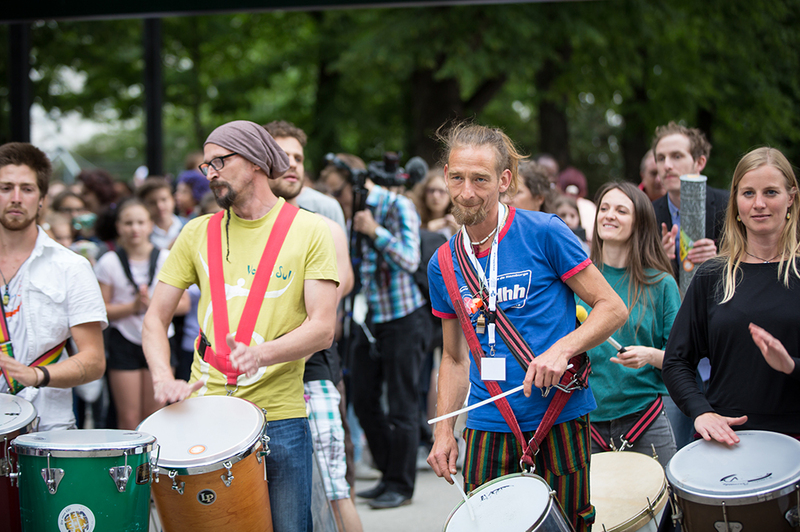 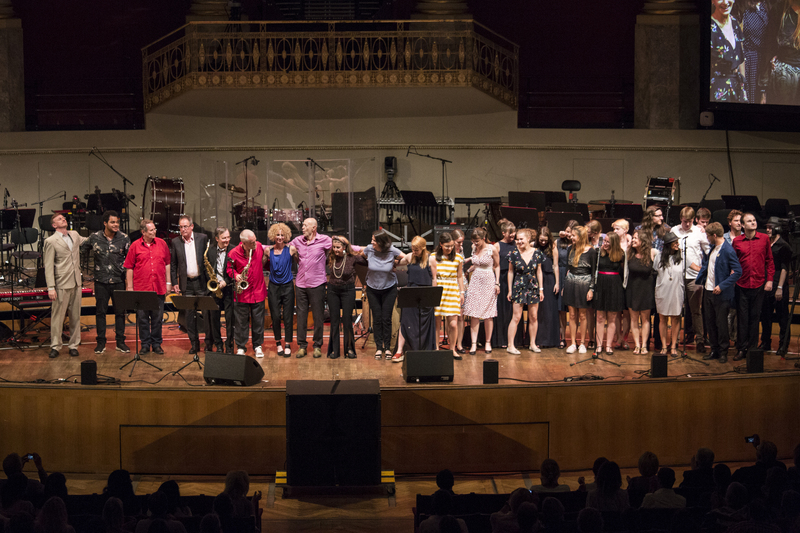 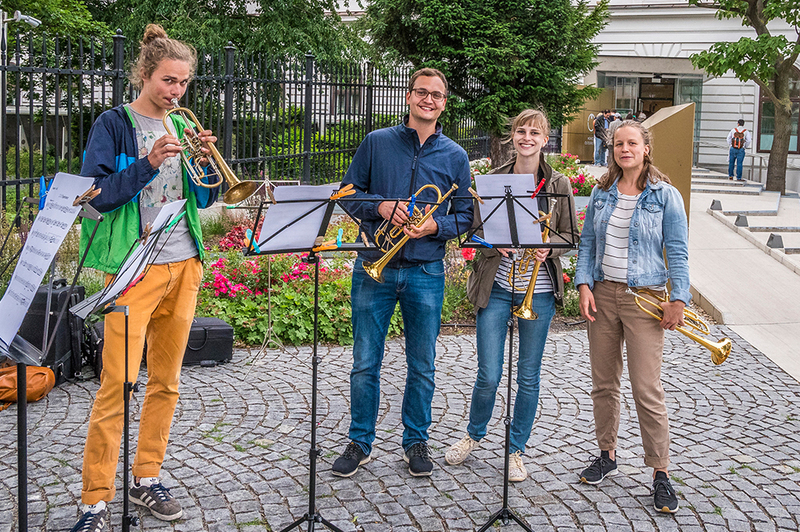 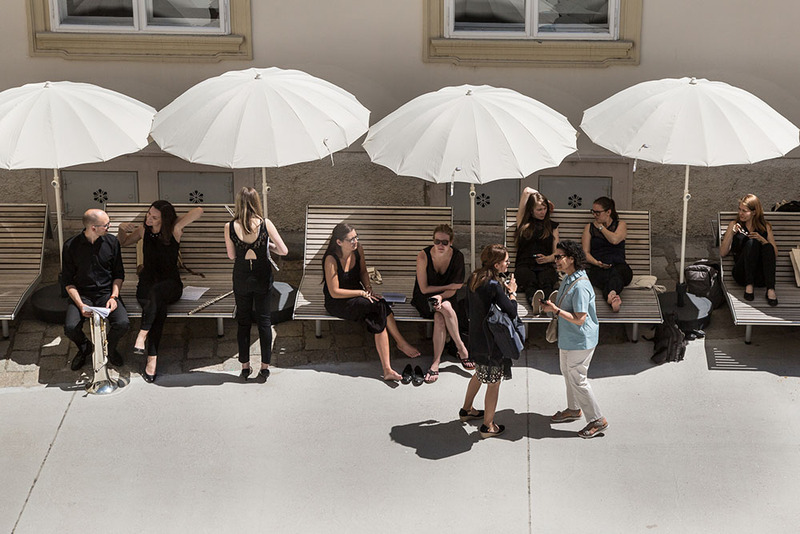 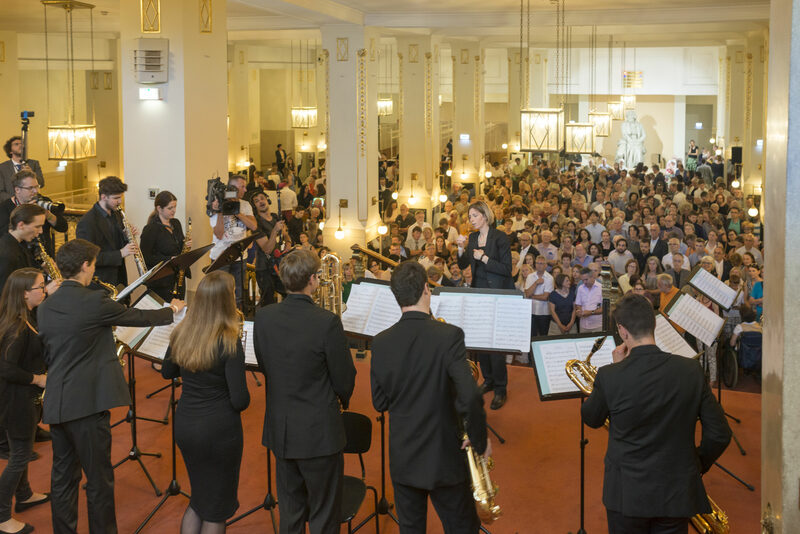 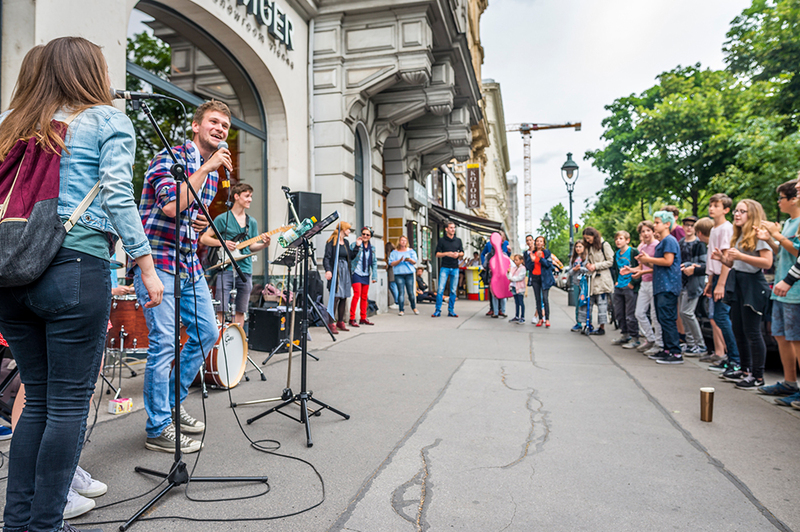 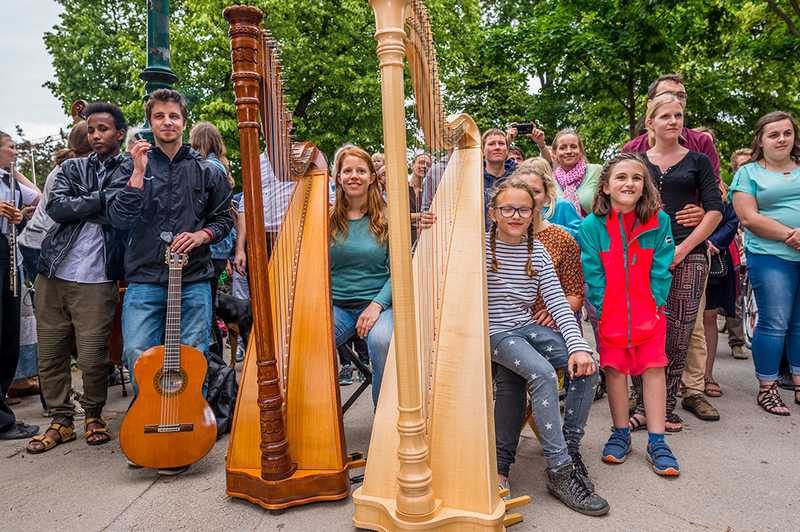 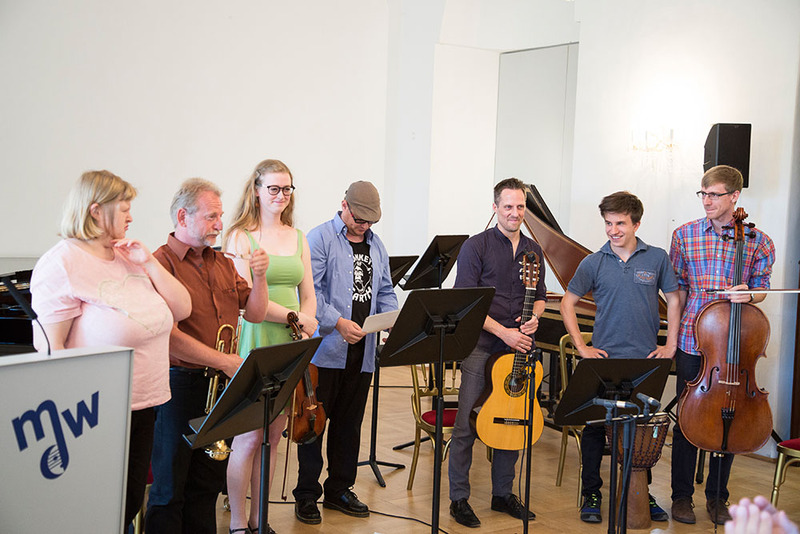 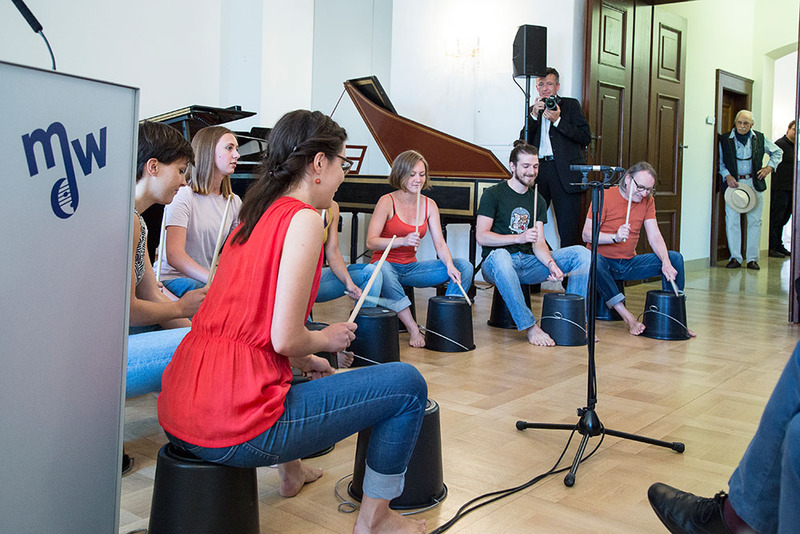 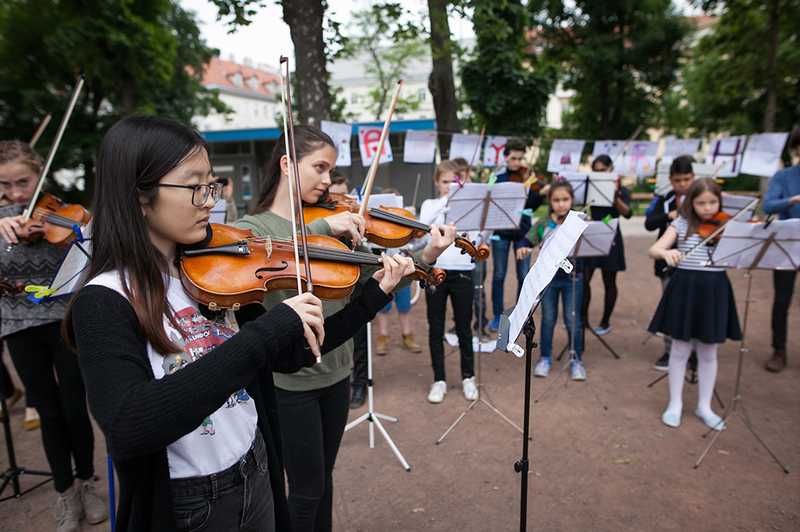 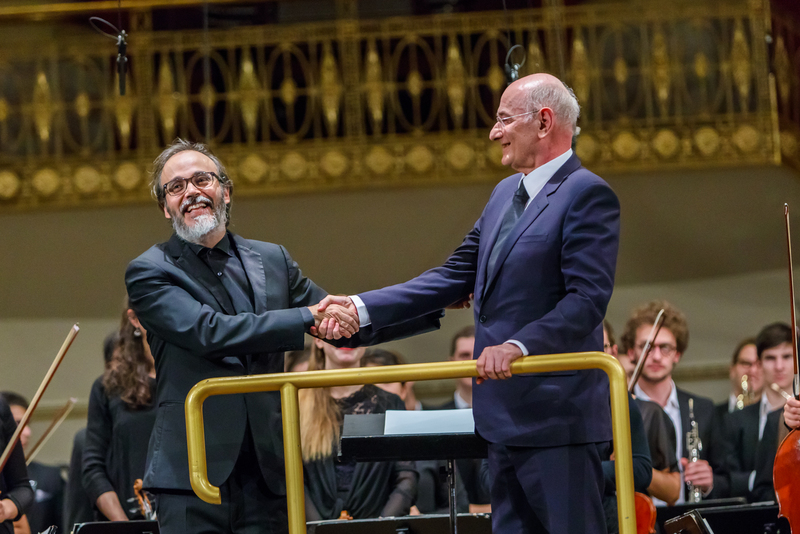 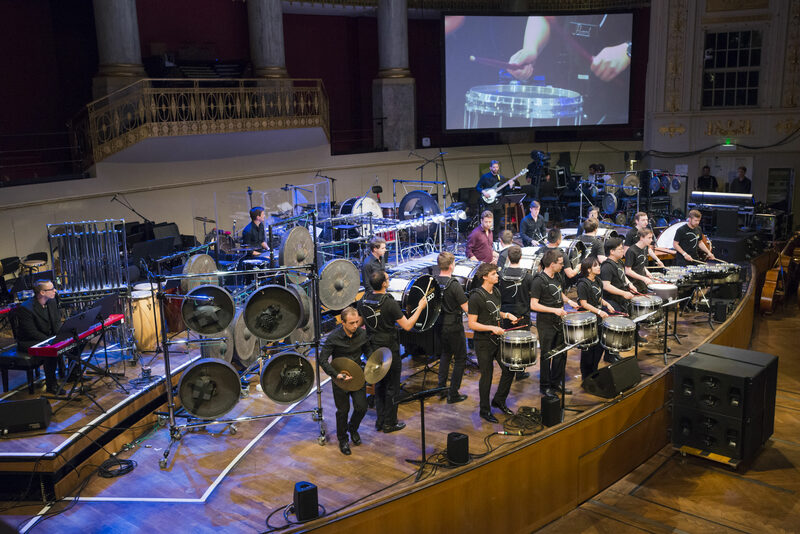 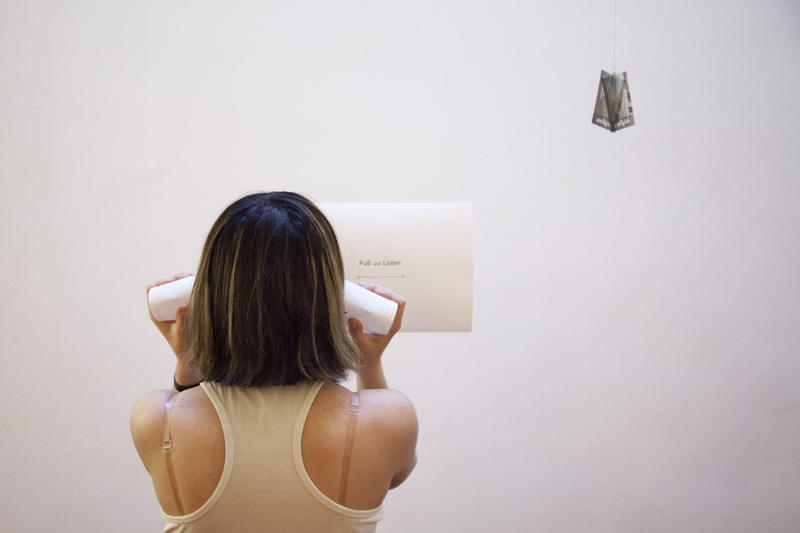 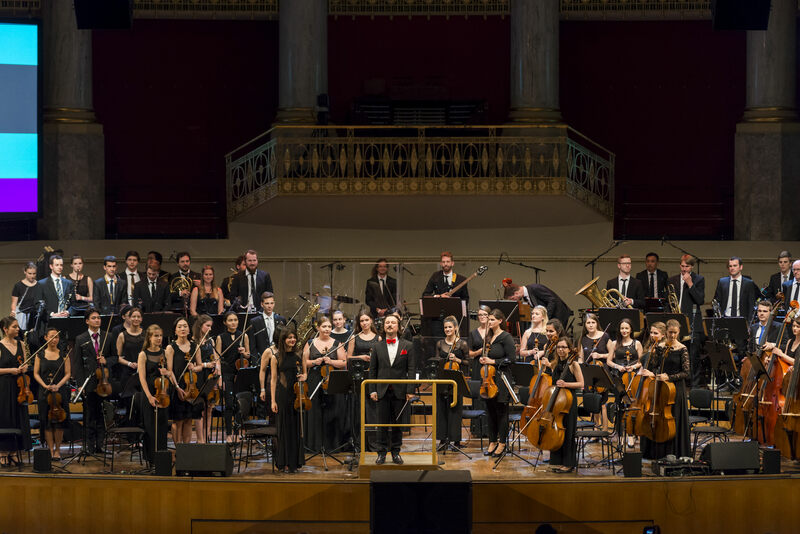 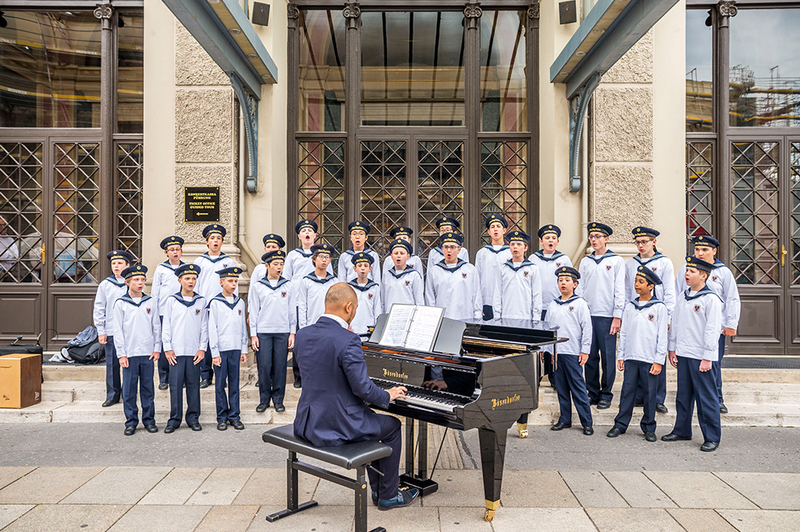 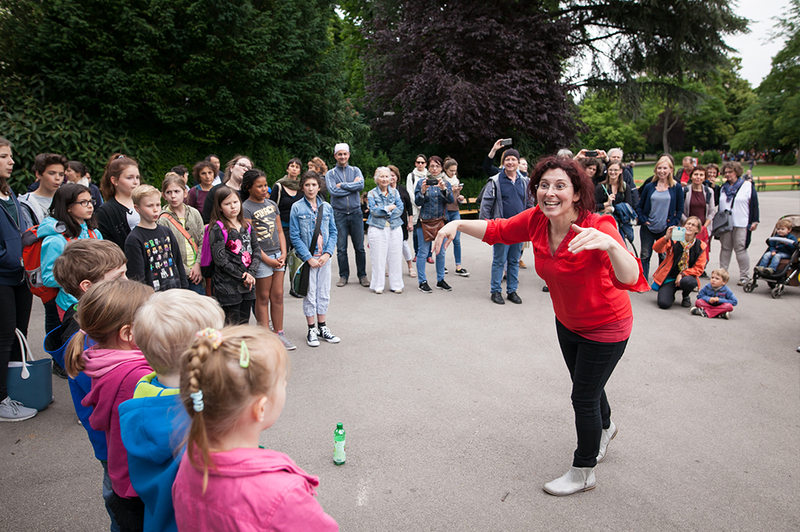 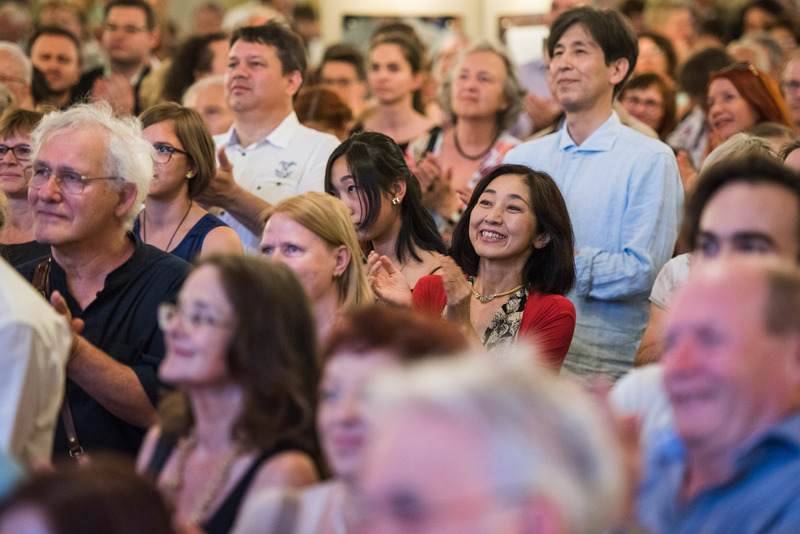 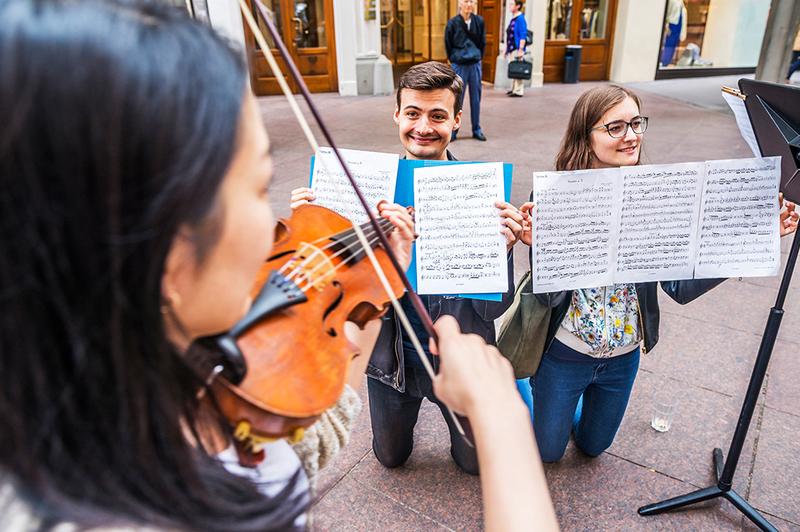 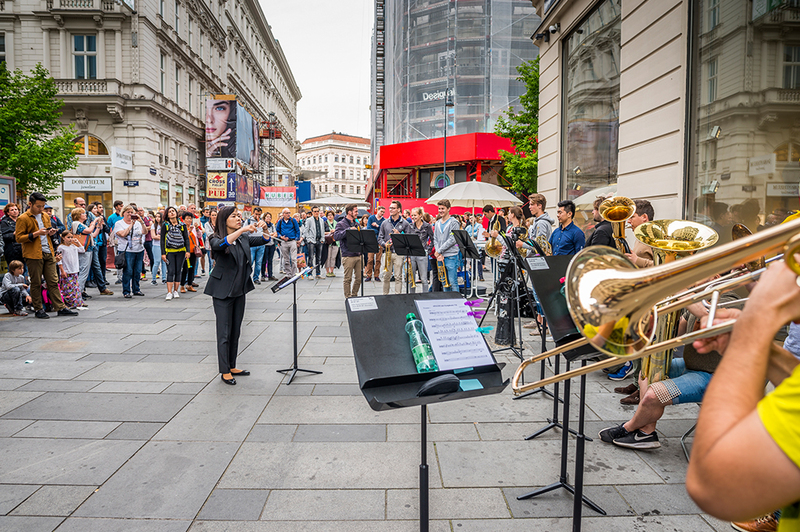 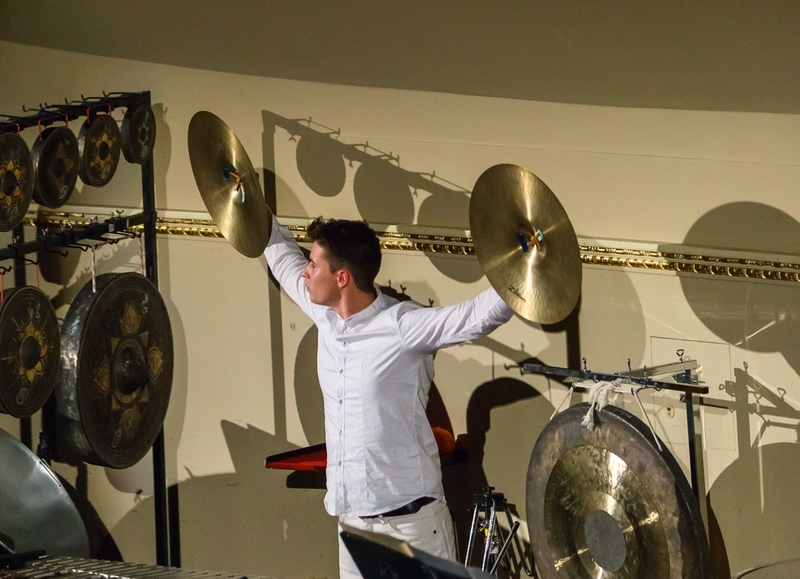 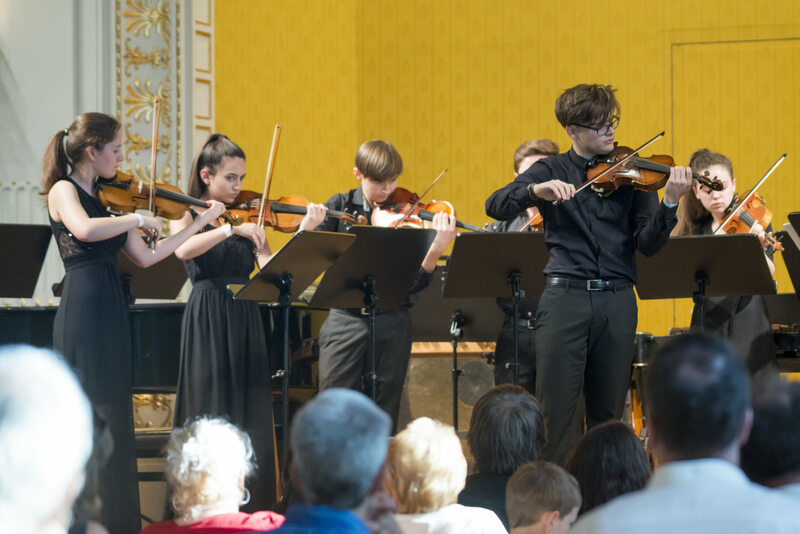 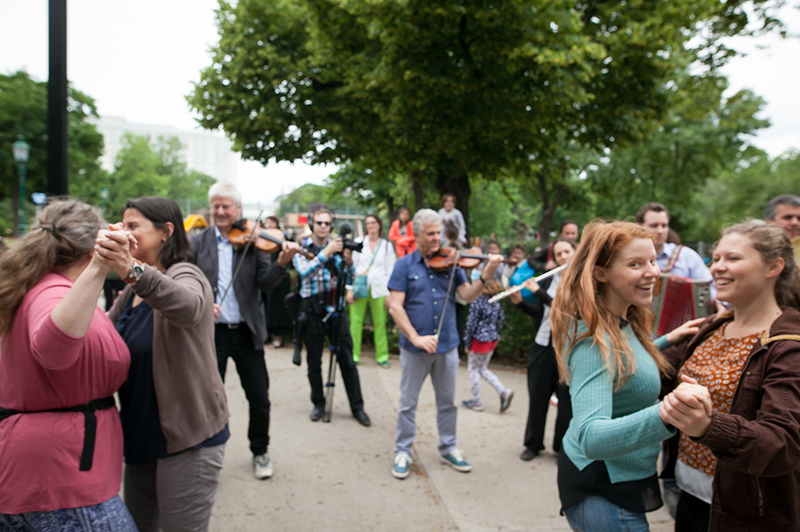 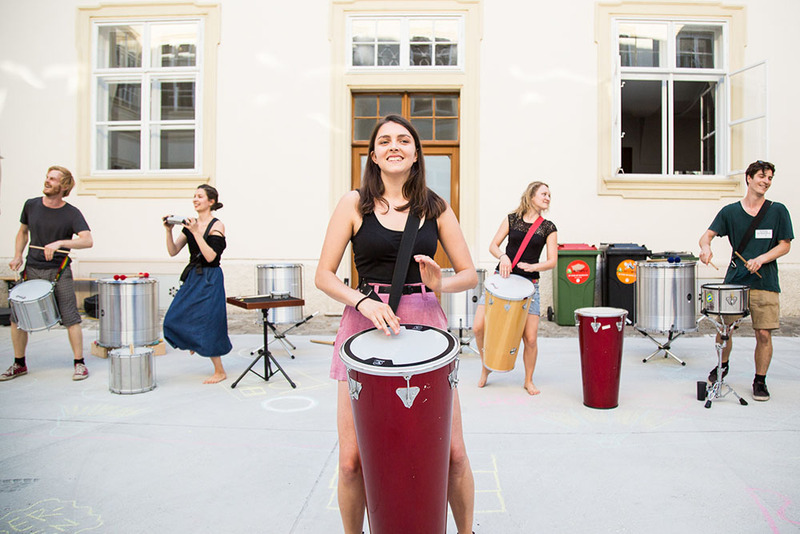 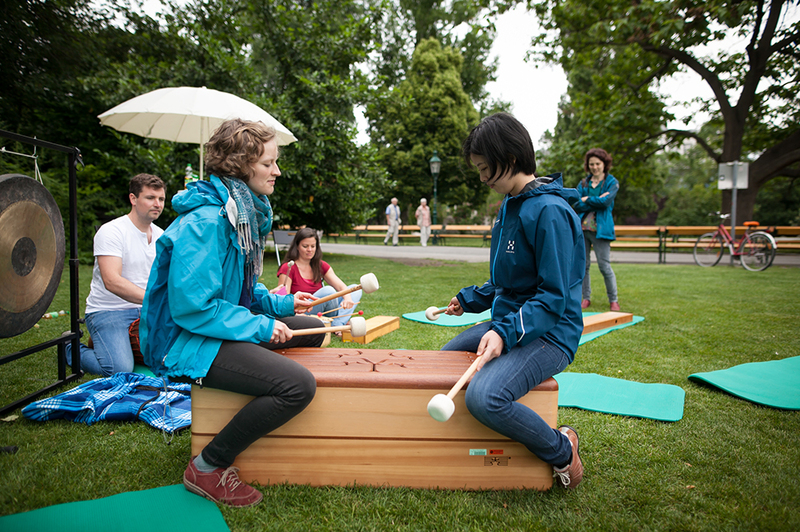 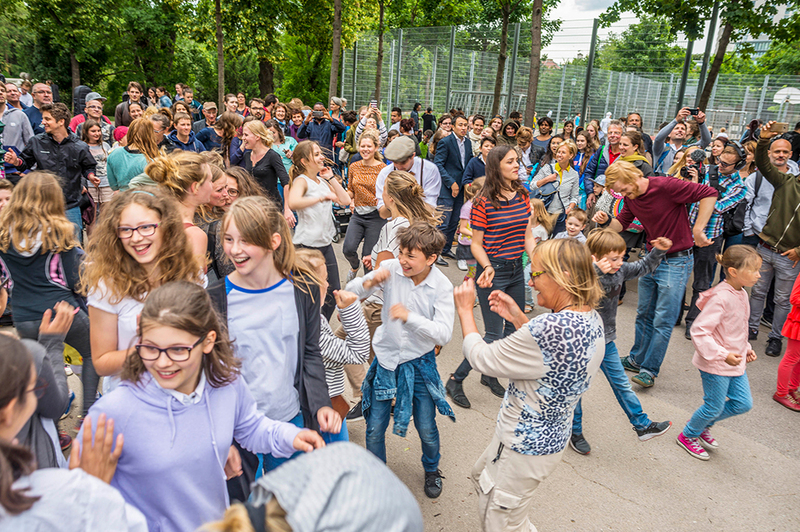 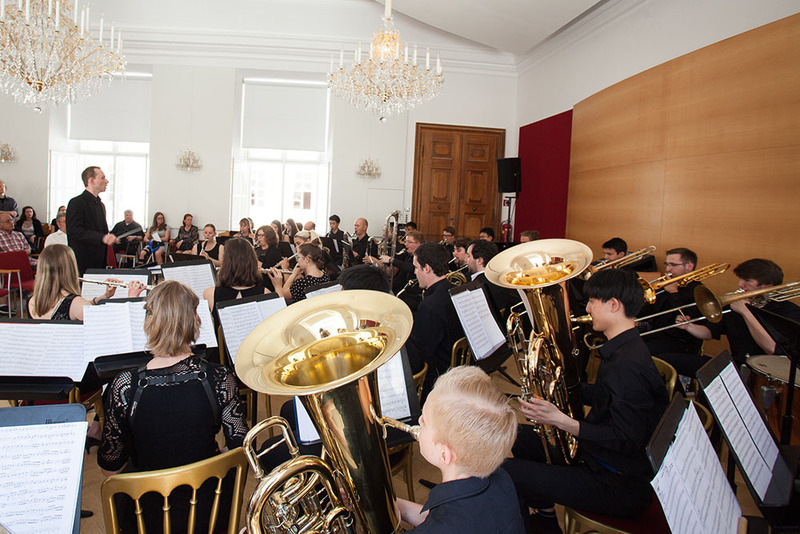 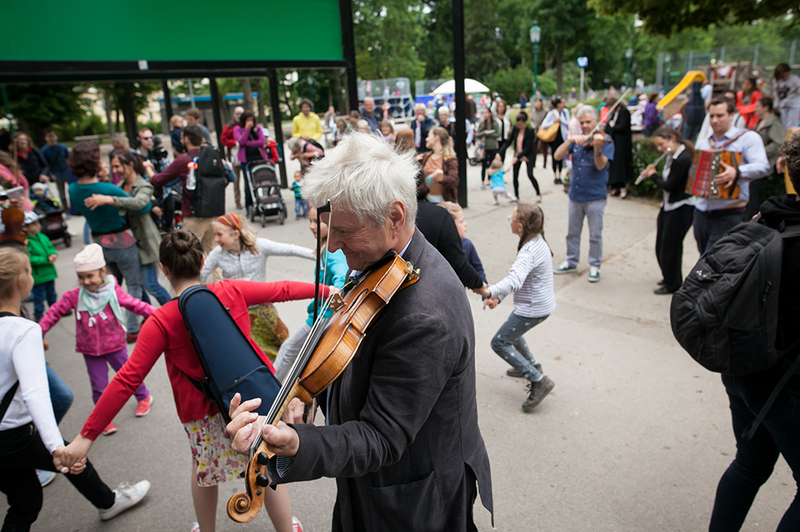 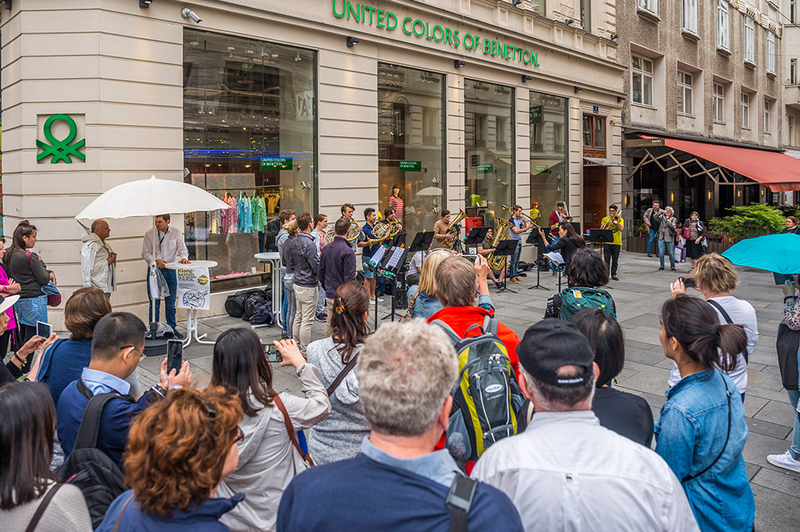 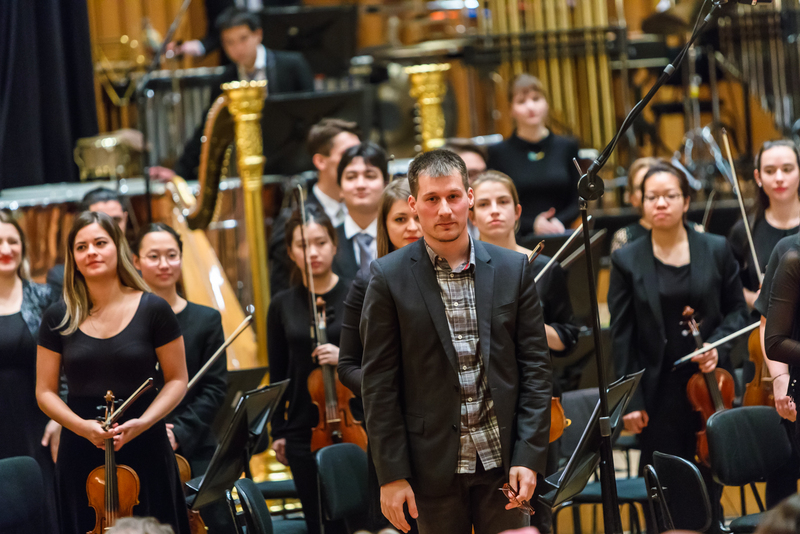 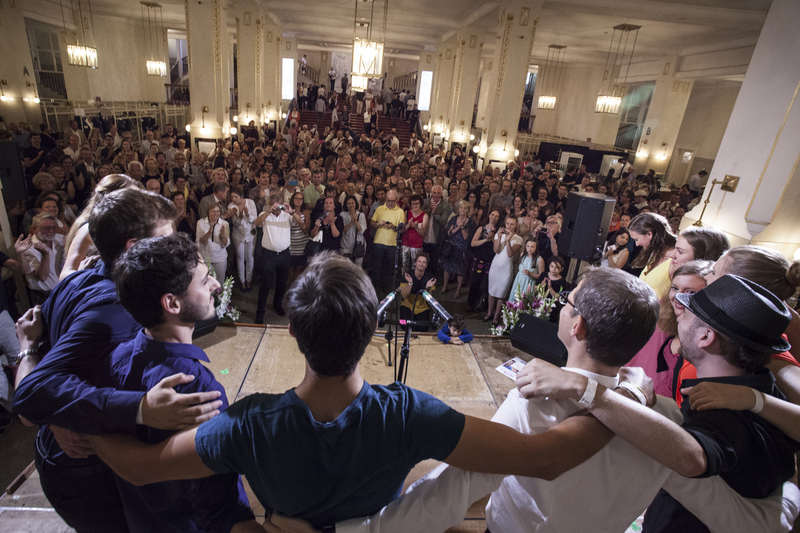 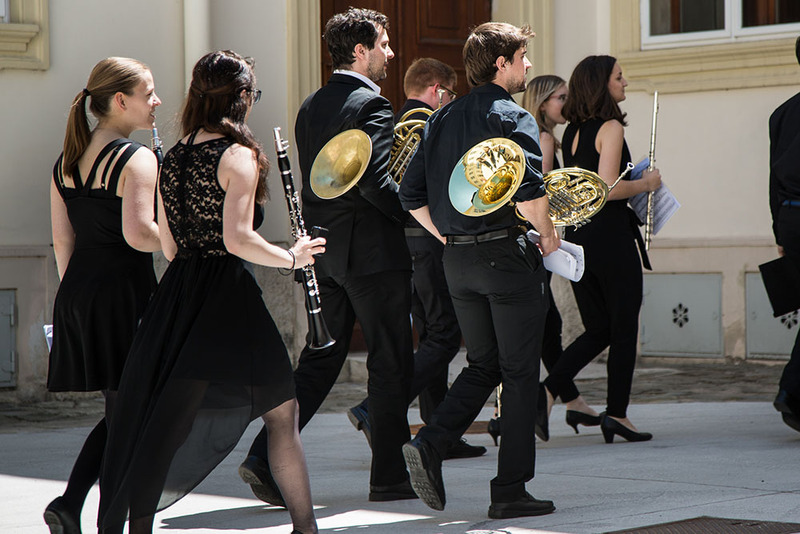 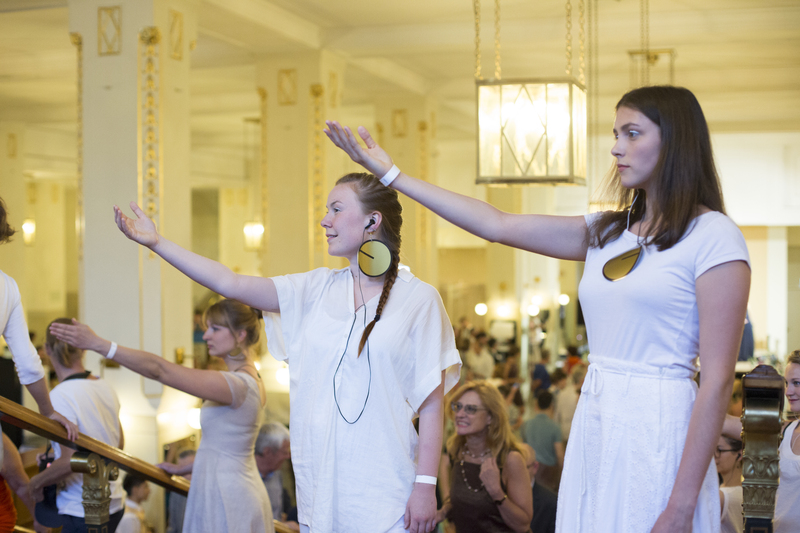 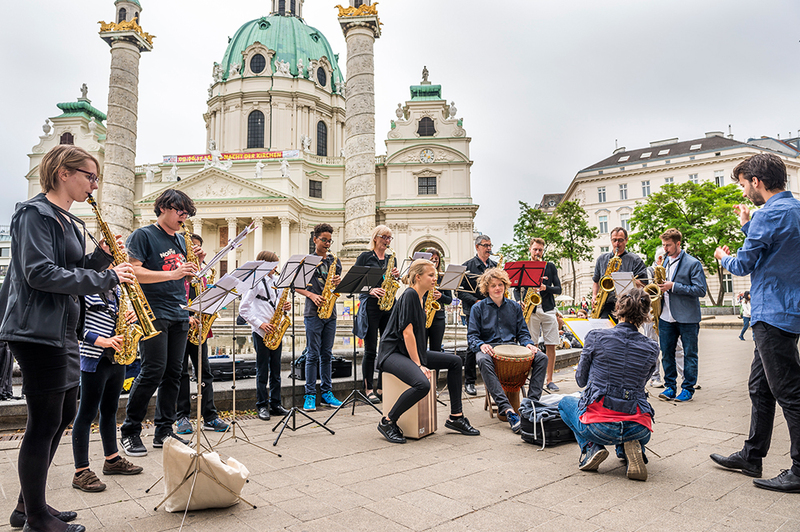 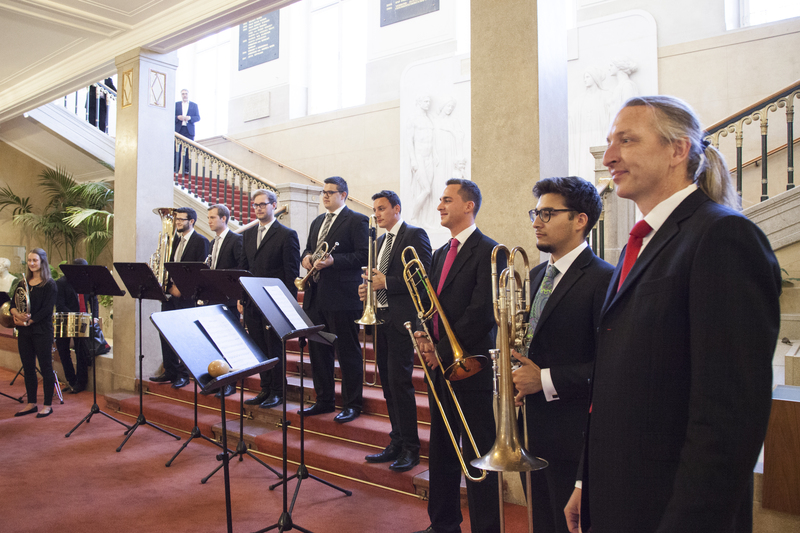 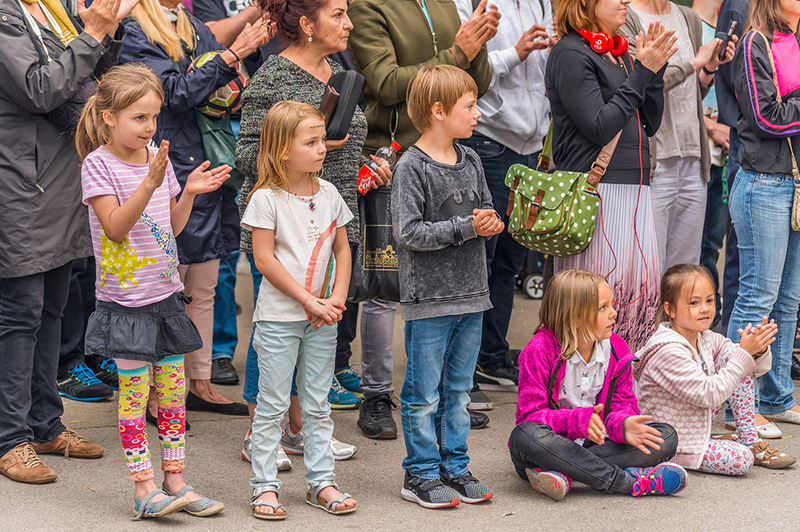 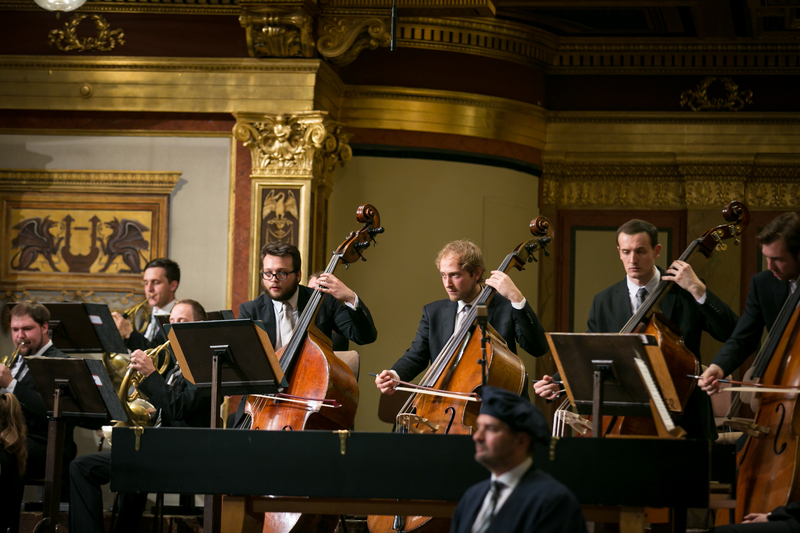 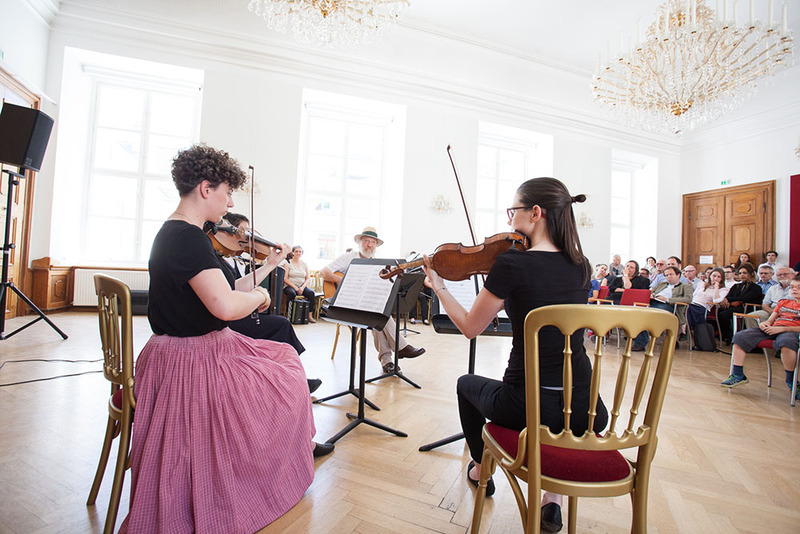 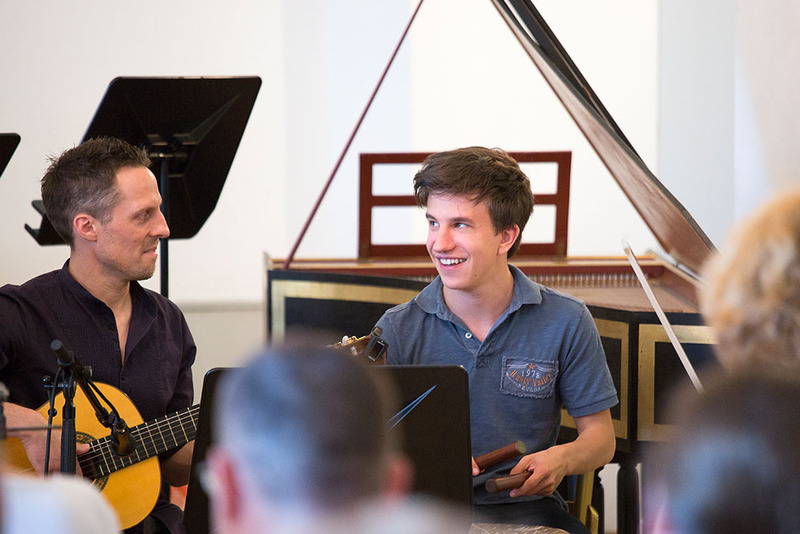 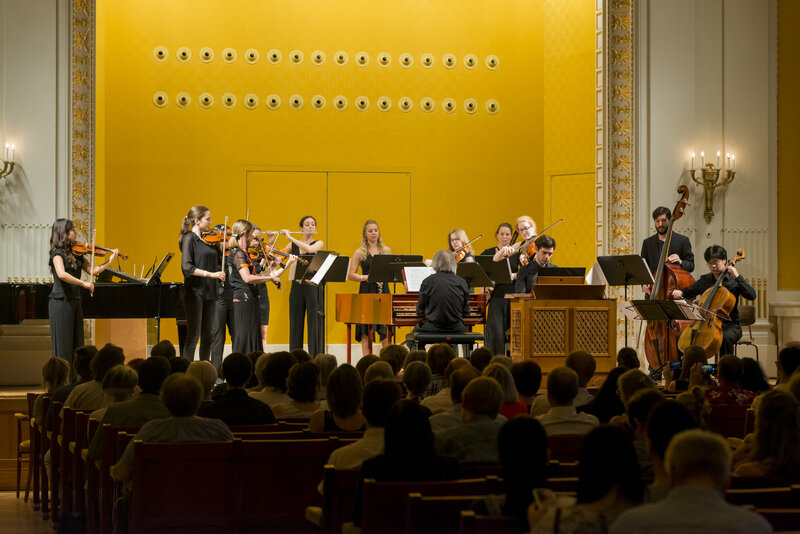 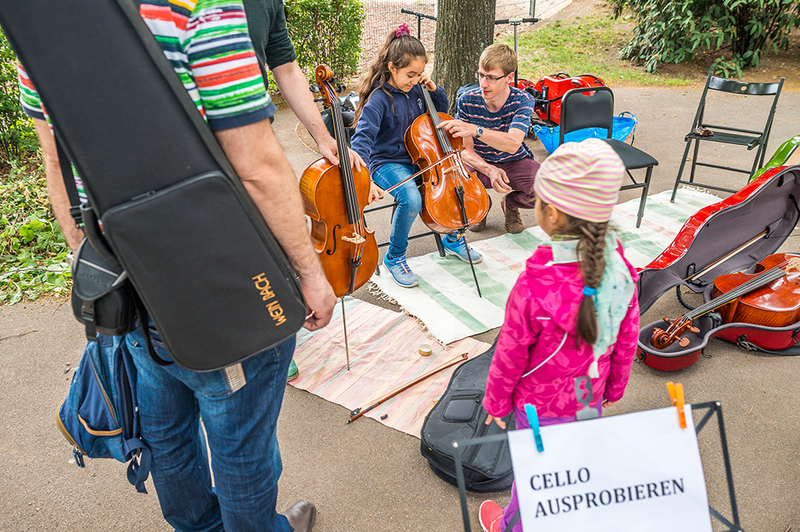 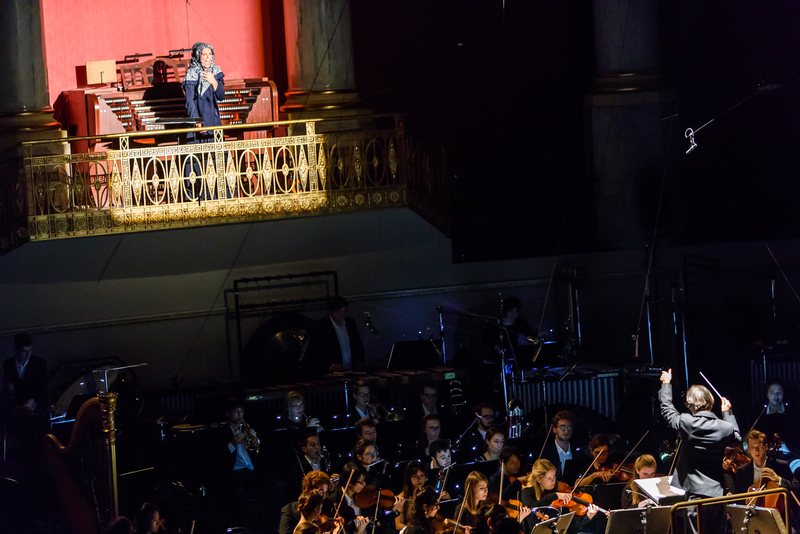 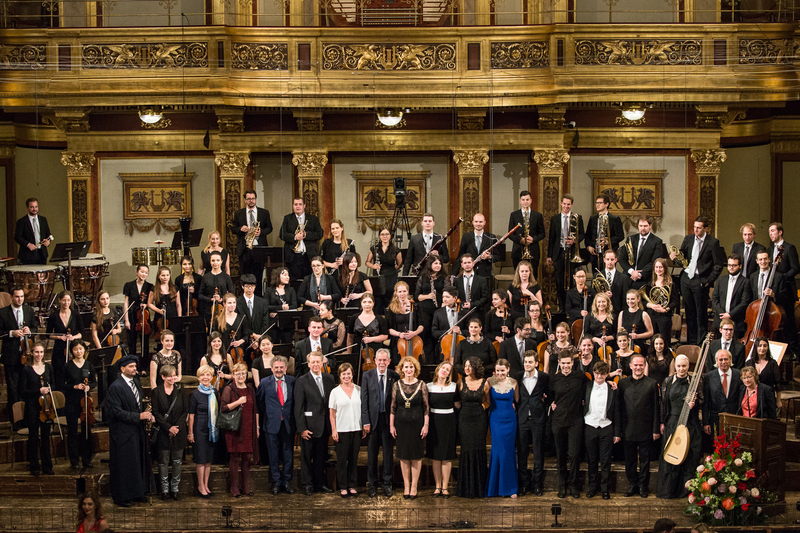 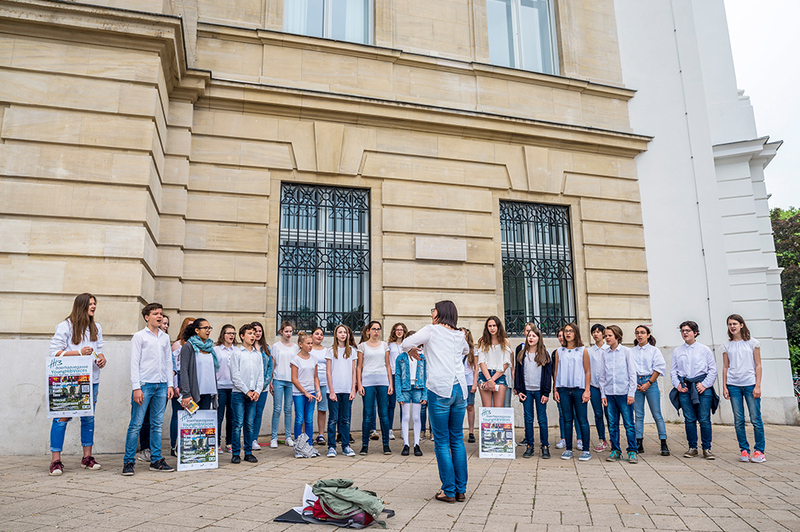 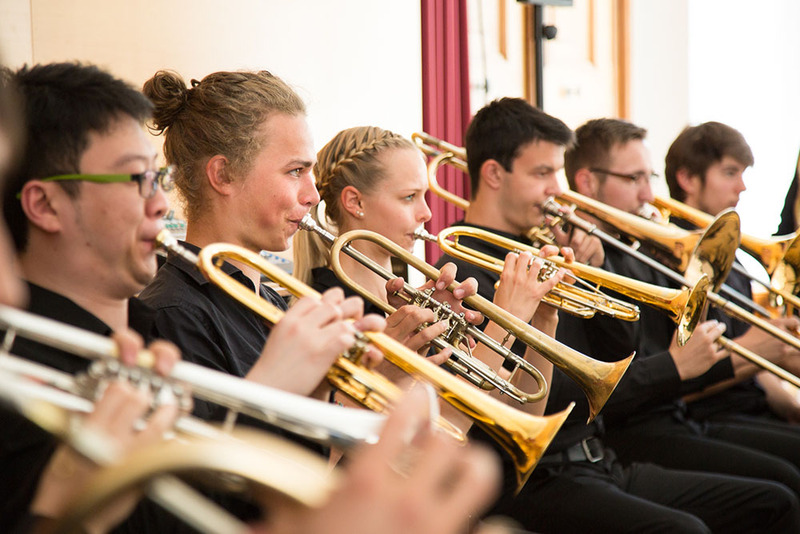 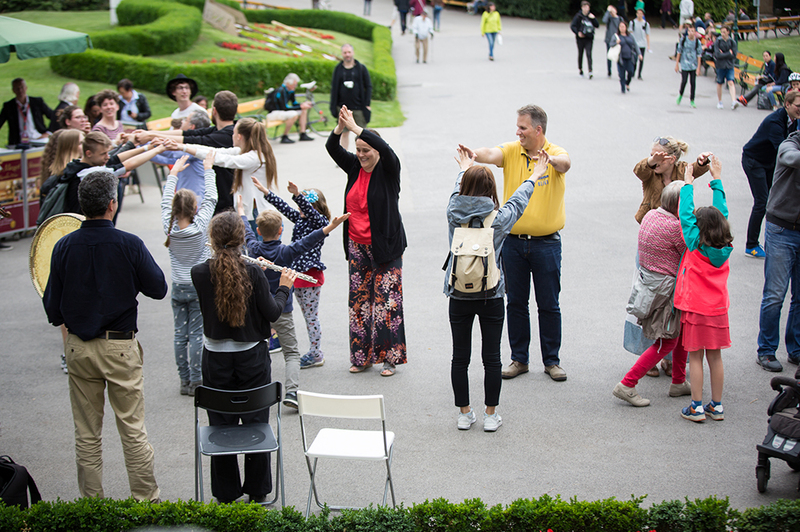 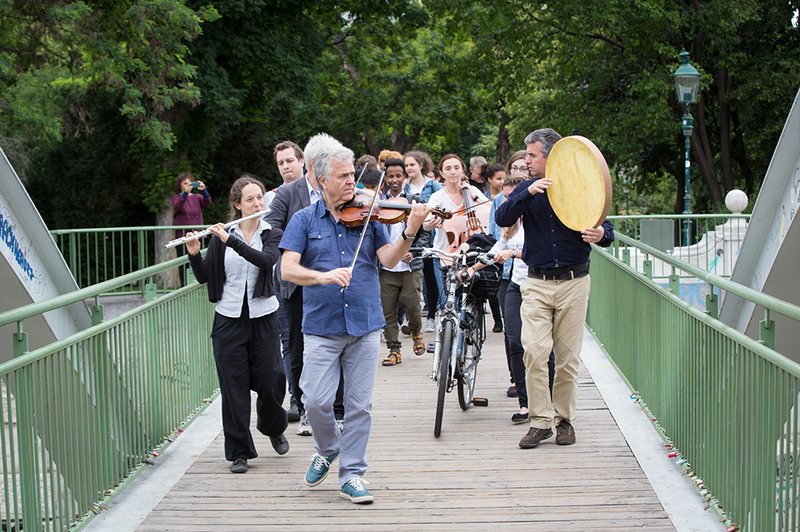 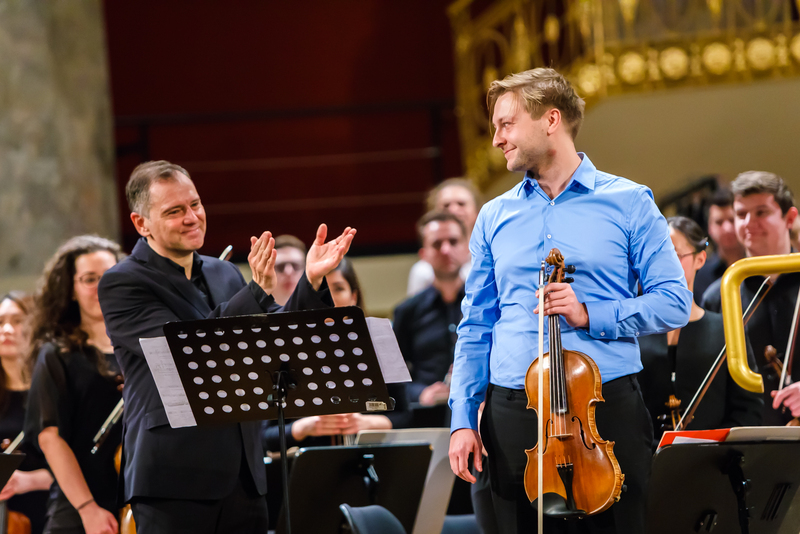 Teaching staff, students, and graduates of the mdw as well as school-age music students from all over Austria joined to form audible chains of individuals that connected the Musikverein with the mdw’s present-day locations in central Vienna. 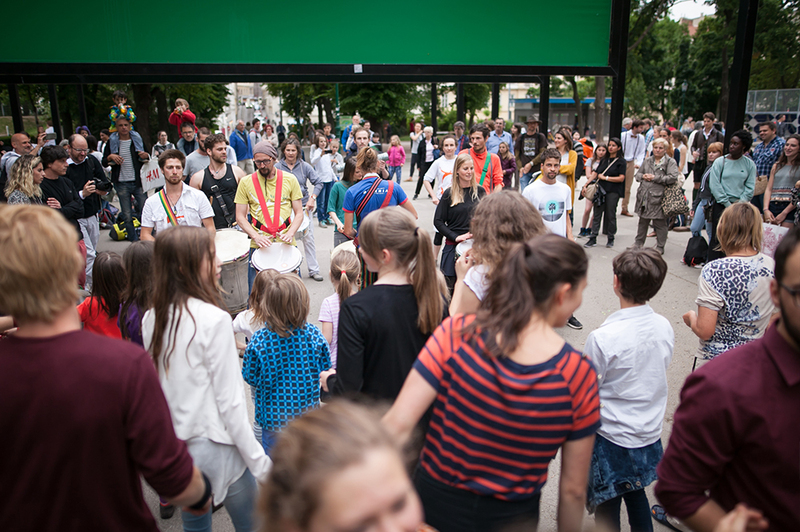 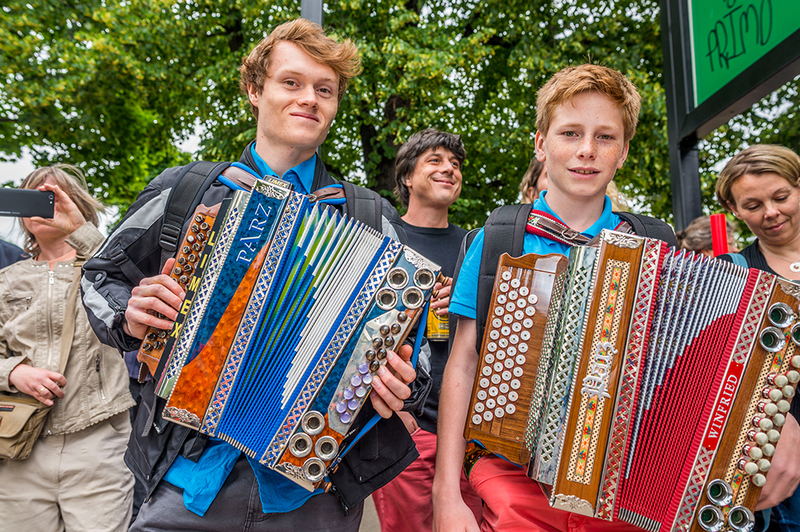 These human chains embodied “sound chains” or “sound paths” that served to transport songs, sounds, and improvisations both sustained and rhythmic throughout the city. 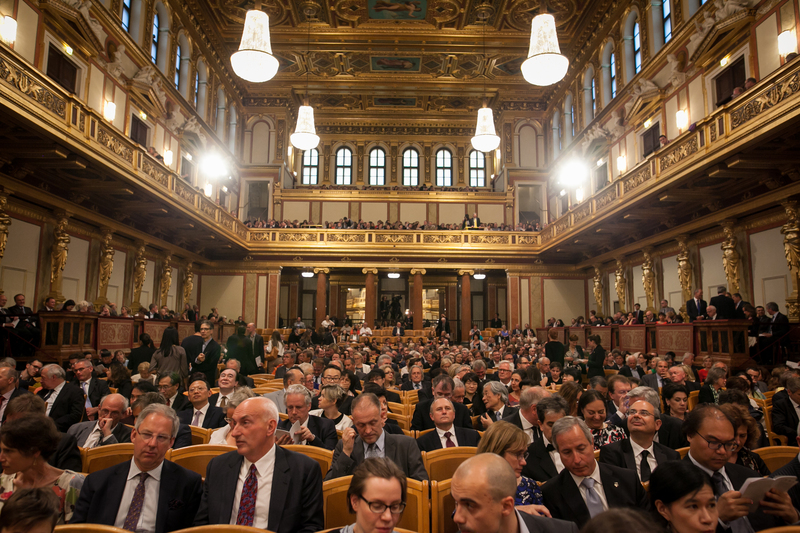 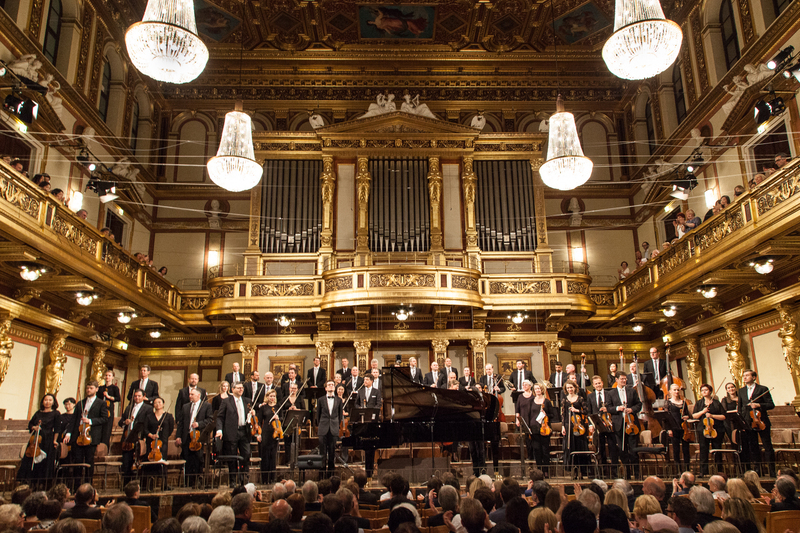 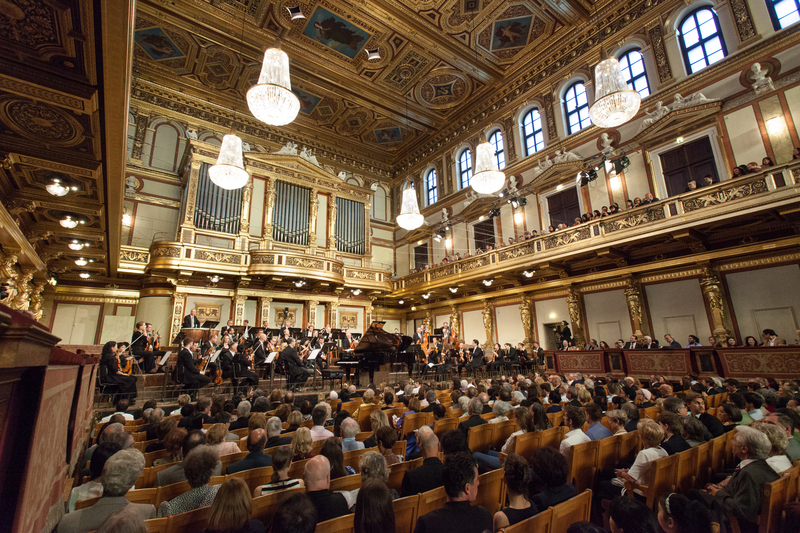 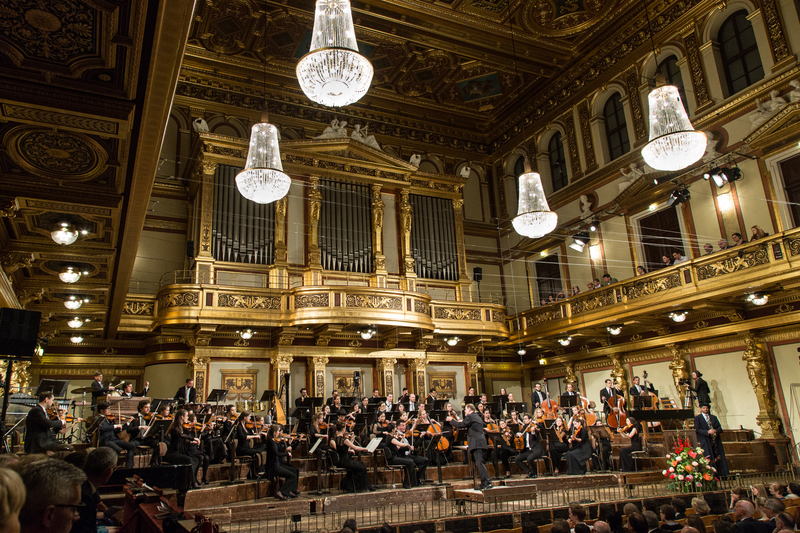 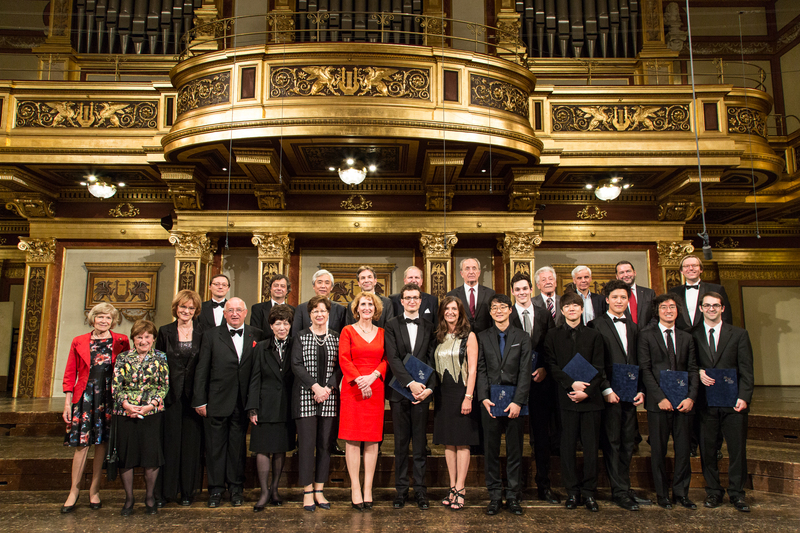 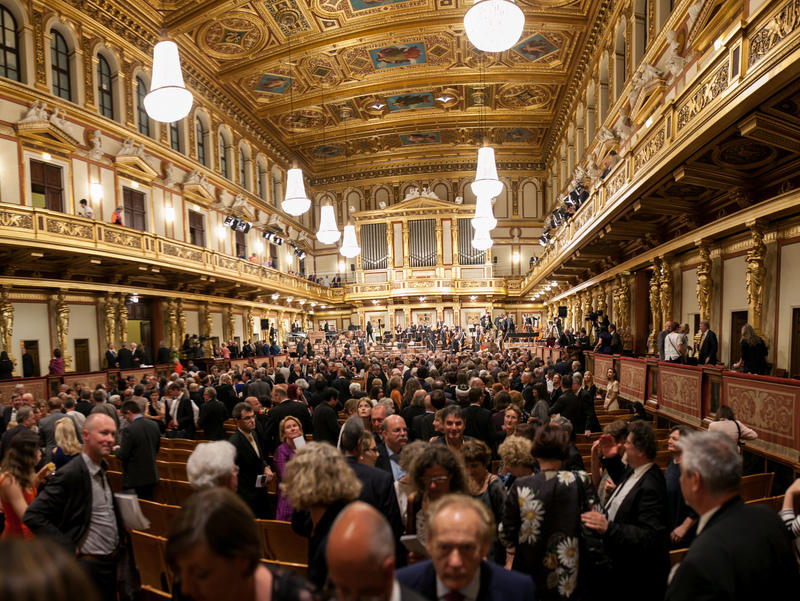 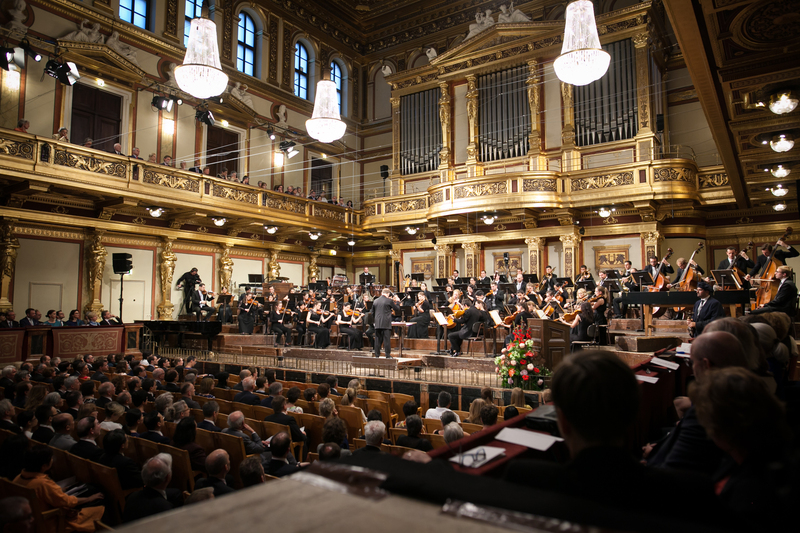 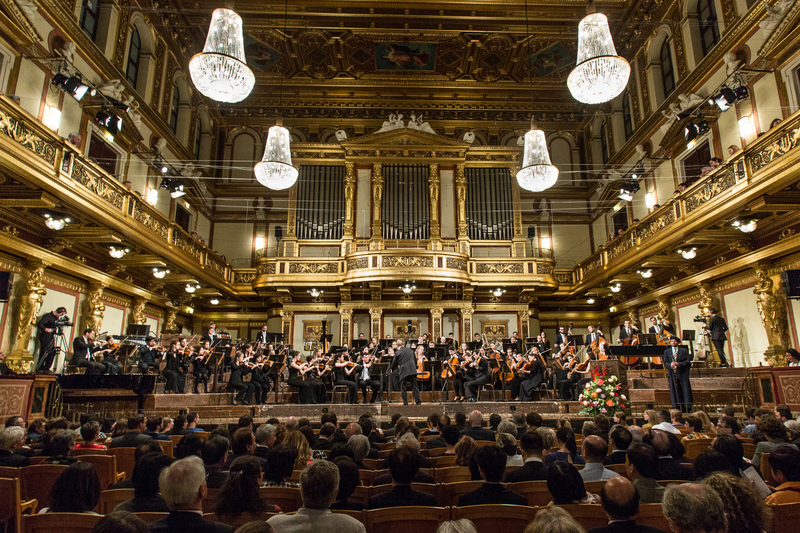 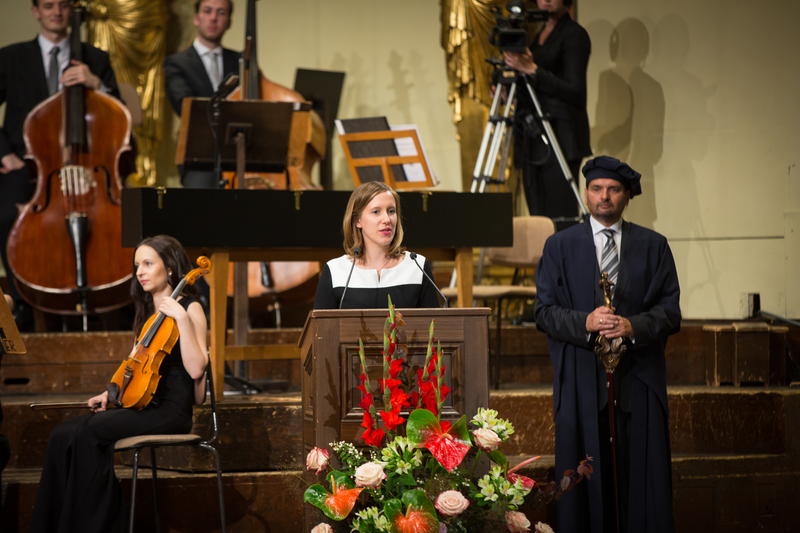 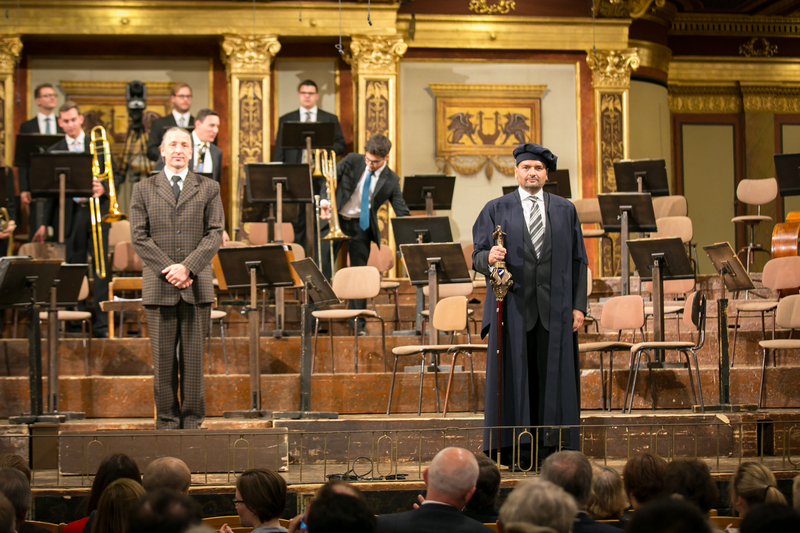 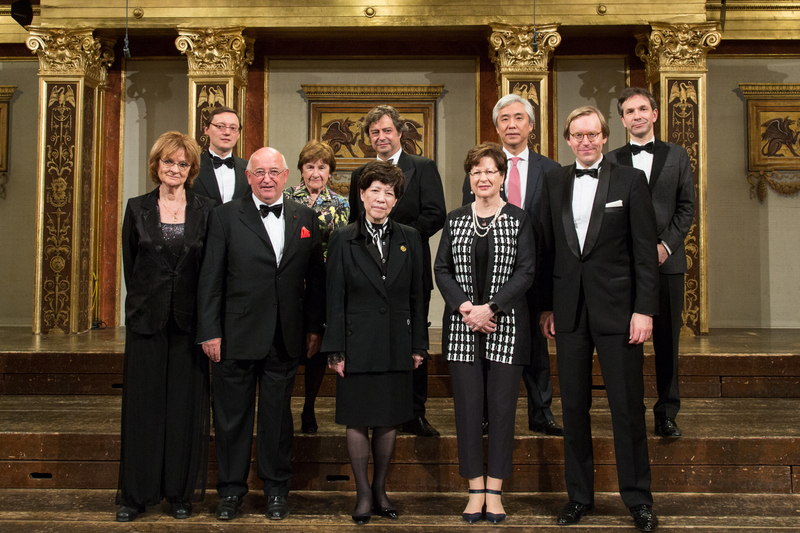 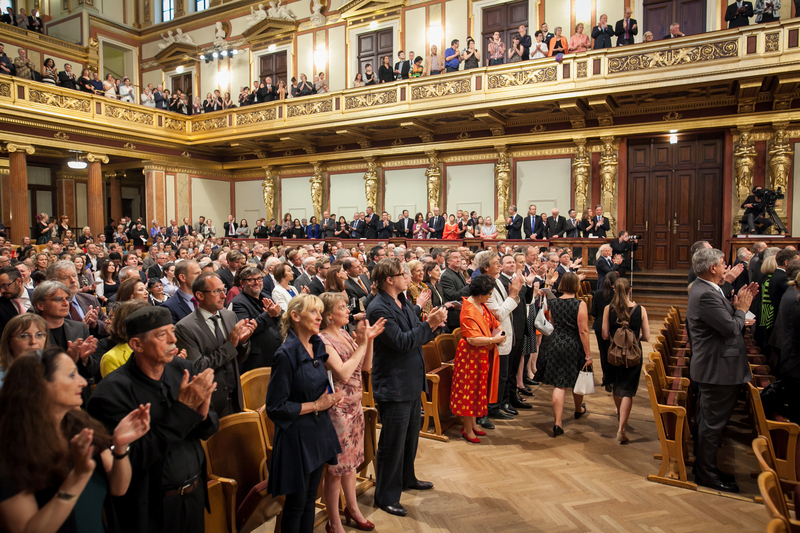 This spectacular ceremony in the Golden Hall of the Vienna Musikverein was one of the jubilee celebrations’ highlights. 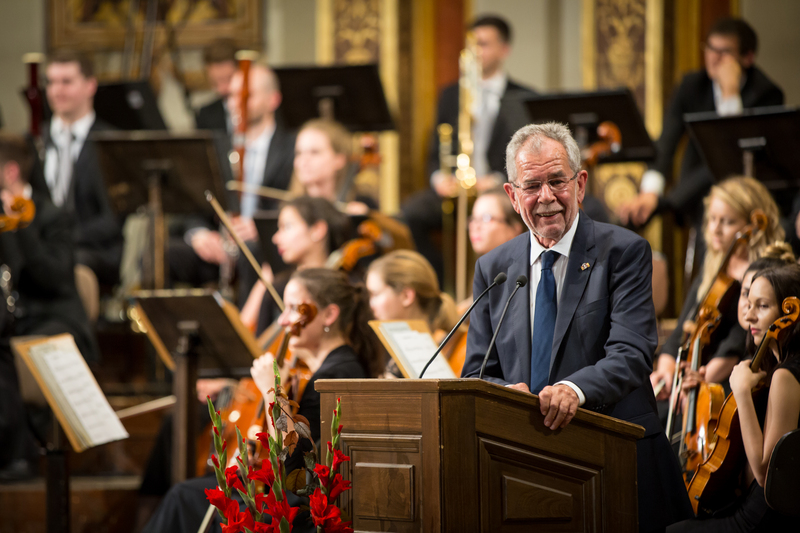 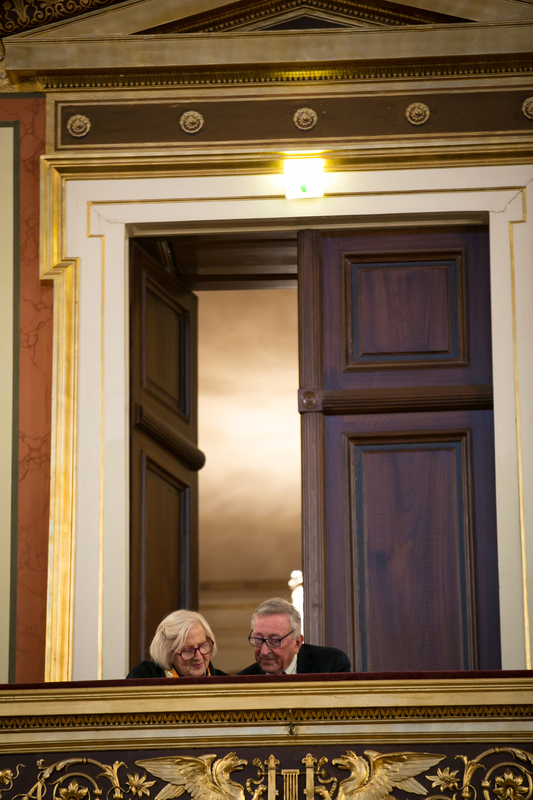 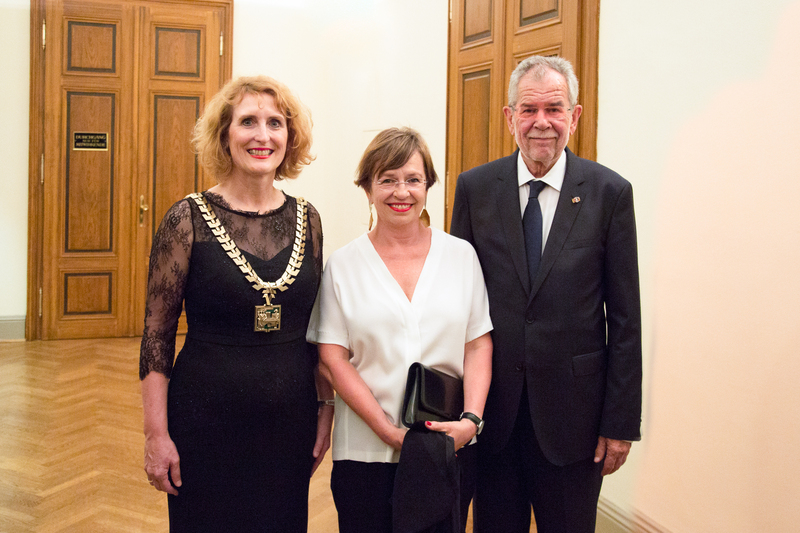 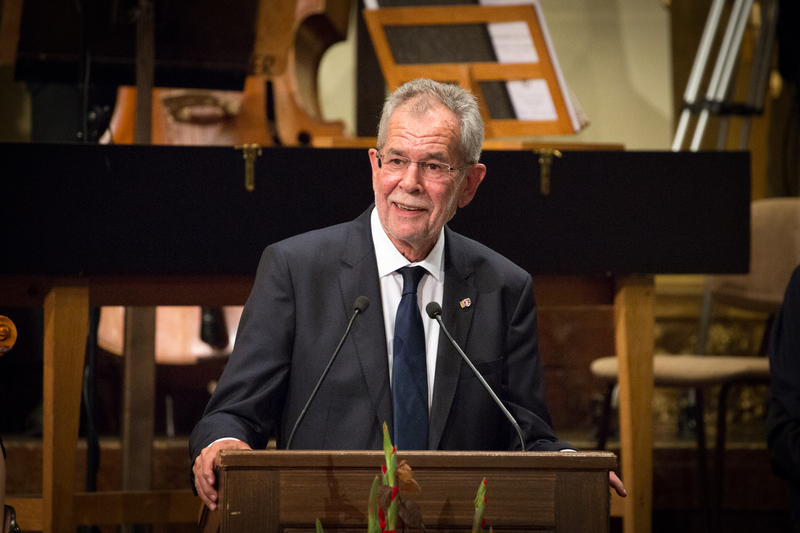 Austrian Federal President Alexander van der Bellen as well as numerous guests from the cultural, business, and political spheres came to pay their respects to the mdw. 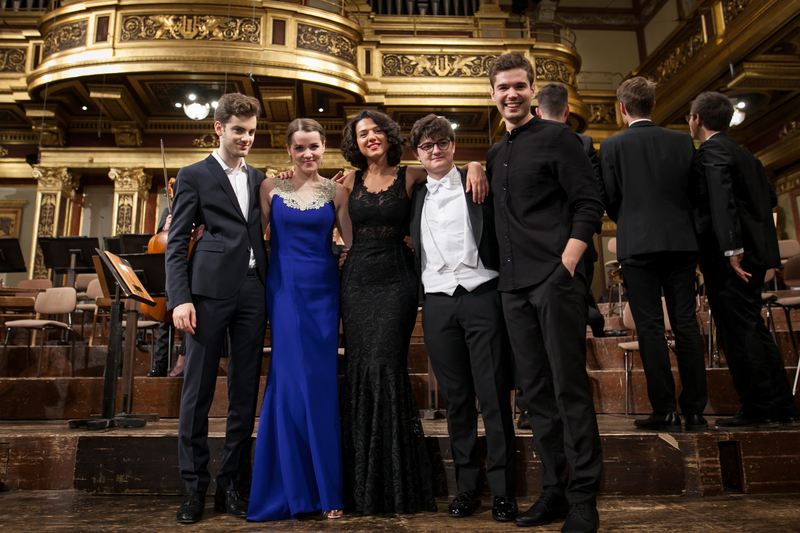 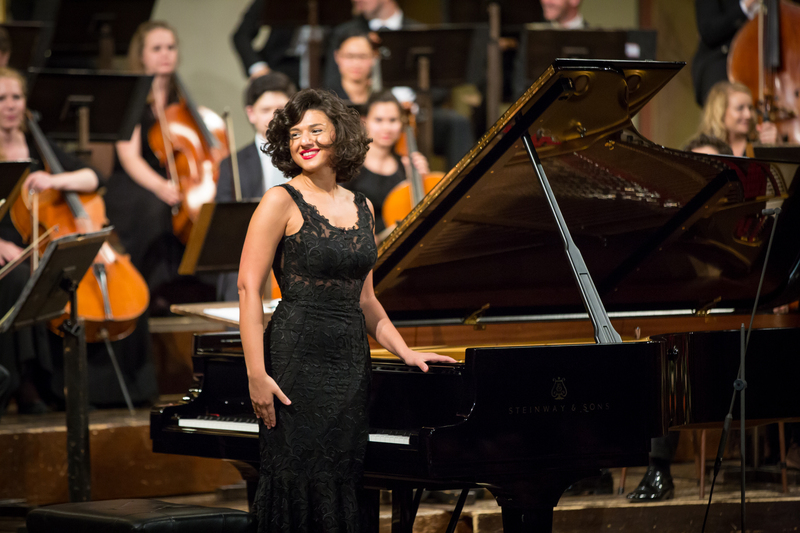 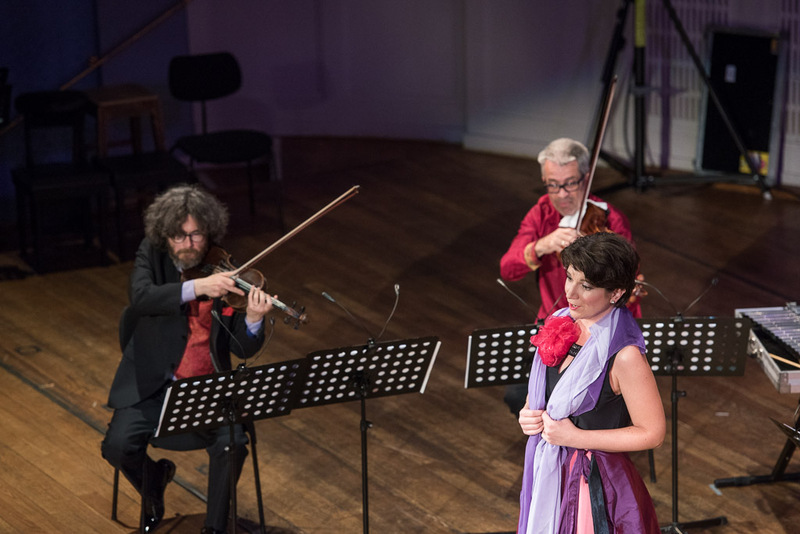 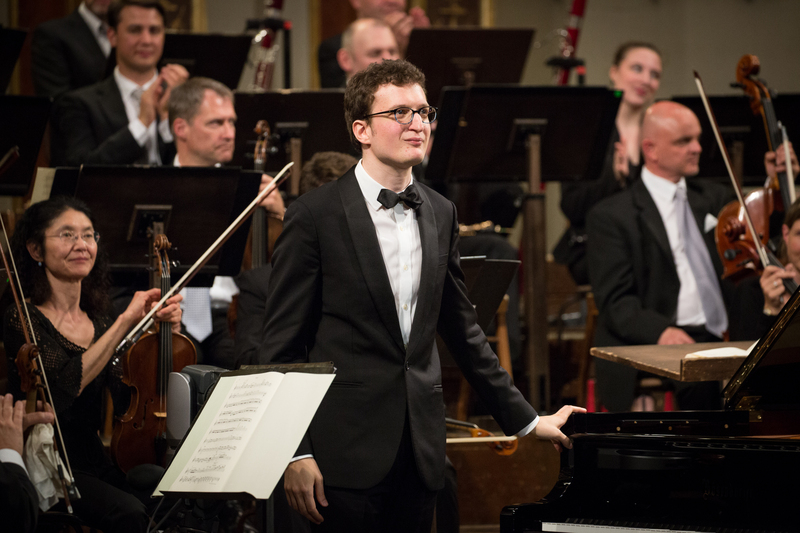 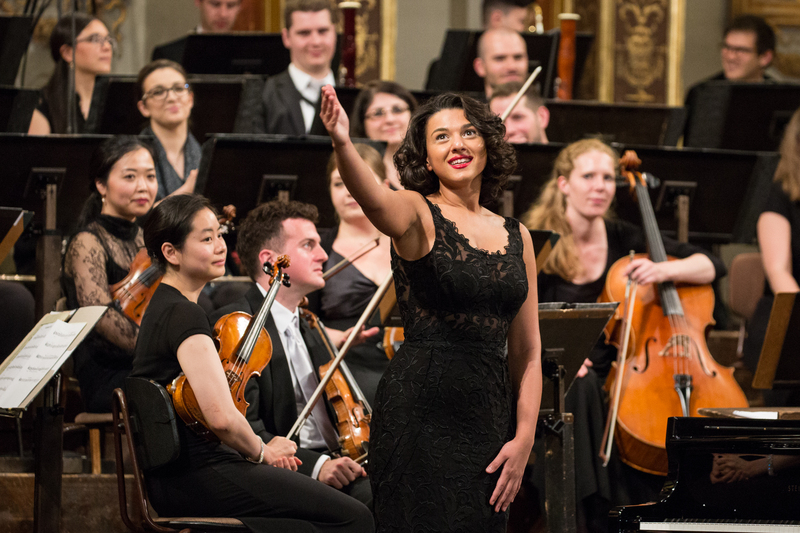 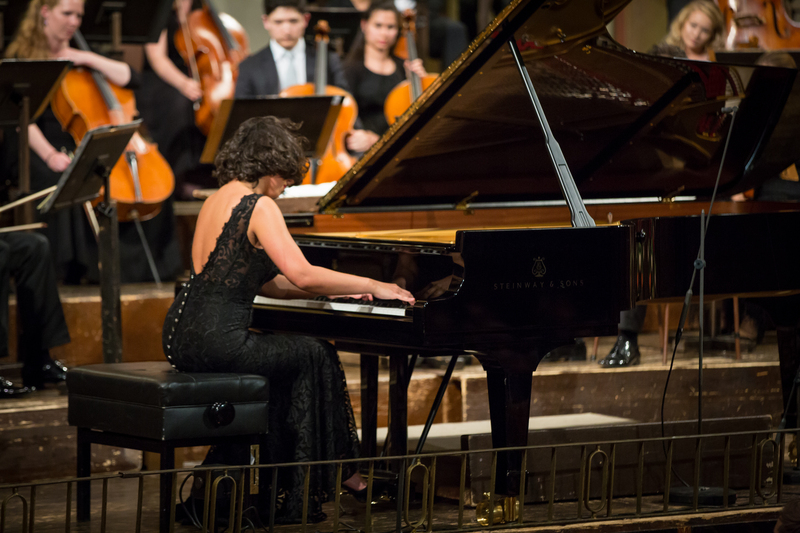 The evening was framed musically by the Webern Kammerphilharmonie conducted by Vladimir Kiradijev, the winners of the CARSA (Casinos Austria Rising Star Awards) competitions, and star pianist and mdw alumna Khatia Buniatishvili. 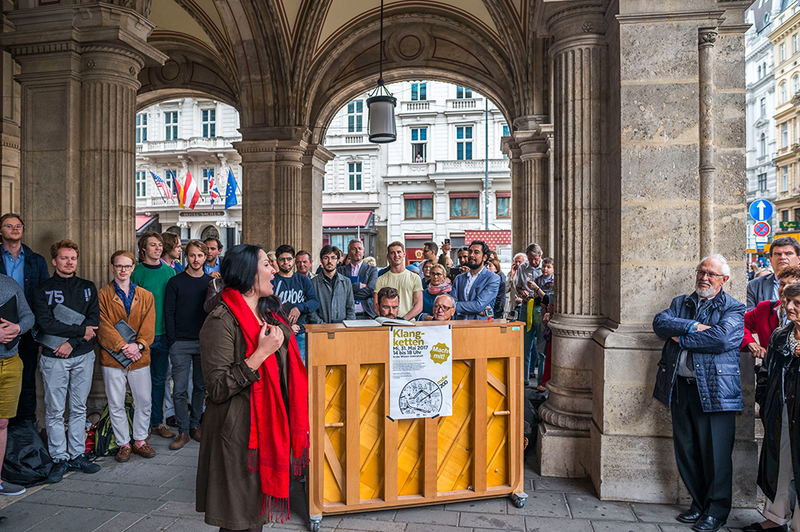 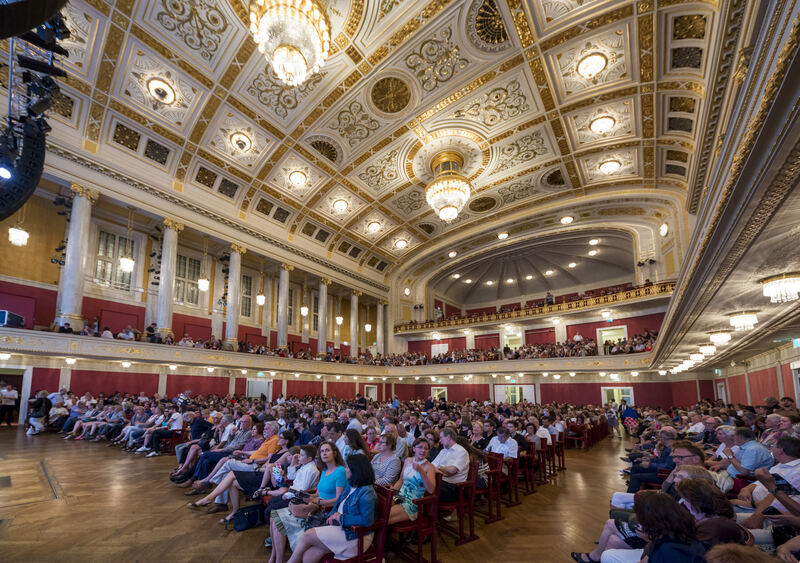 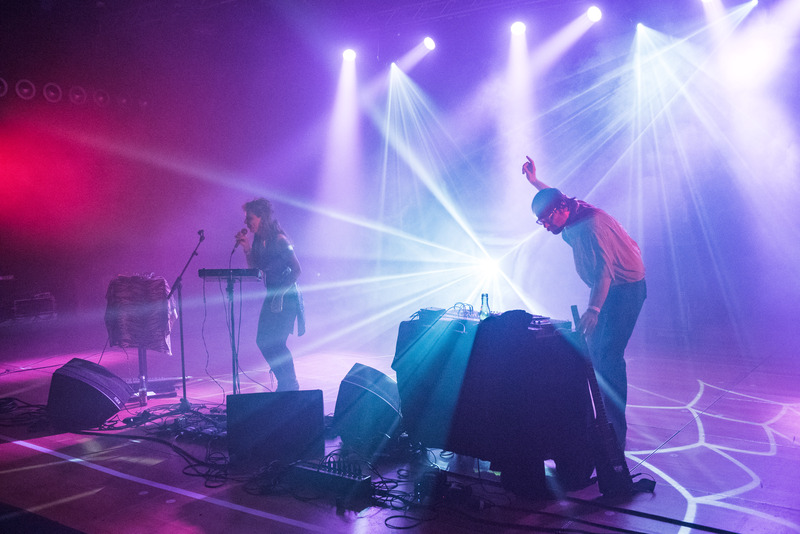 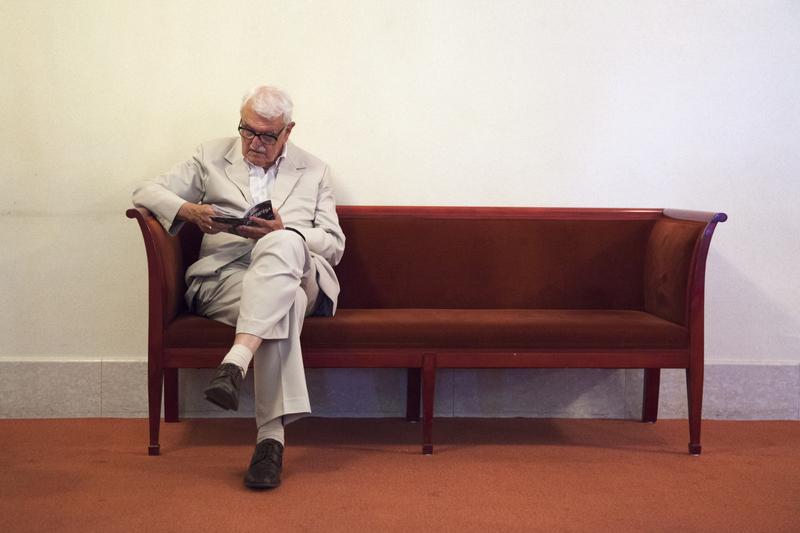 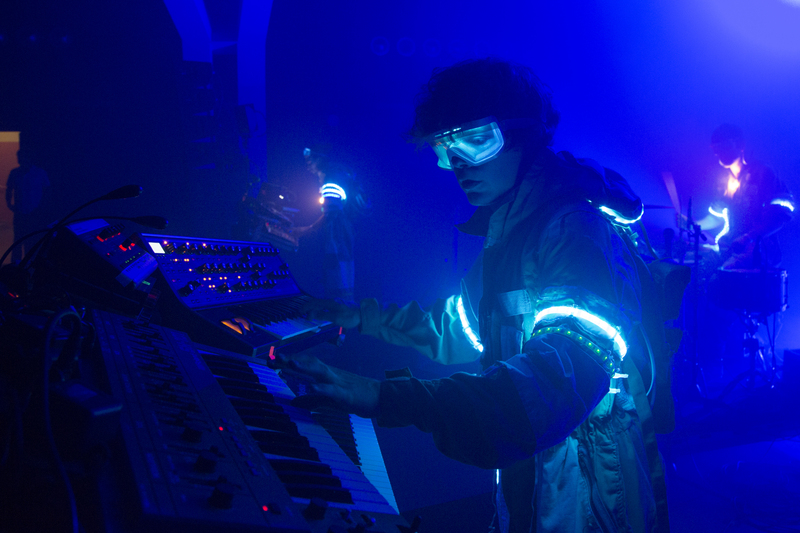 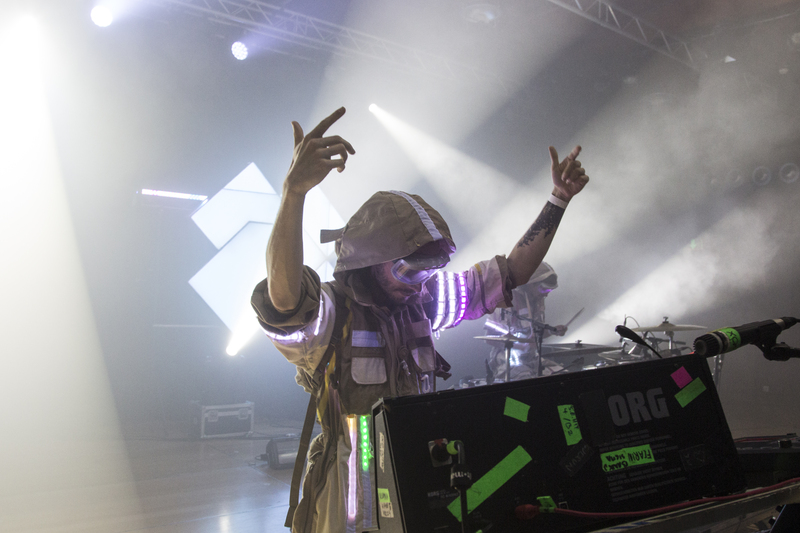 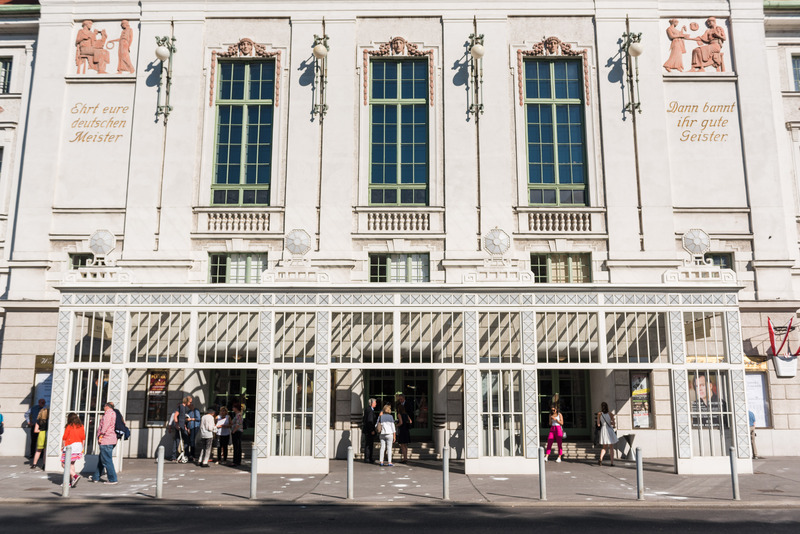 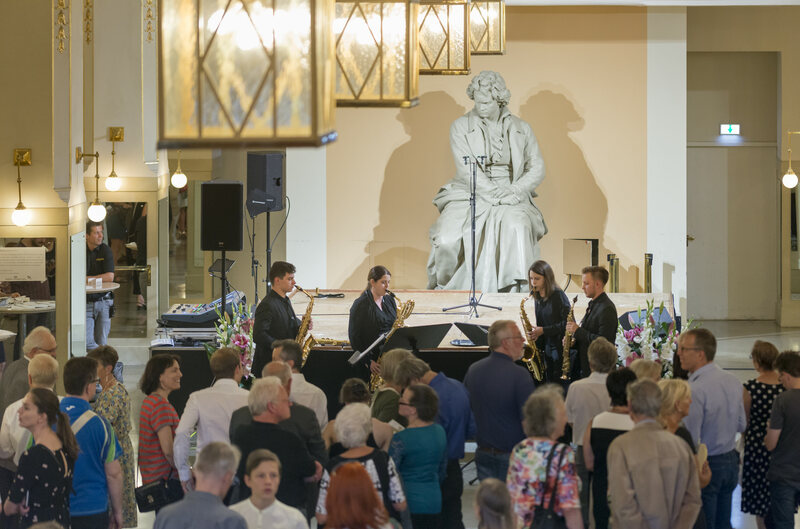 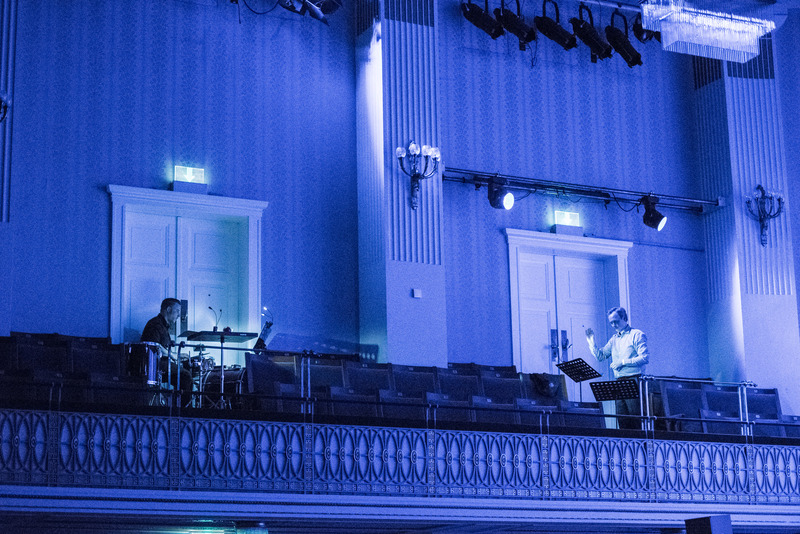 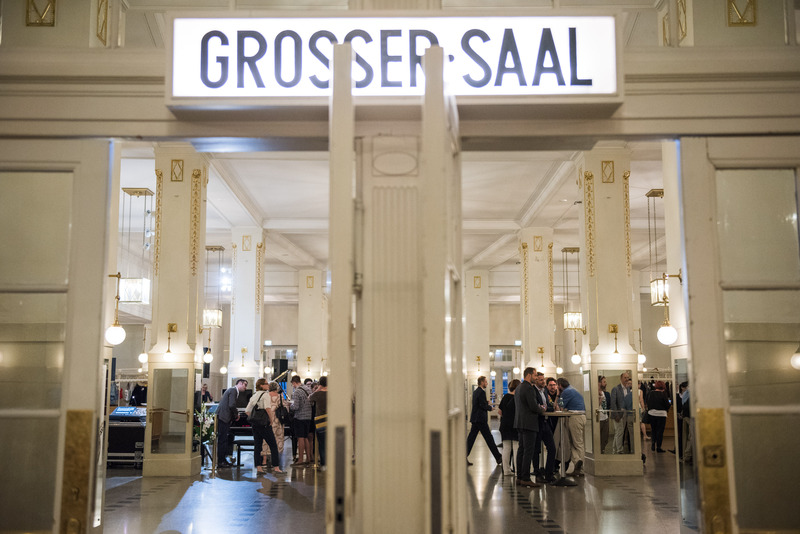 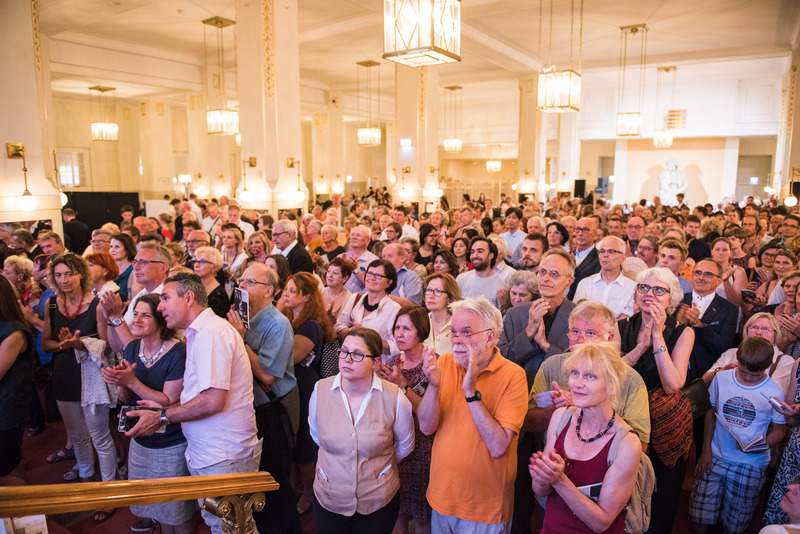 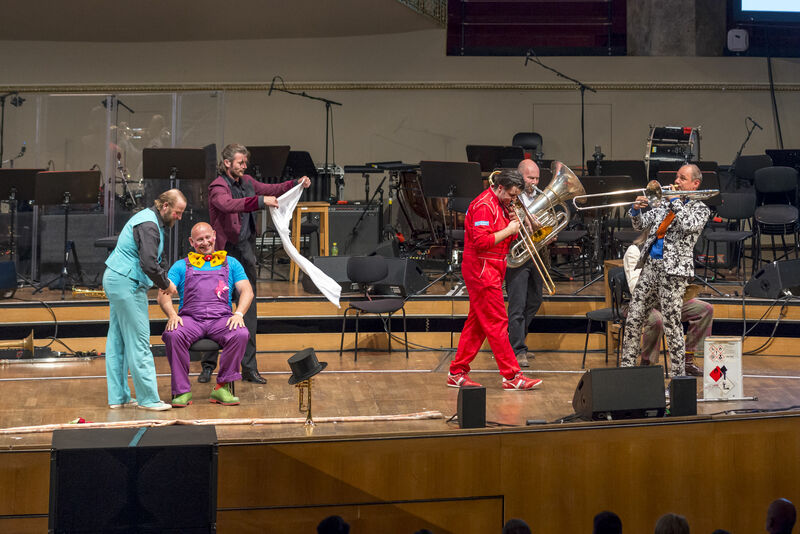 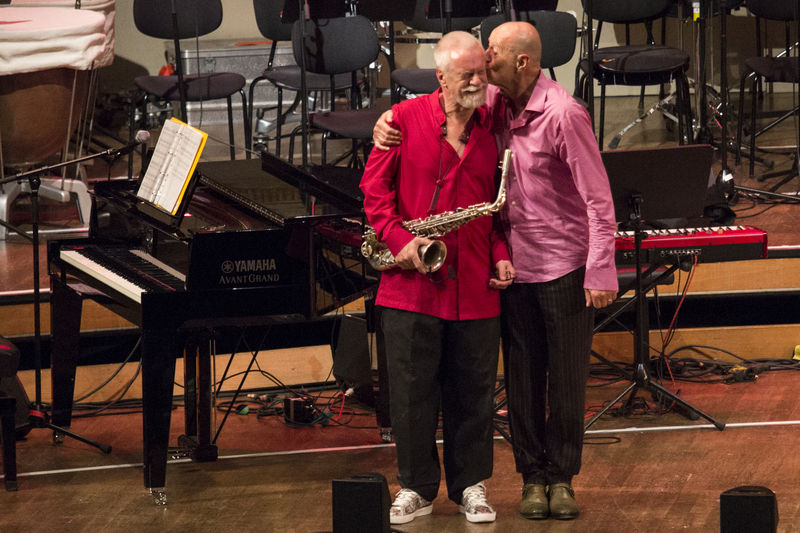 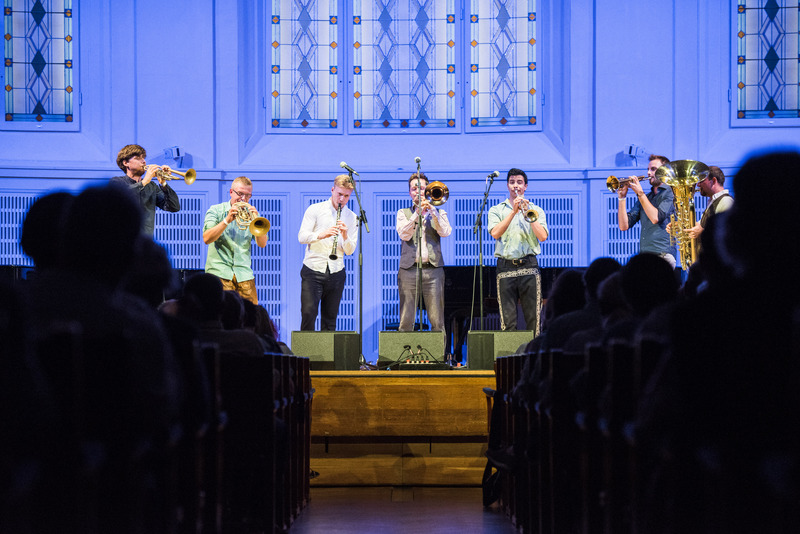 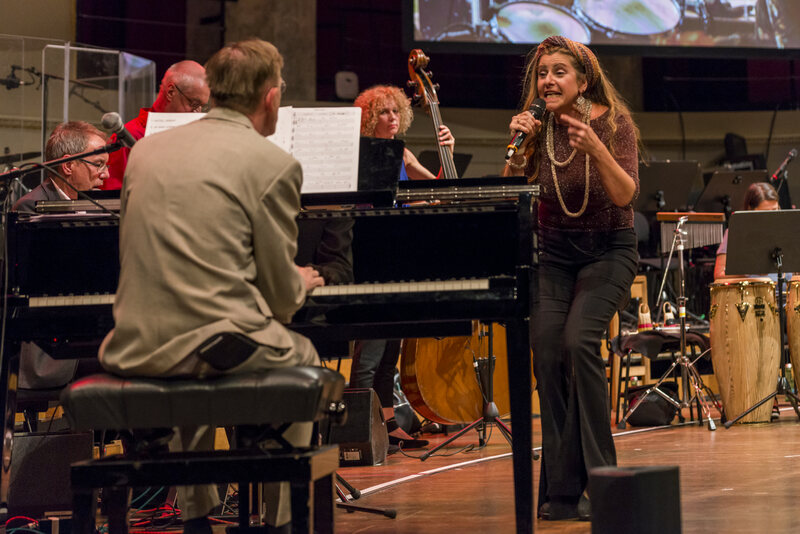 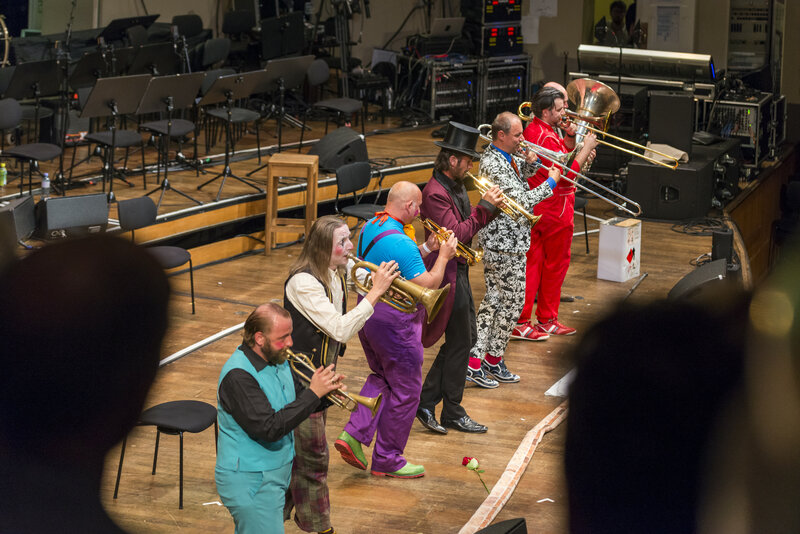 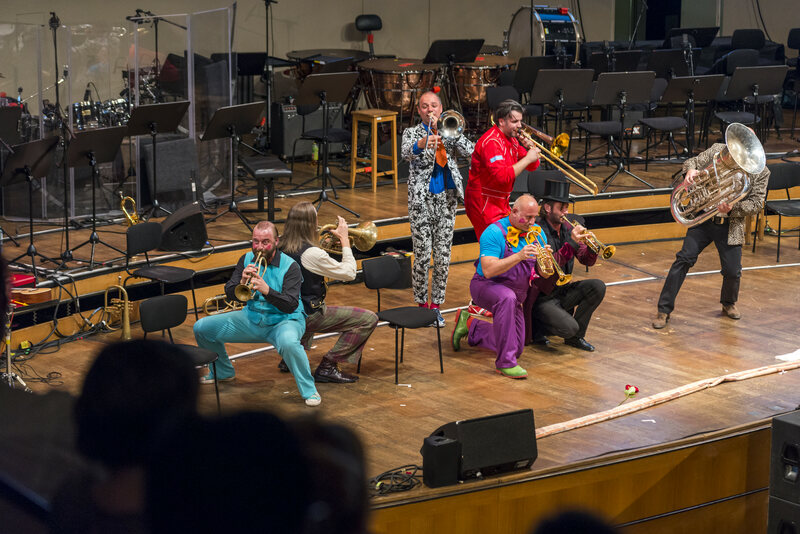 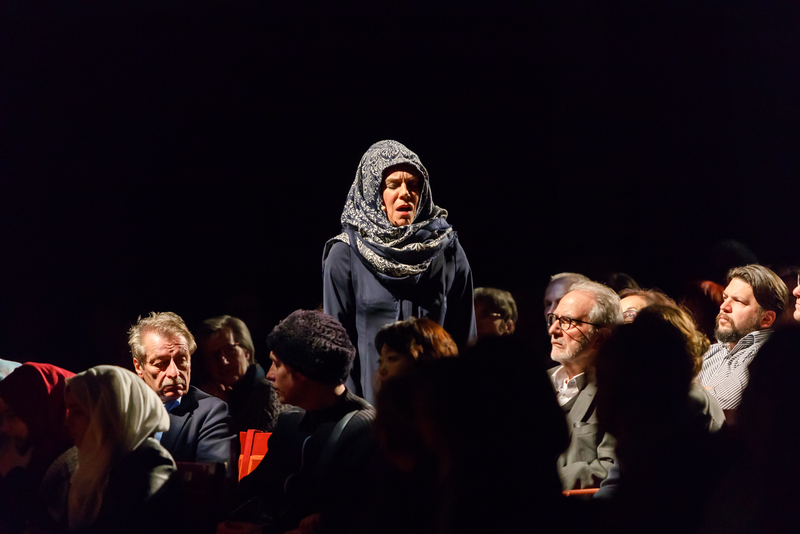 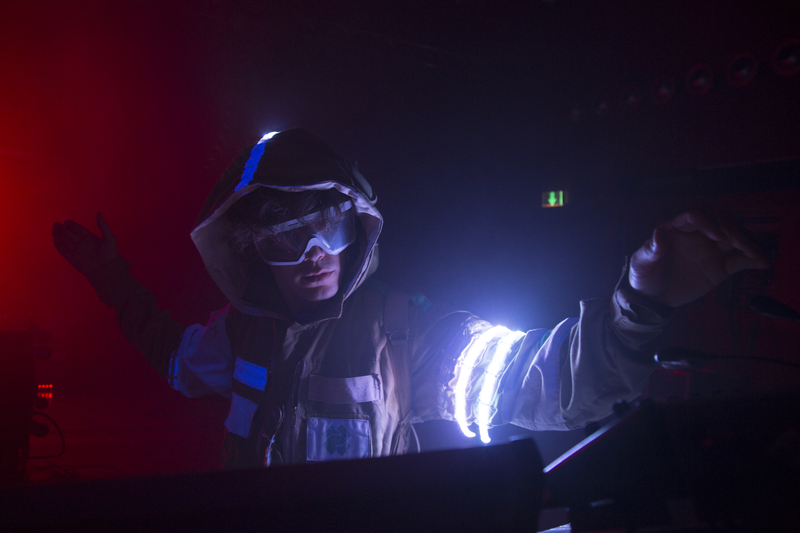 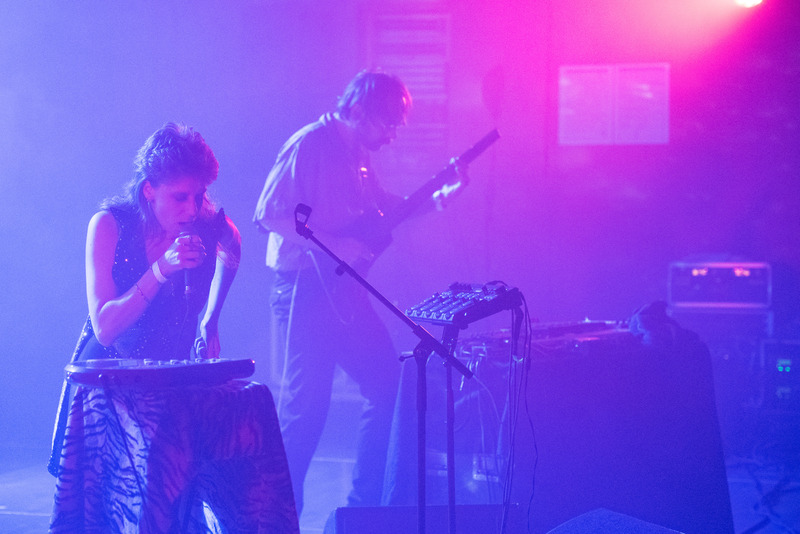 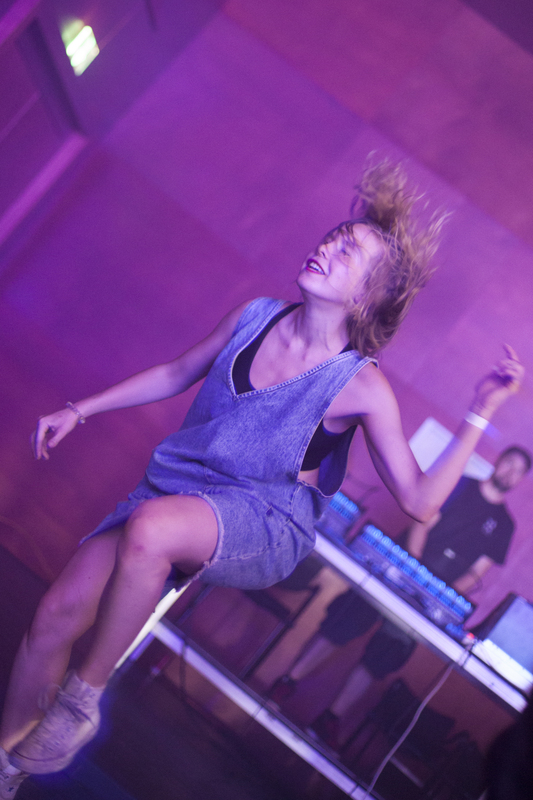 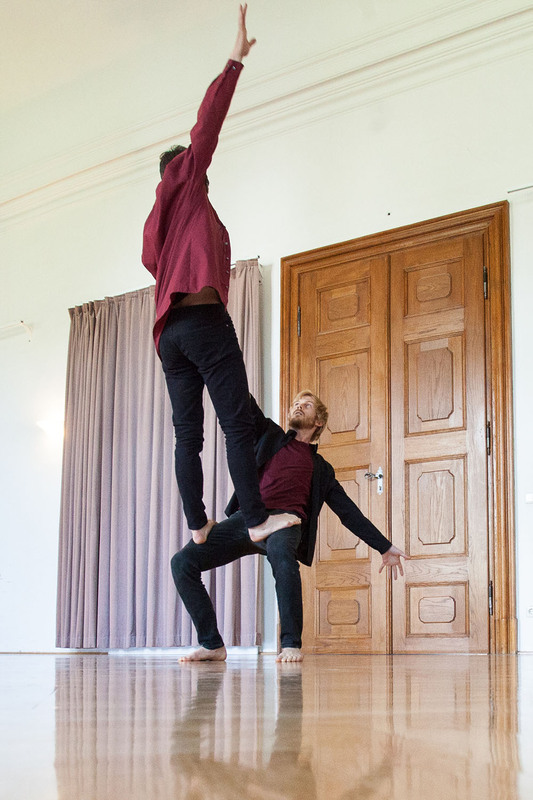 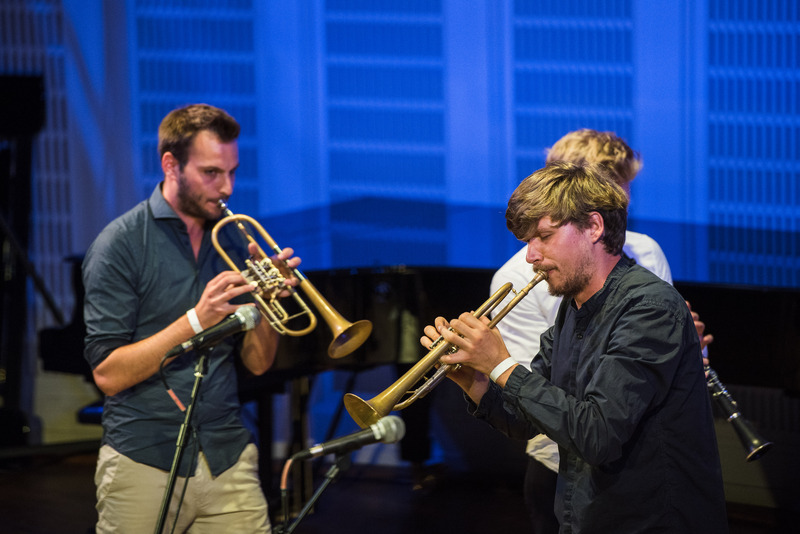 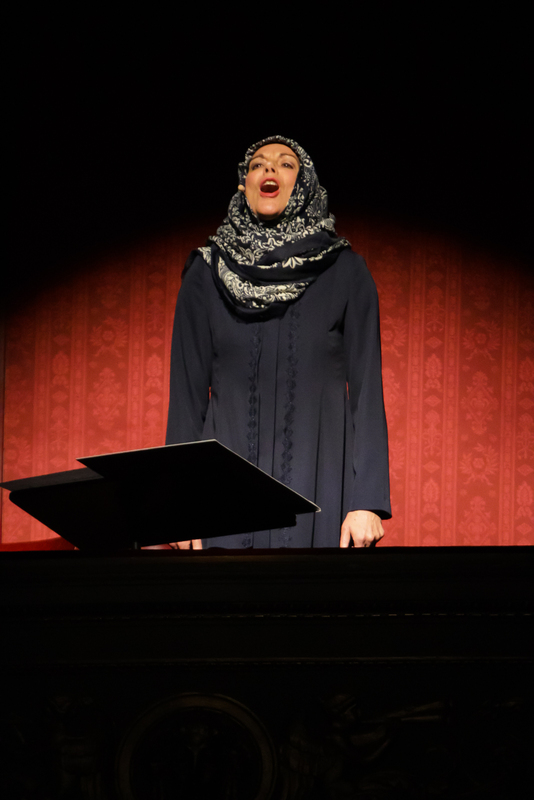 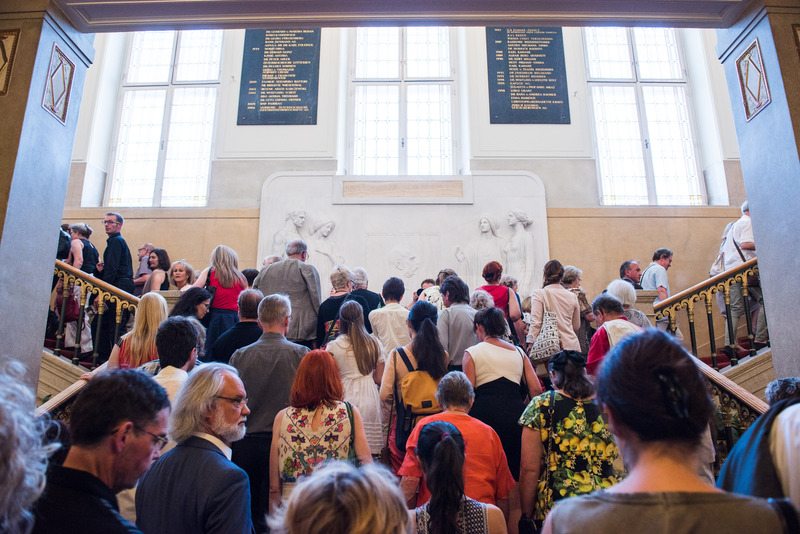 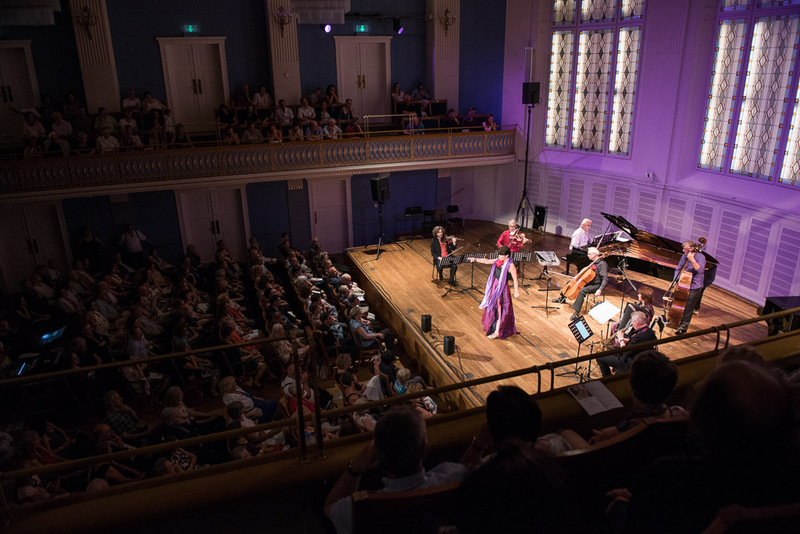 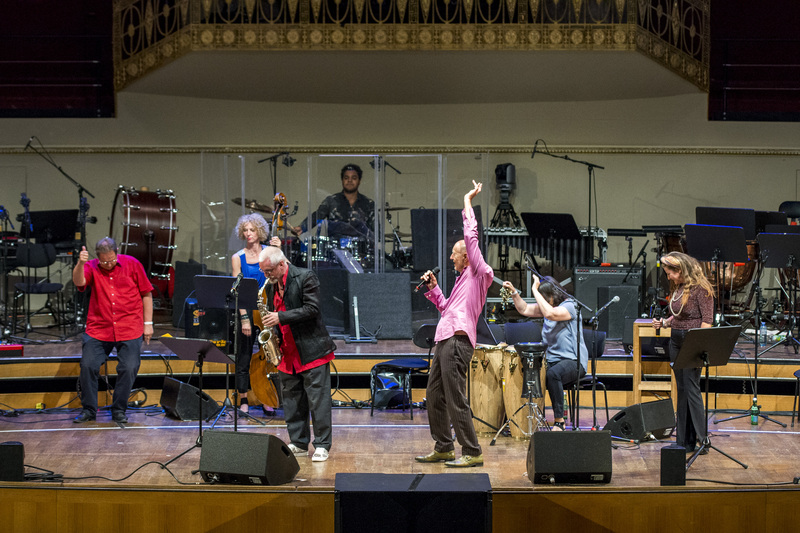 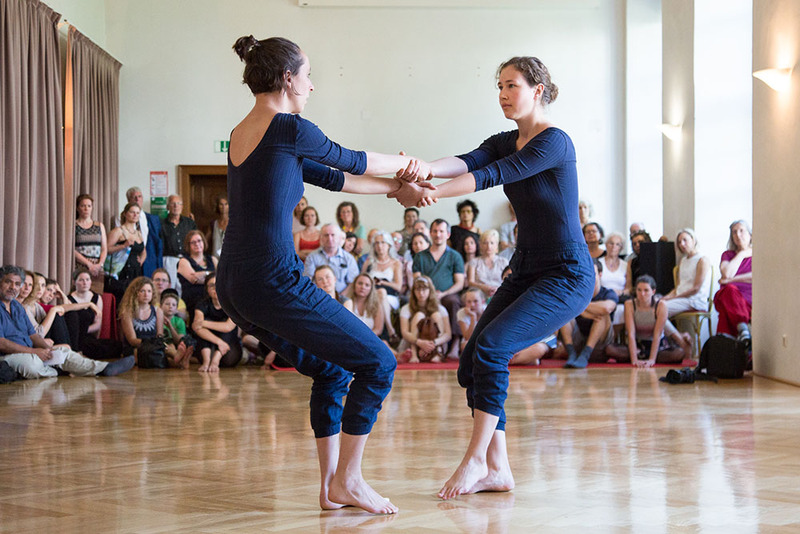 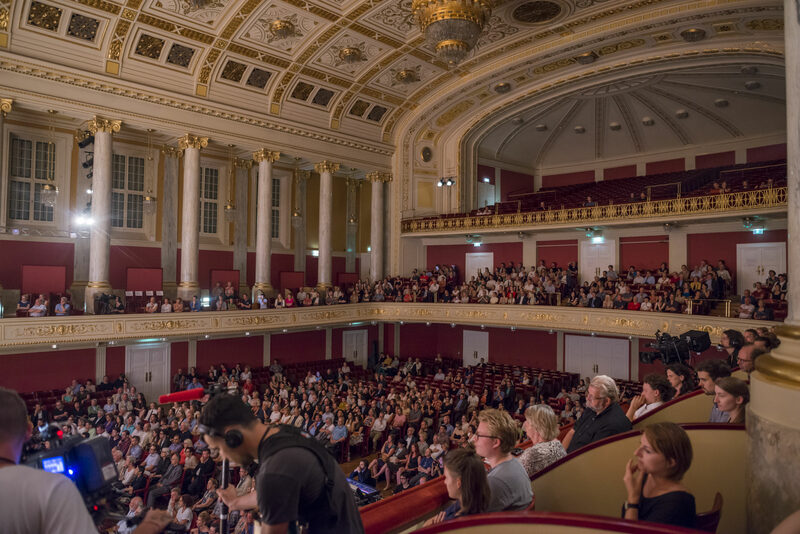 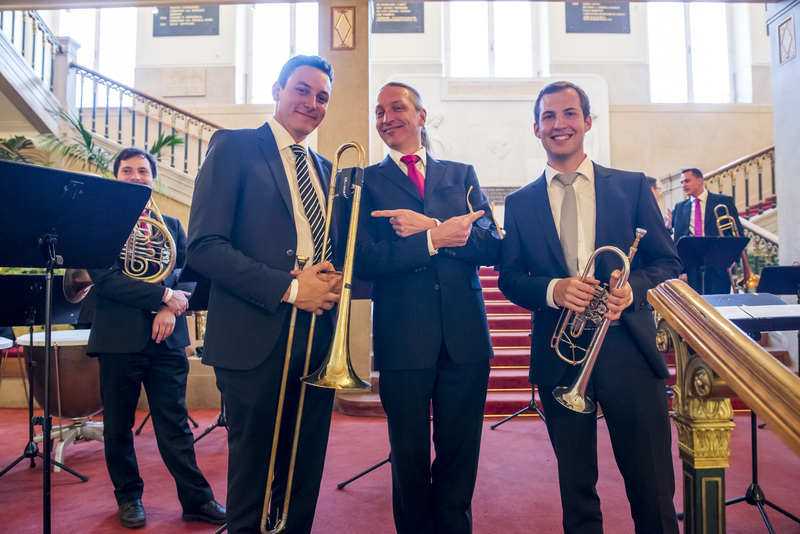 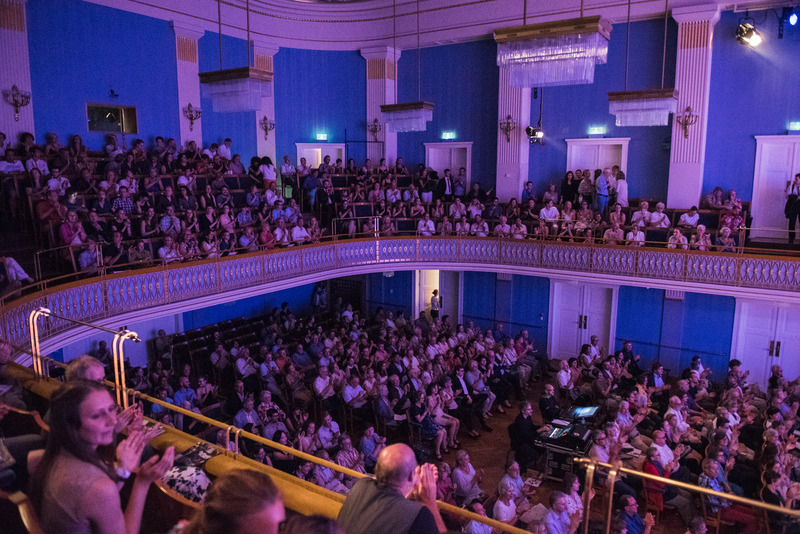 A further highlight: the mdw staged live performances throughout the entire complex of cultural institutions on Lothringerstraße: the Vienna Konzerthaus with all its halls and foyers, the university’s own spaces, and the Akademietheater. 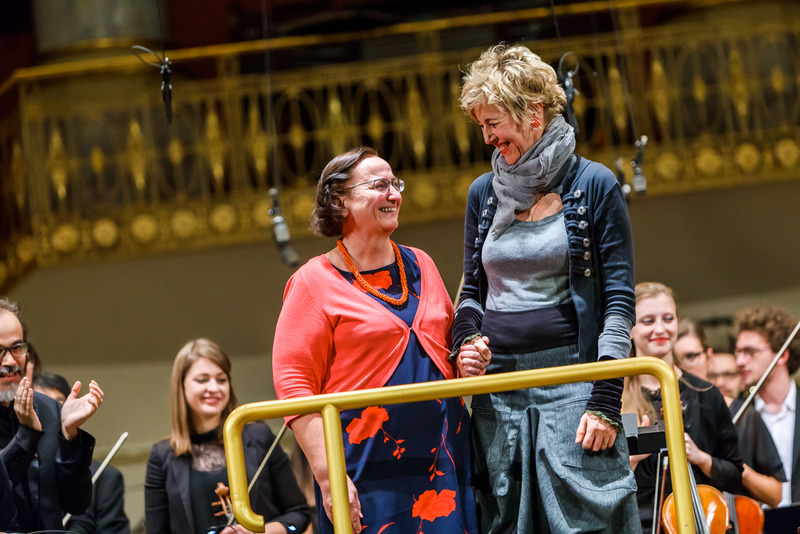 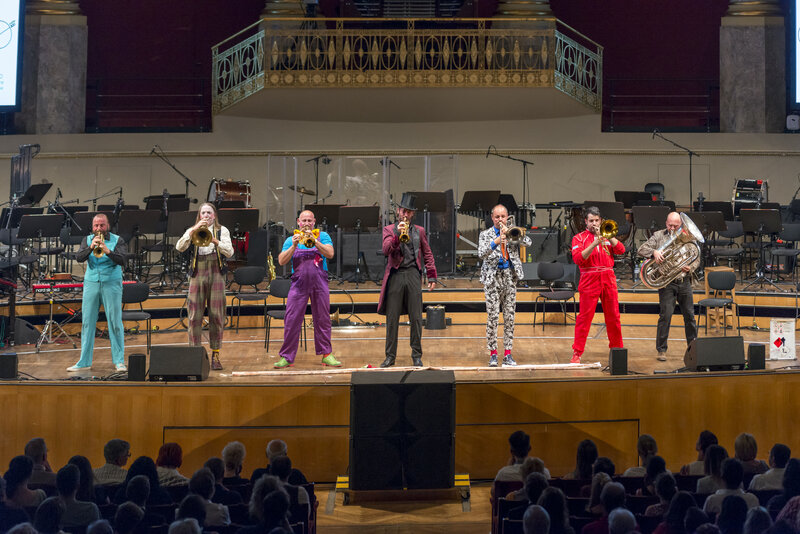 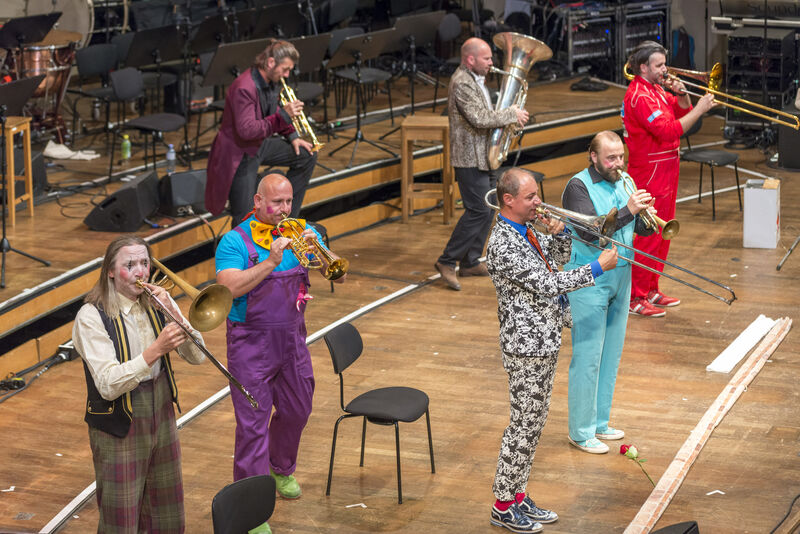 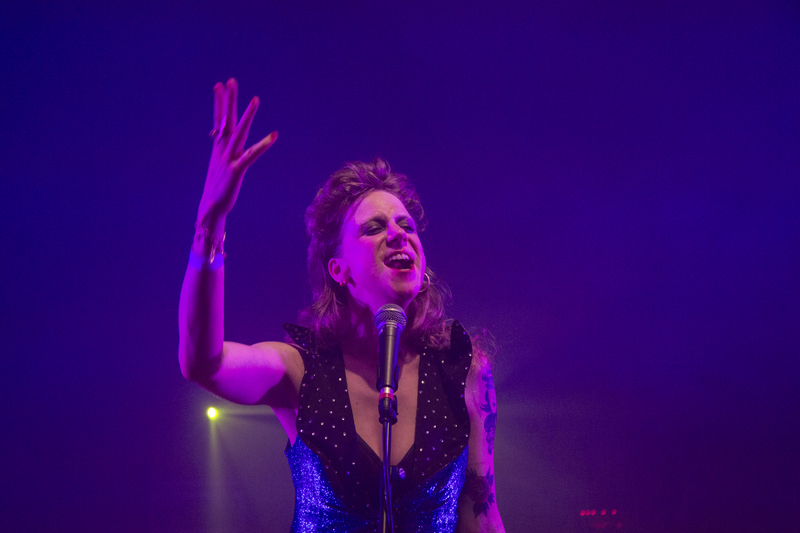 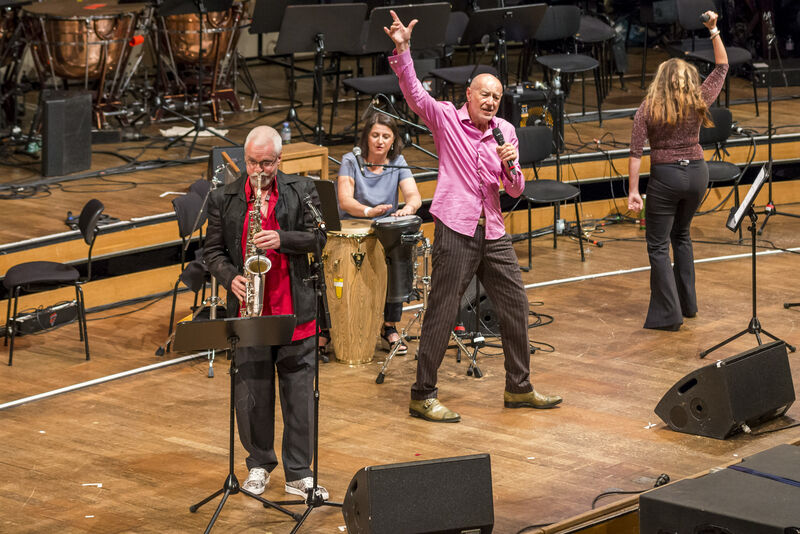 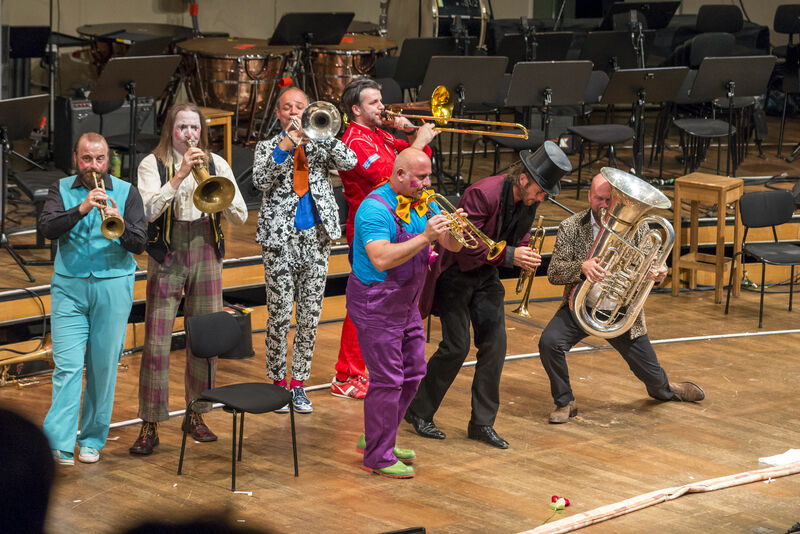 This fulminant evening’s 40-act roster included star conductor Franz Welser-Möst, mdw alumna and mezzo-soprano Elisabeth Kulman, Willi Resetarits, and the wind formation Mnozil Brass (whose members also attended the mdw), as well as Federspiel, Gudrun von Laxenburg, and Ankathie Koi. 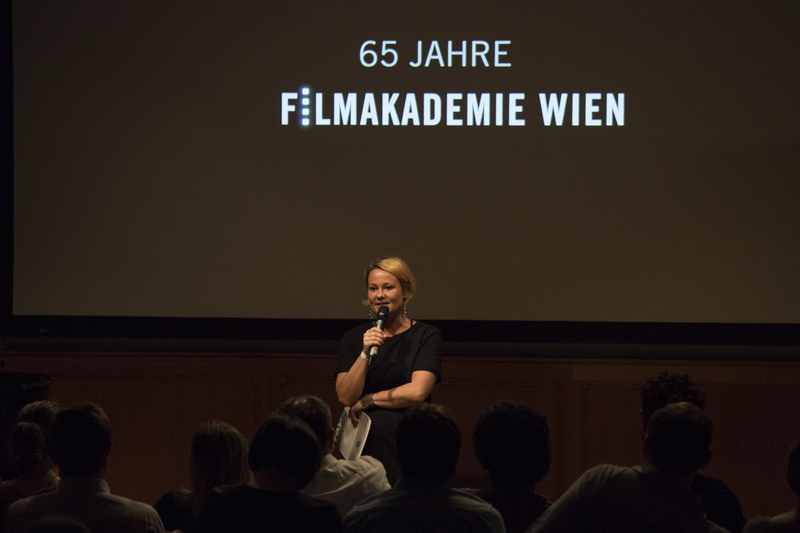 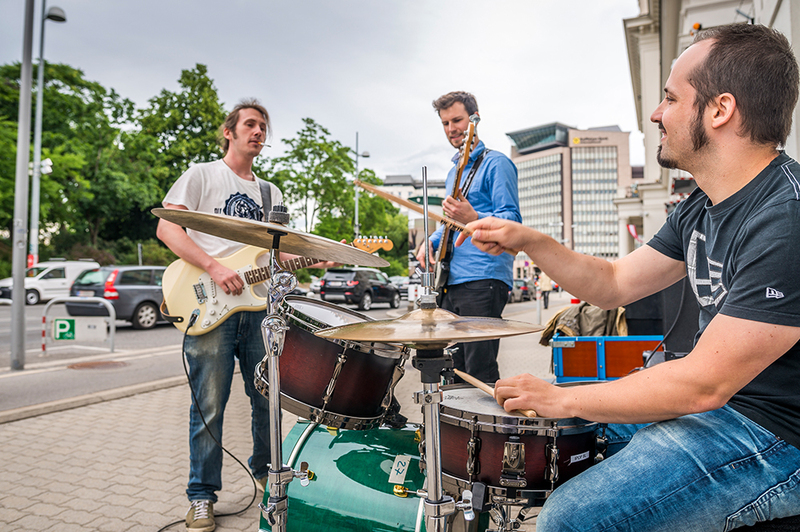 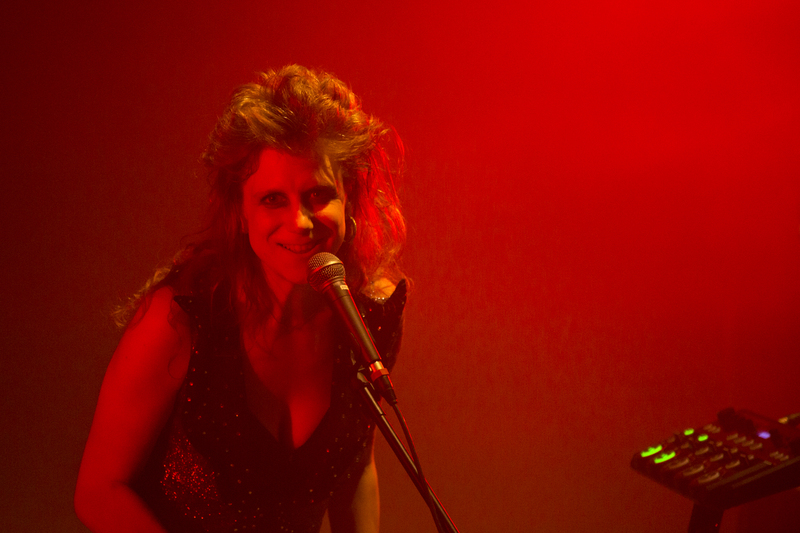 Alongside this diverse musical programme, the Department of Film and Television – Film Academy Vienna gave a best-of presentation of short films by current students. 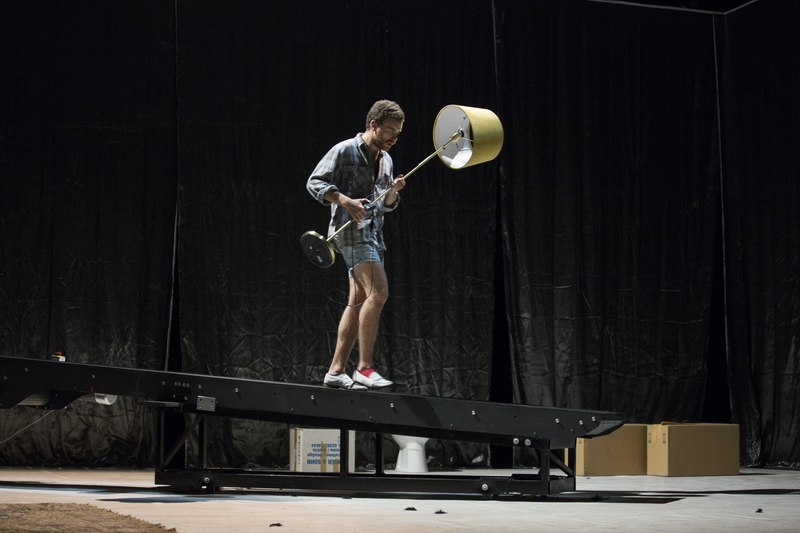 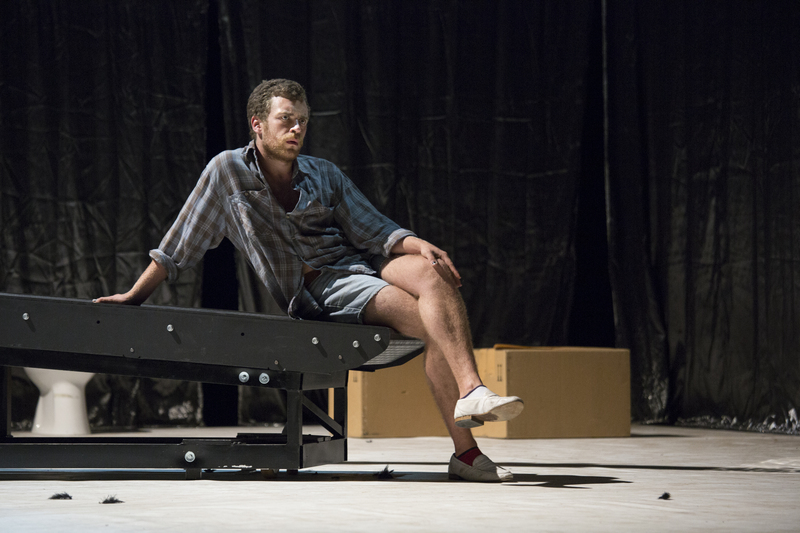 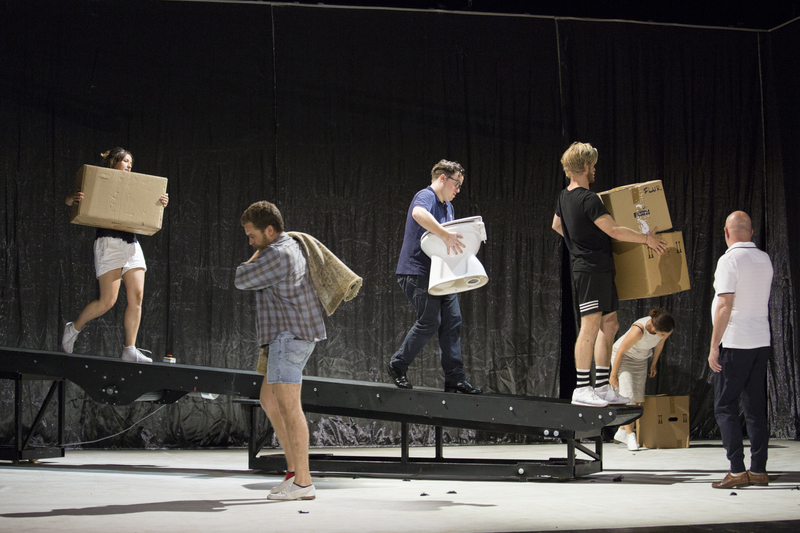 At the Akademietheater, the Department of Drama – Max Reinhardt Seminar presented the narrative-rich play Hose Fahrrad Frau. 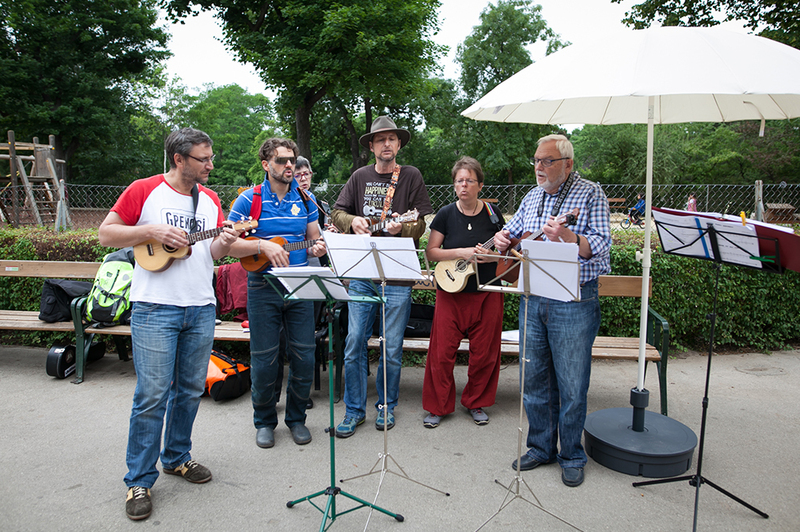 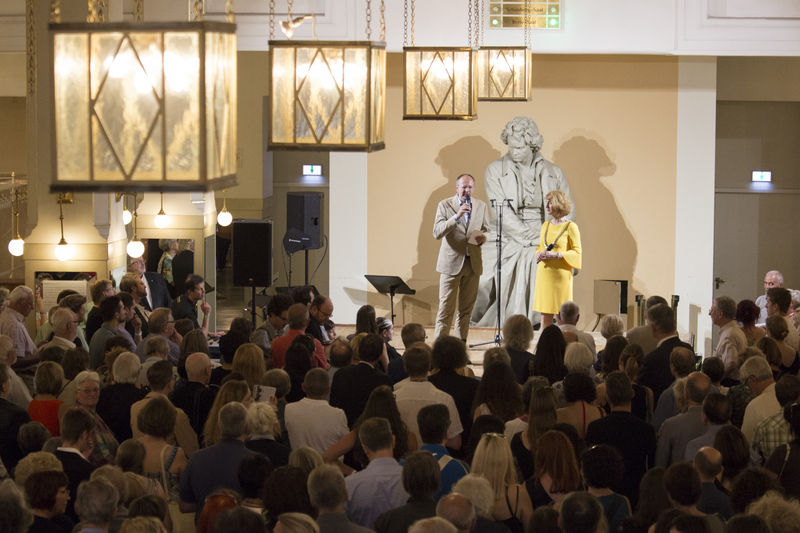 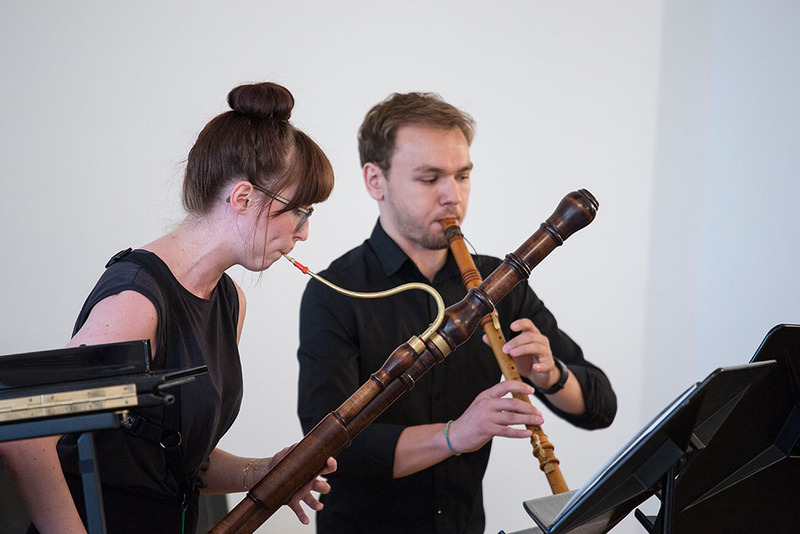 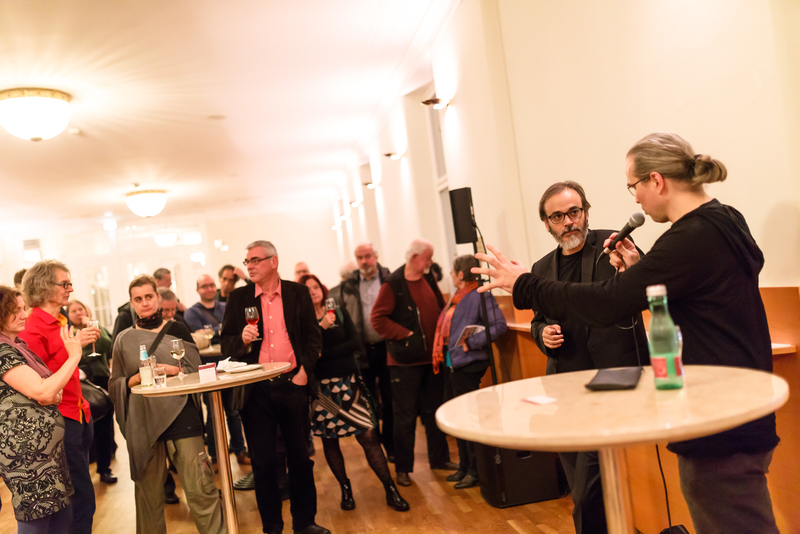 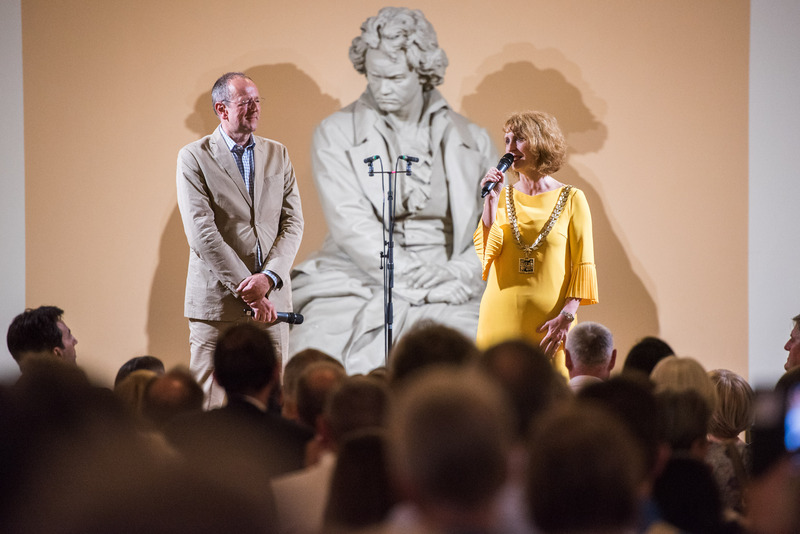 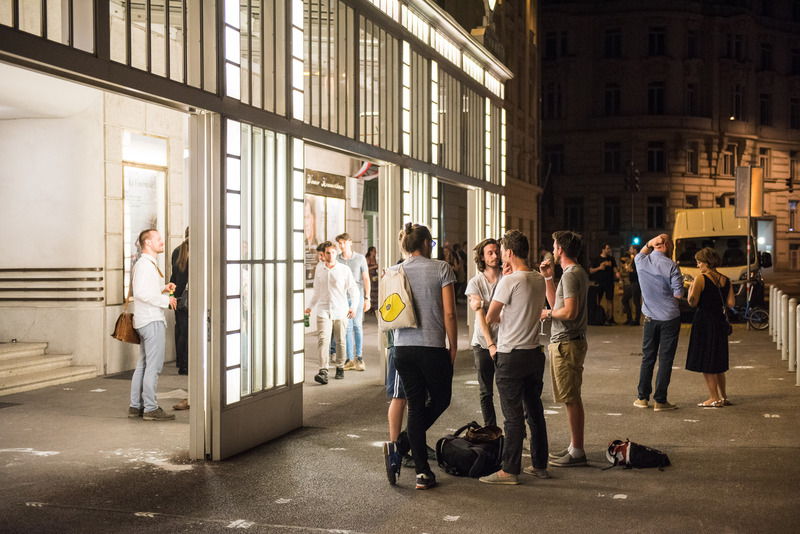 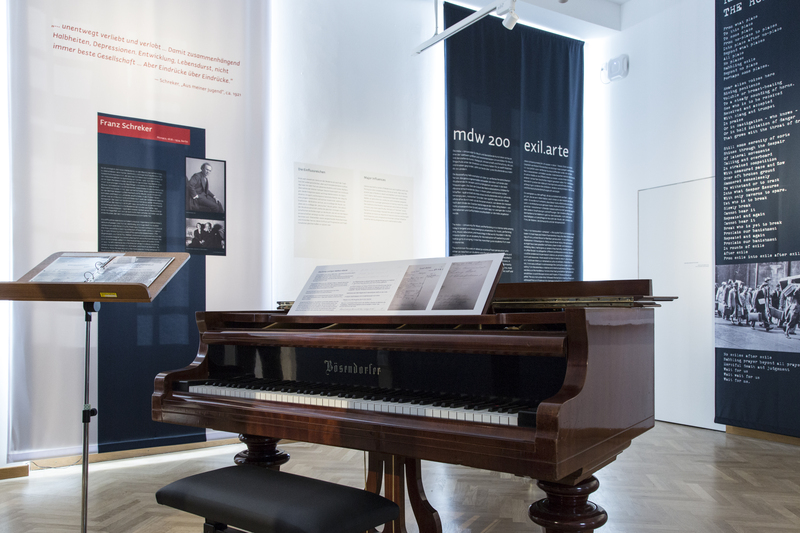 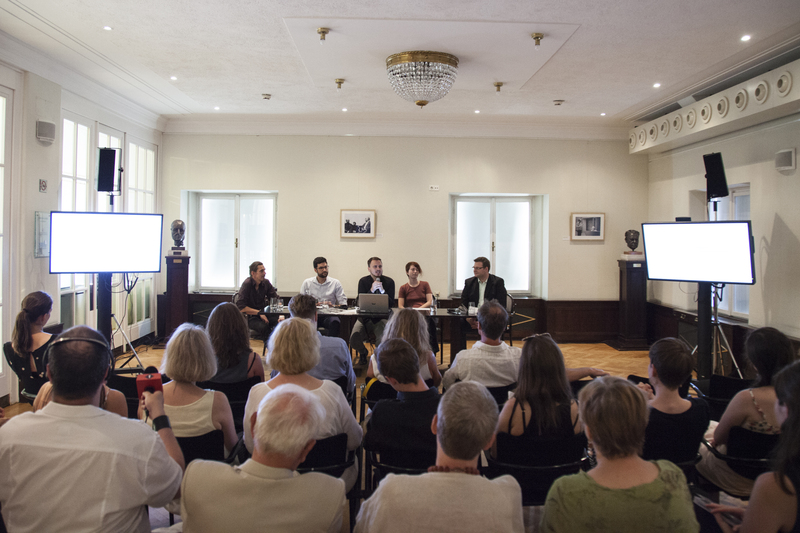 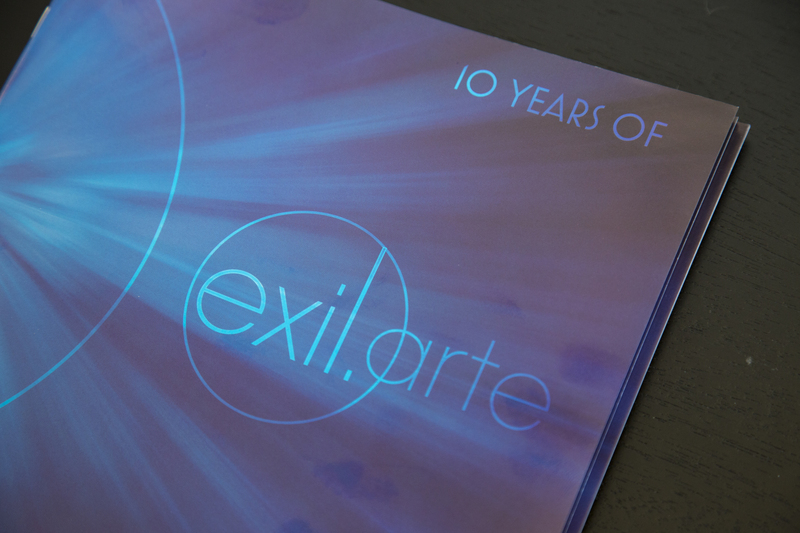 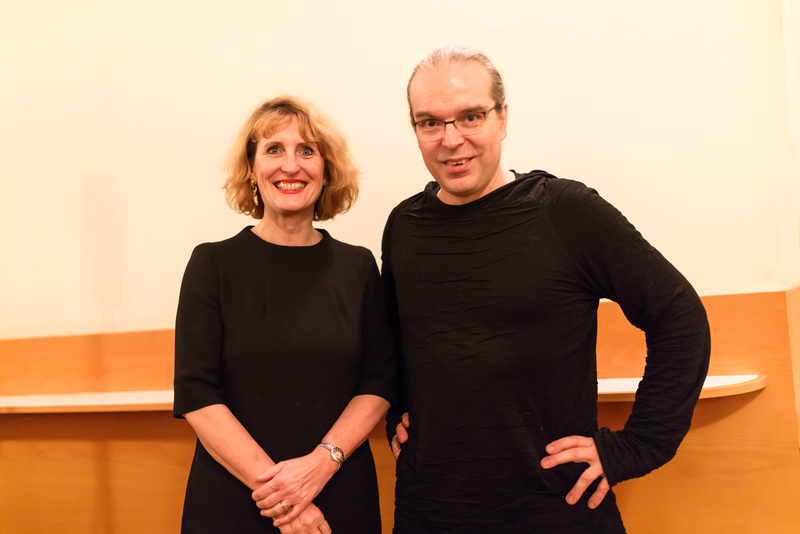 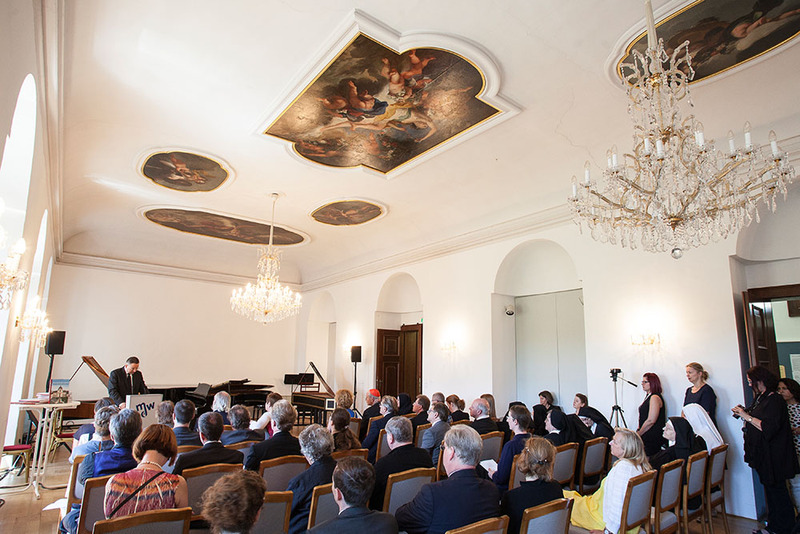 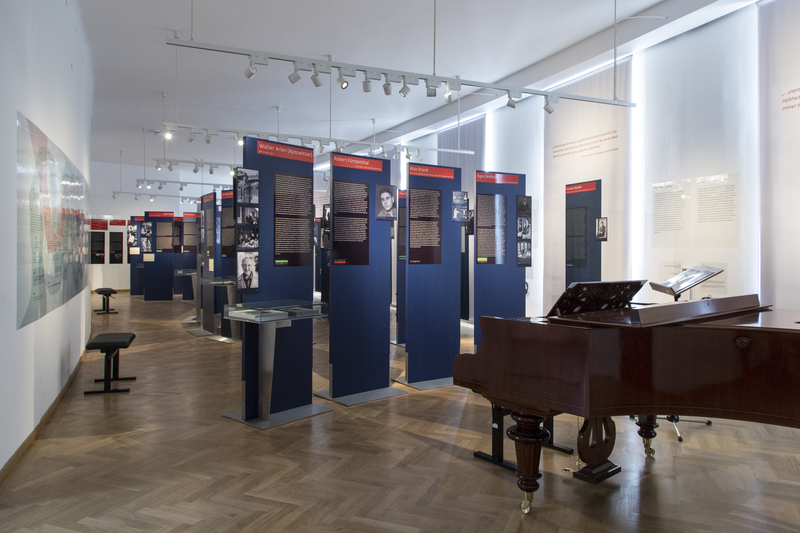 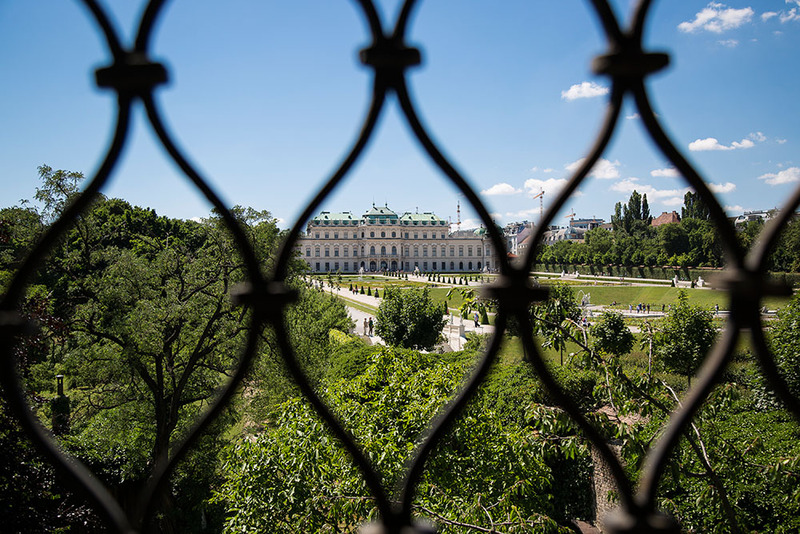 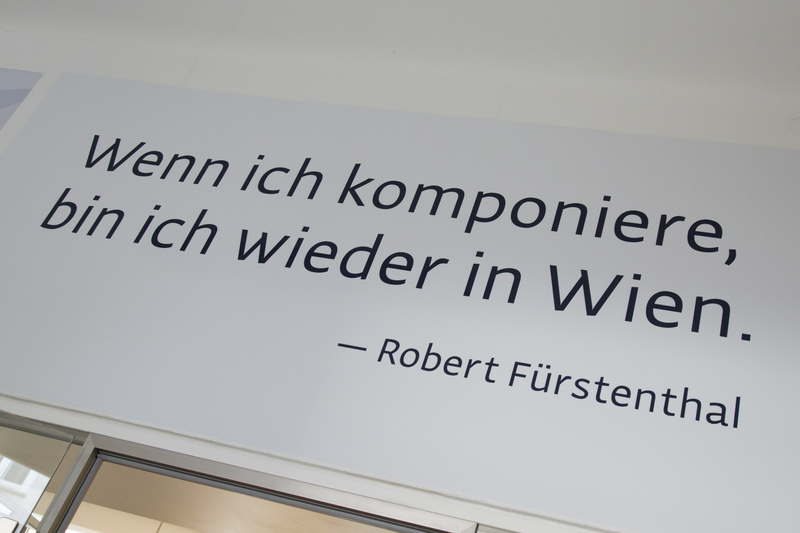 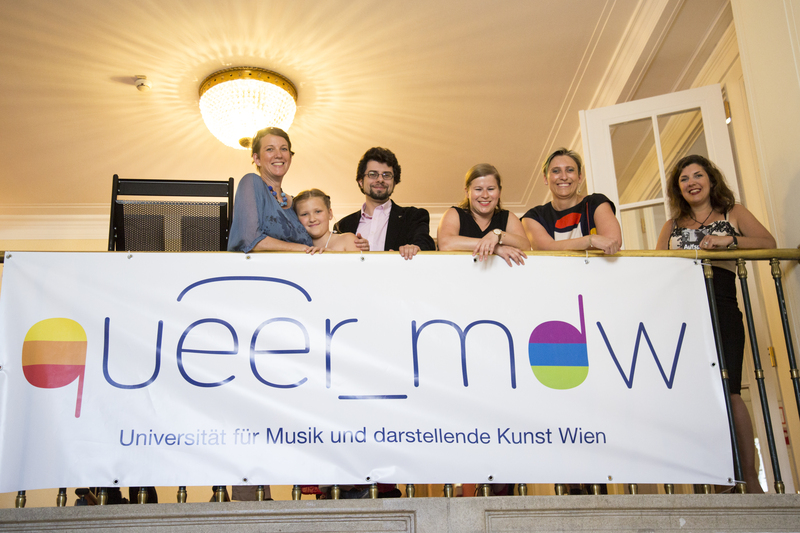 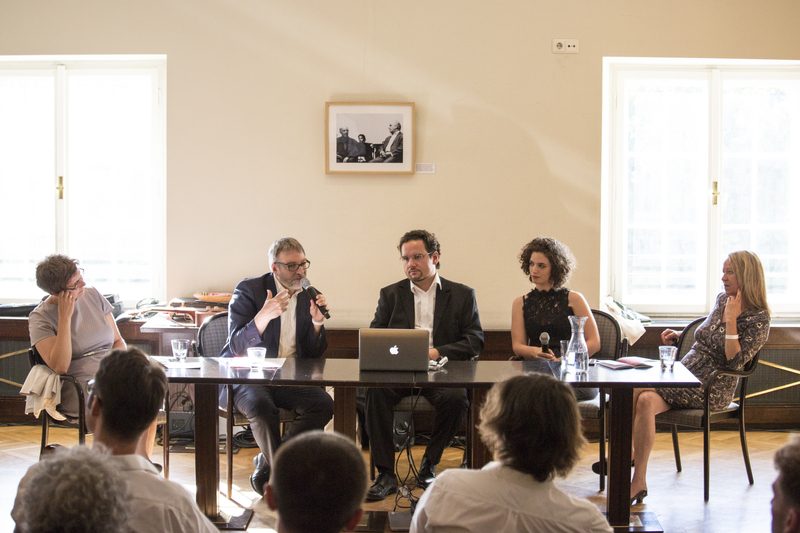 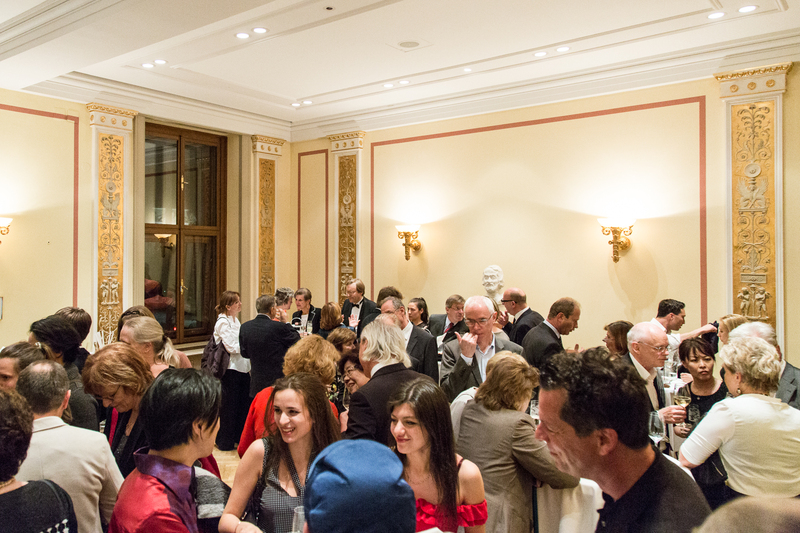 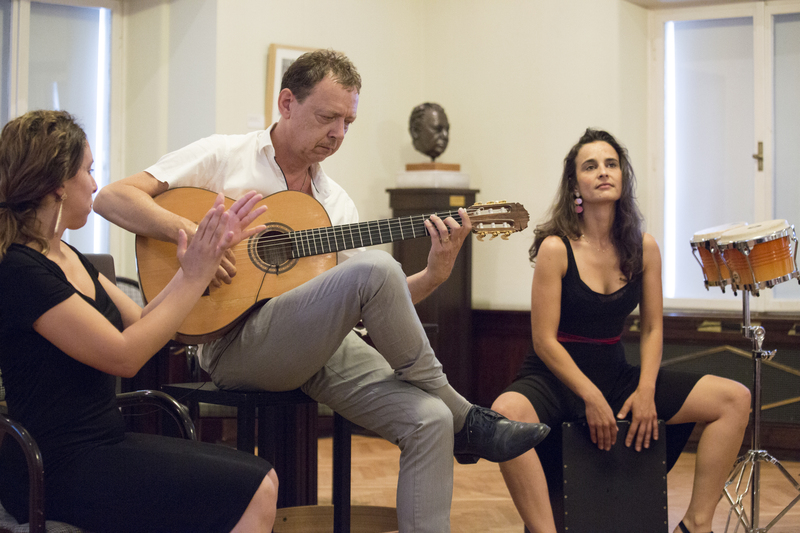 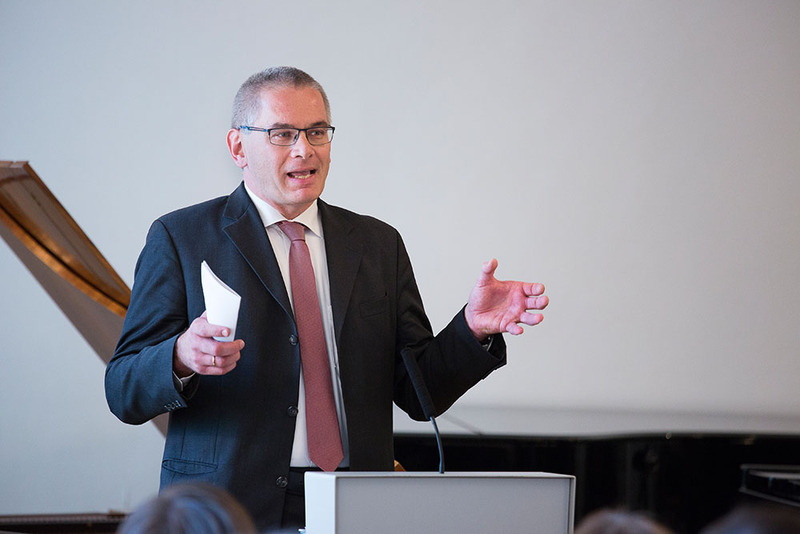 The scholarly departments of the mdw introduced current research projects, and the mdw exhibition Wenn ich komponiere, bin ich wieder in Wien [I Return to Vienna When I Compose] of the exil.arte Center for music in exile offered special guided tours the entire evening long. 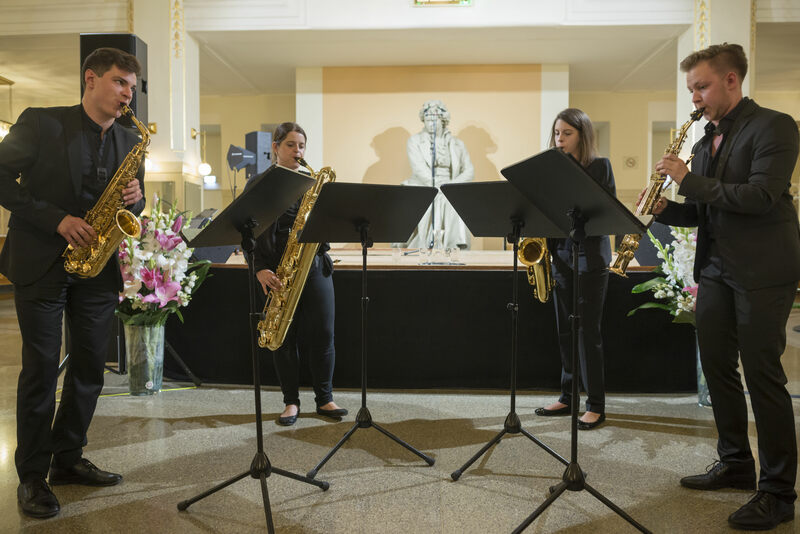 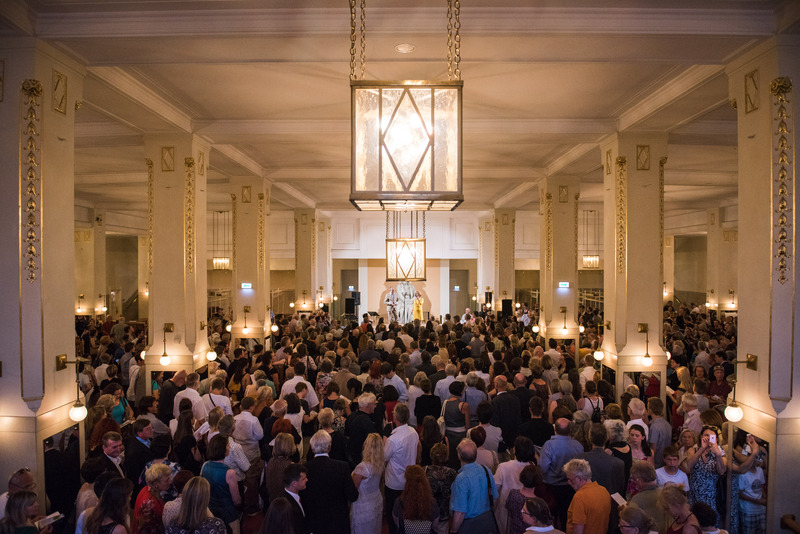 This celebration at the mdw’s location on Rennweg paid tribute to the 300-year history of the Salesian Sisters—founded in 1717 by the dowager empress Amalia—and the 200-year history of the mdw. 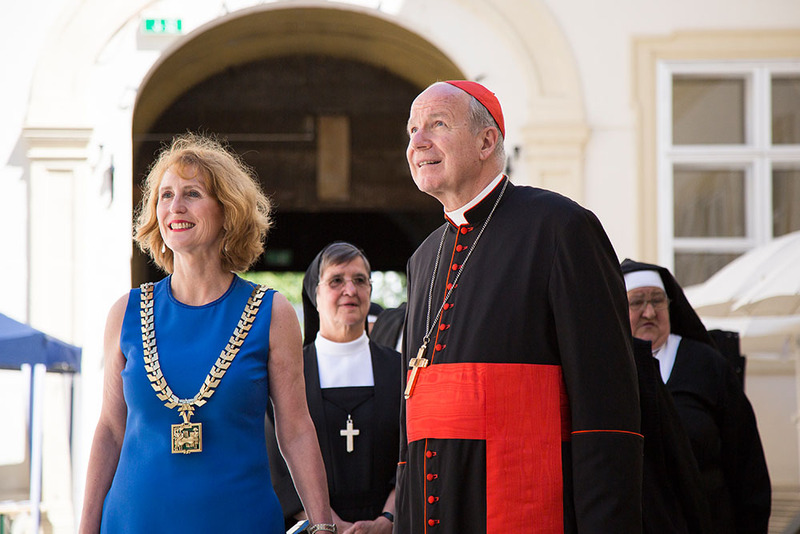 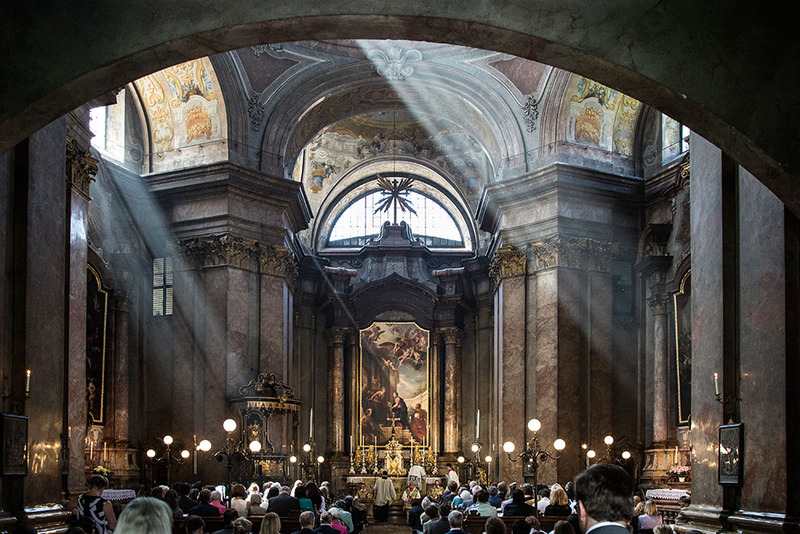 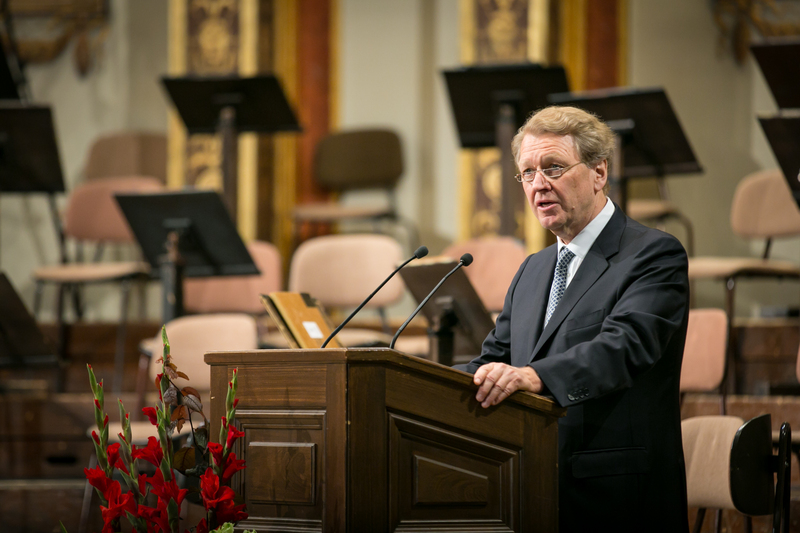 The day’s events were opened by a Pontifical High Mass celebrated by Cardinal Christoph Schönborn in the Church of the Salesians. 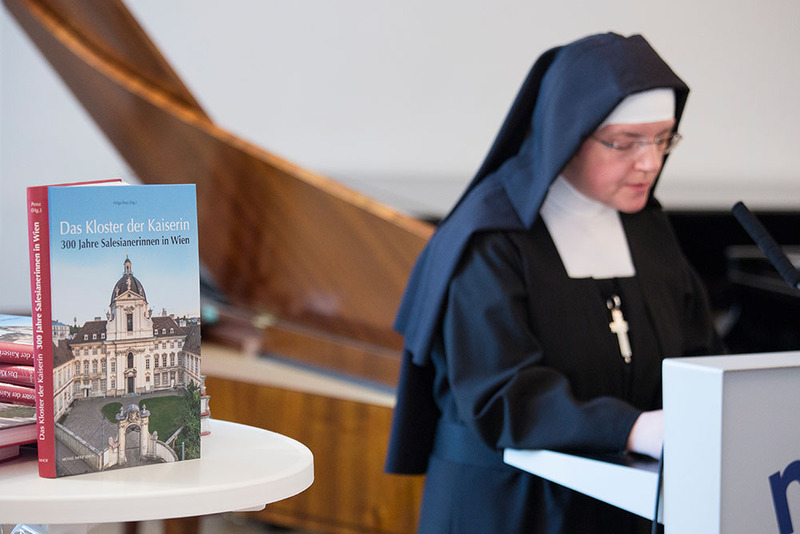 Next came a book presentation (Das Kloster der Kaiserin. 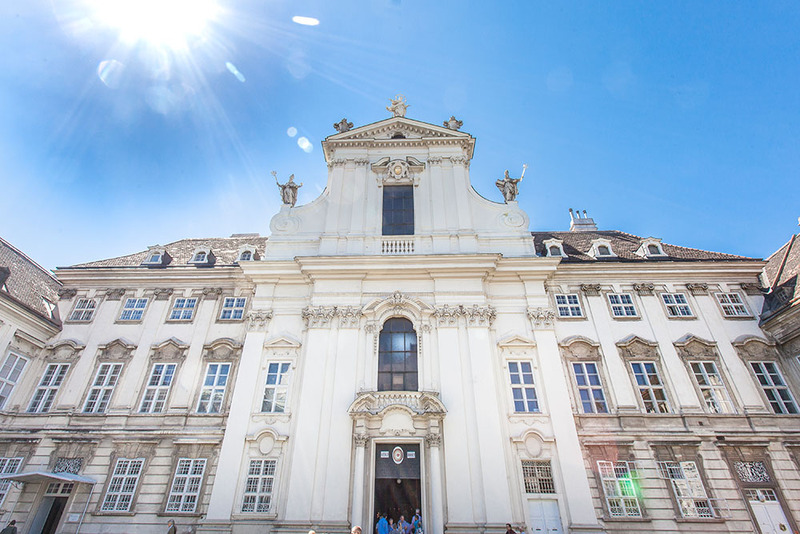 300 Jahre Salesianerinnen in Wien [The Empress’s Convent. 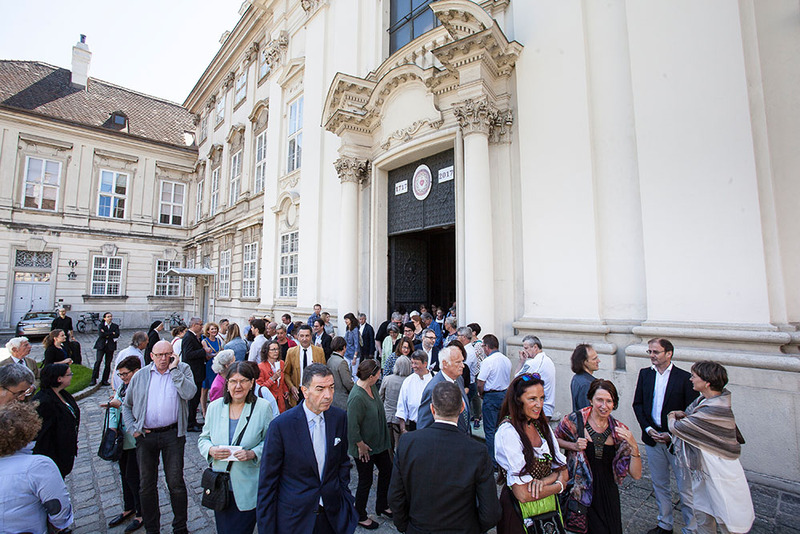 300 Years of the Salesians in Vienna]) in the concert hall of the mdw on Rennweg. 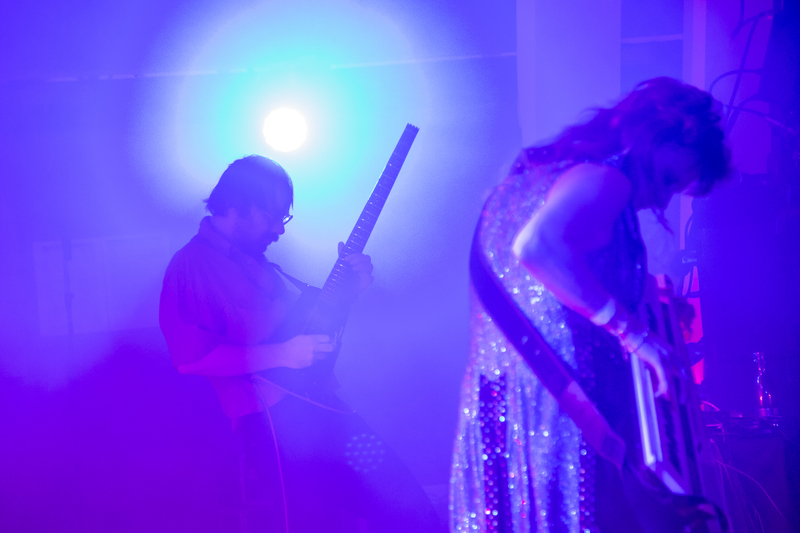 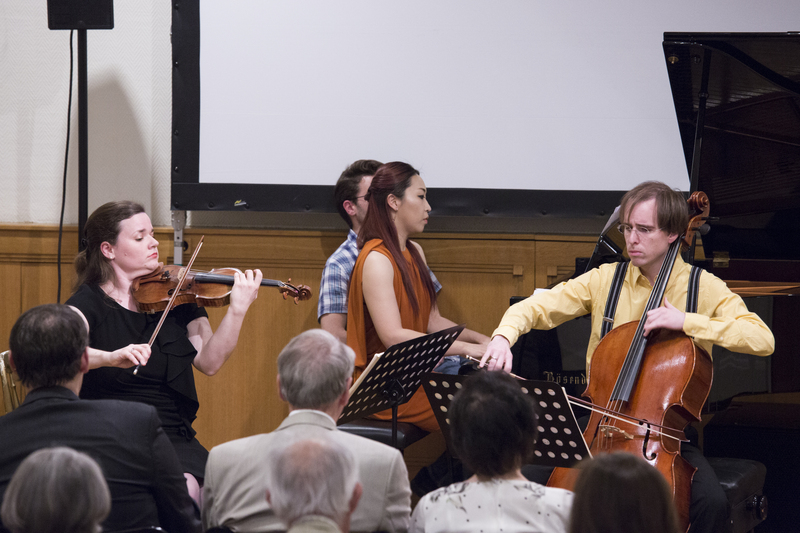 The afternoon featured a wide-ranging artistic programme, with all of the mdw’s music education departments presenting looks into their various areas of activity. 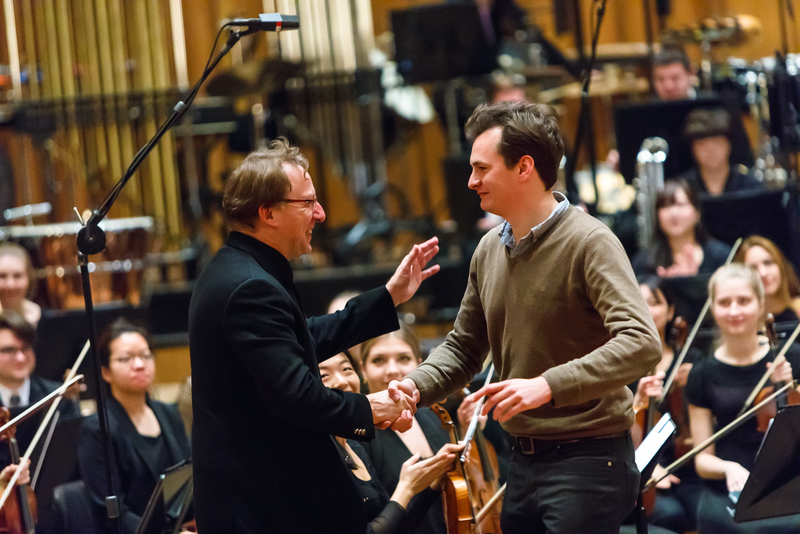 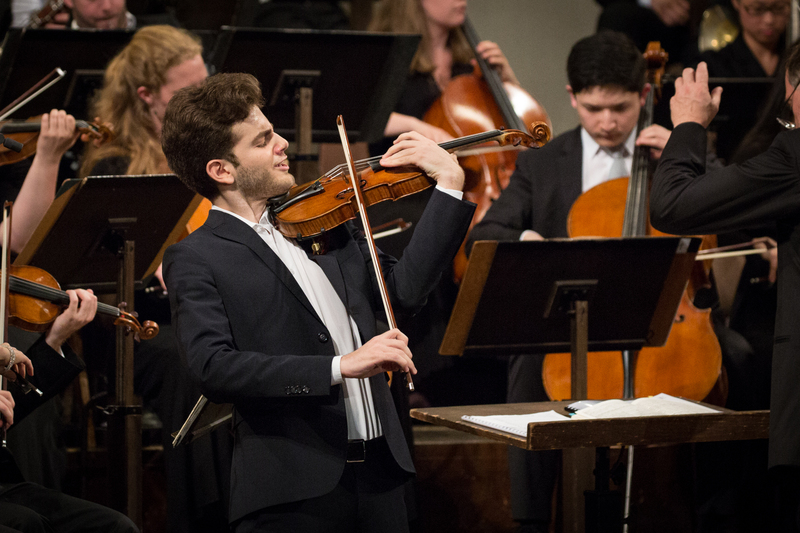 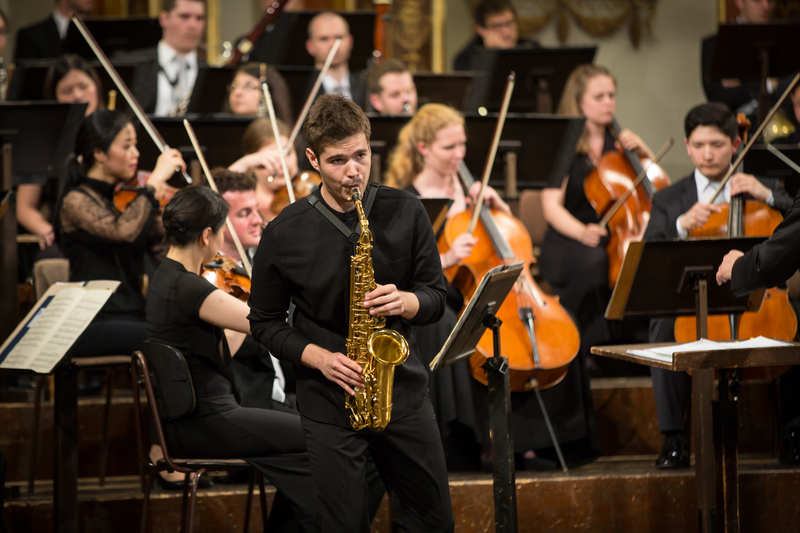 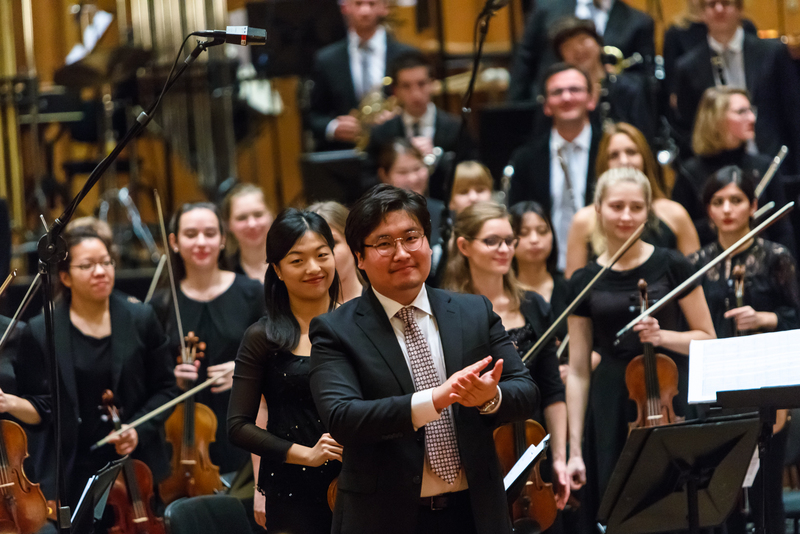 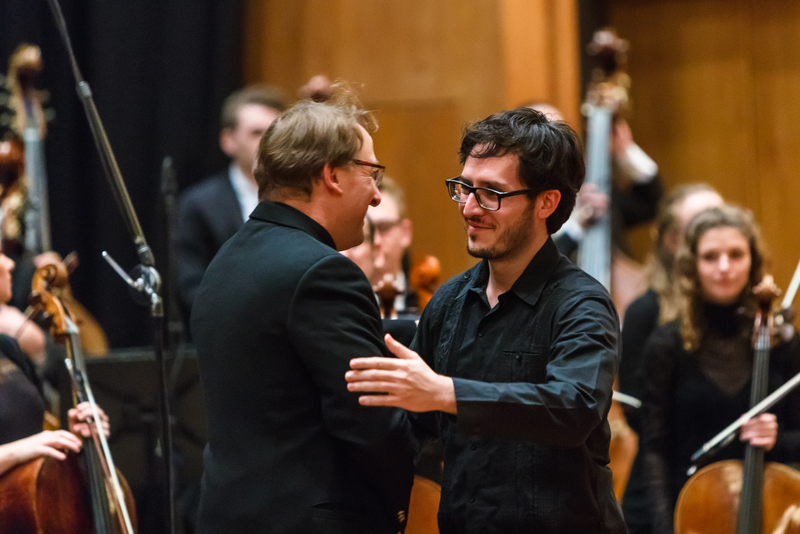 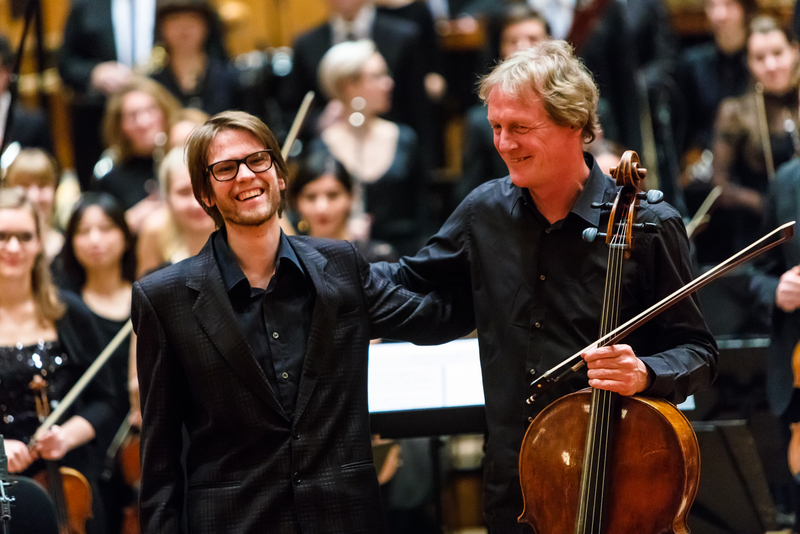 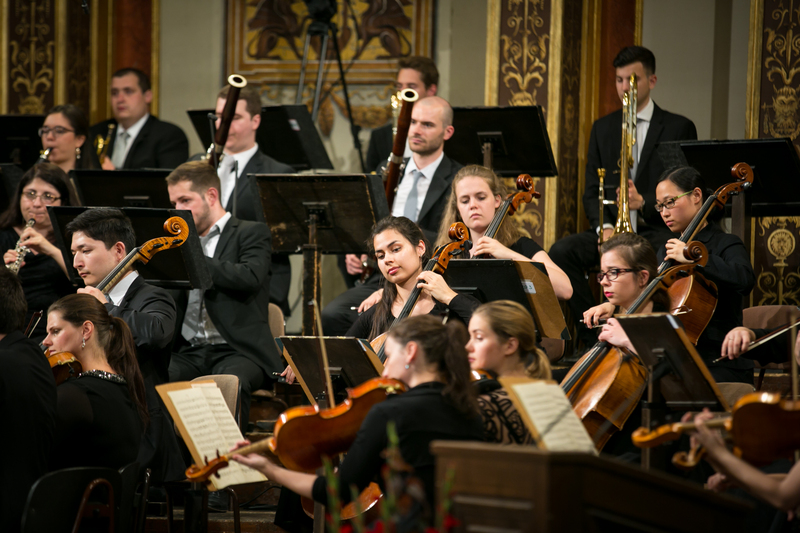 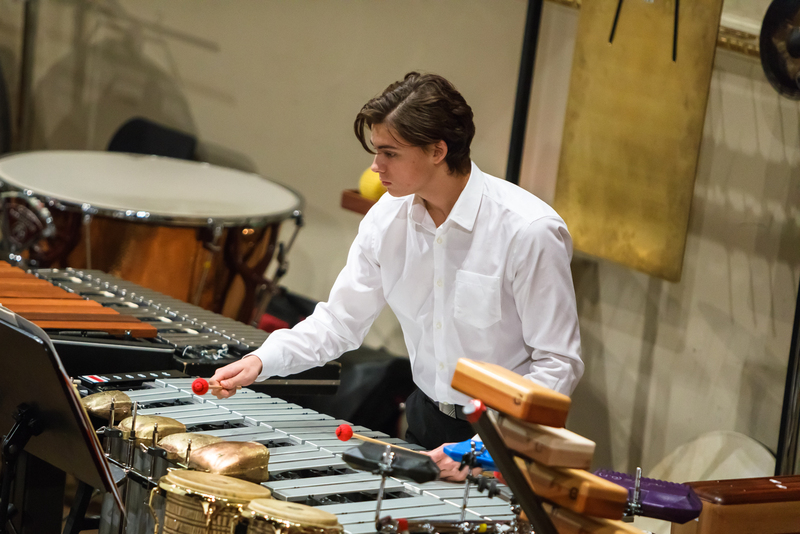 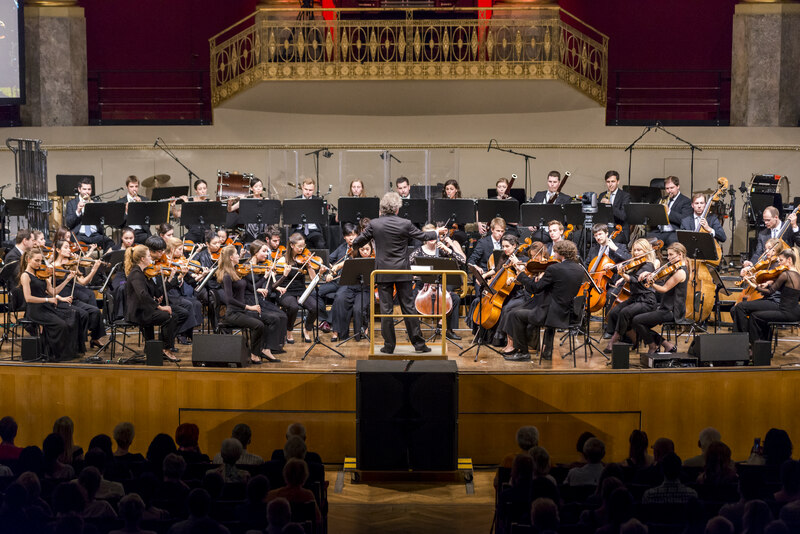 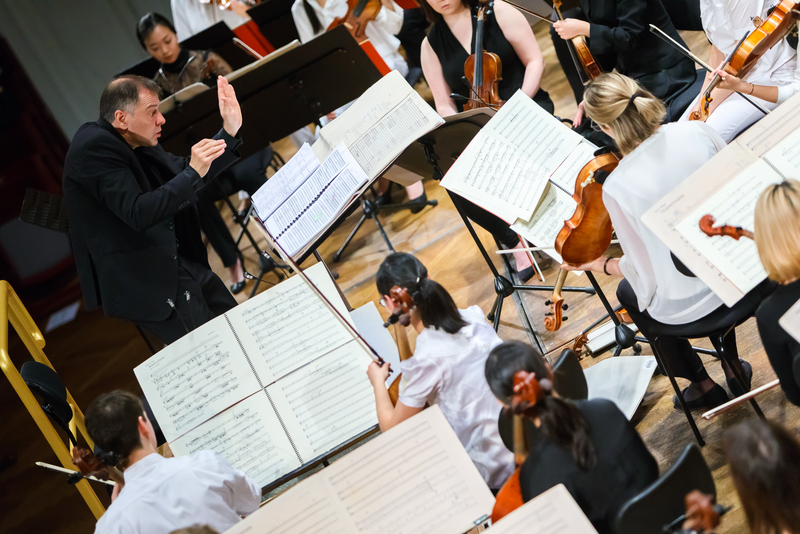 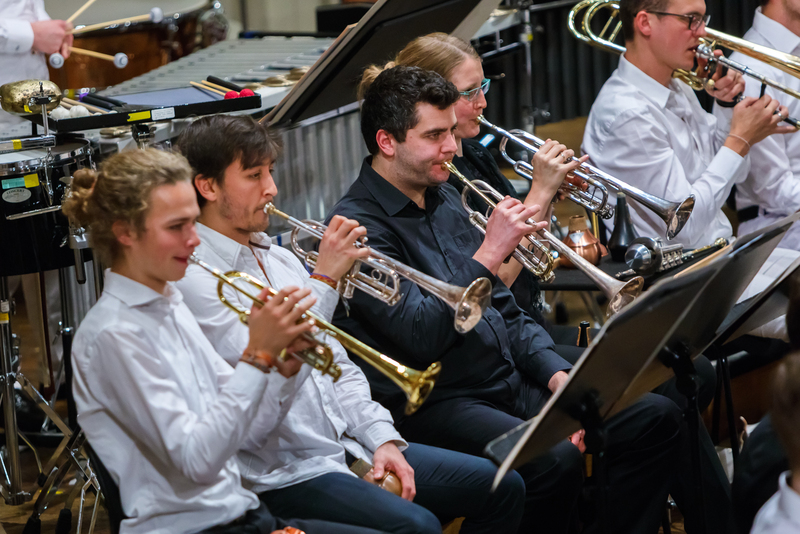 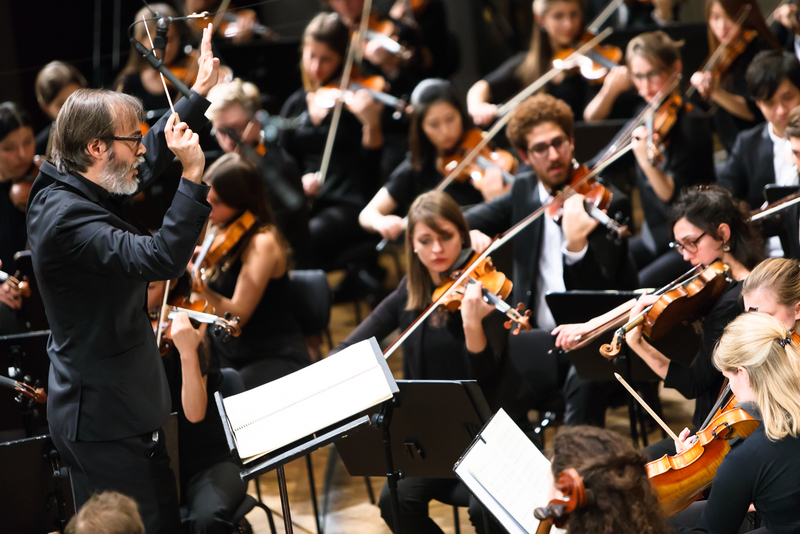 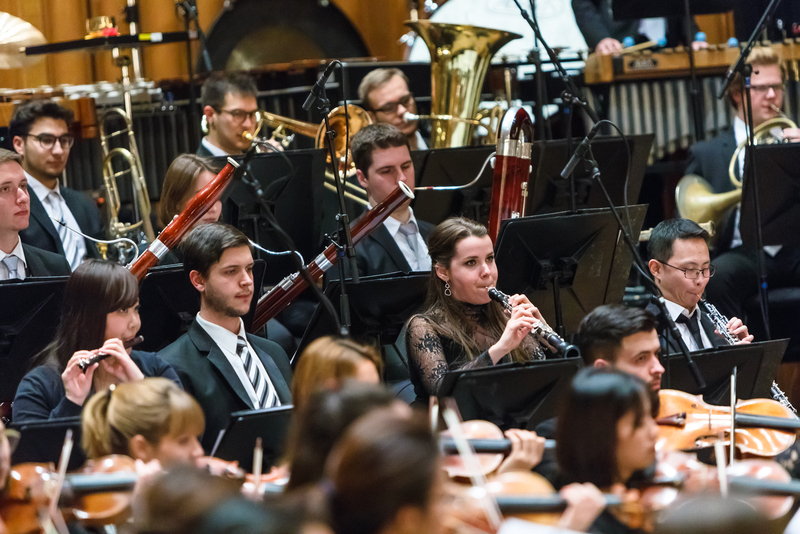 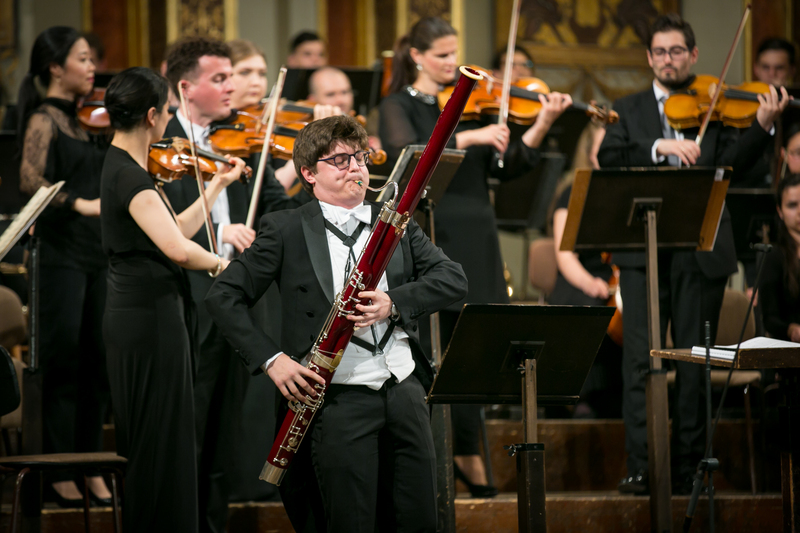 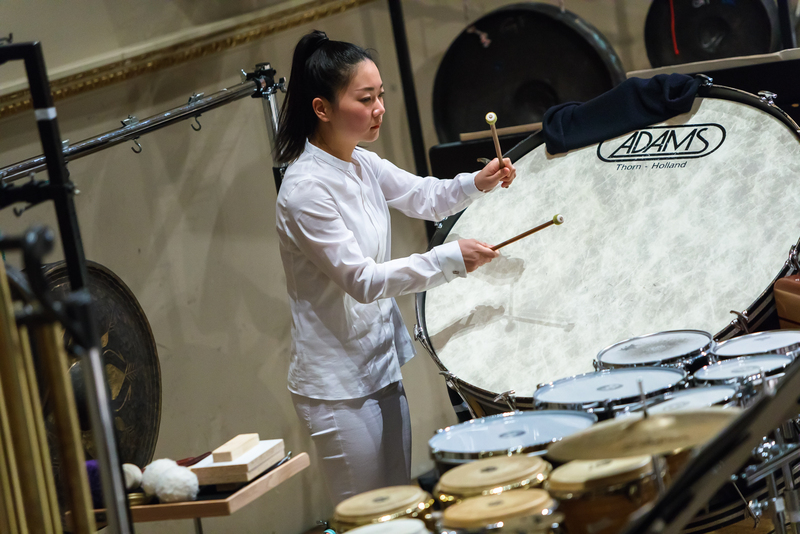 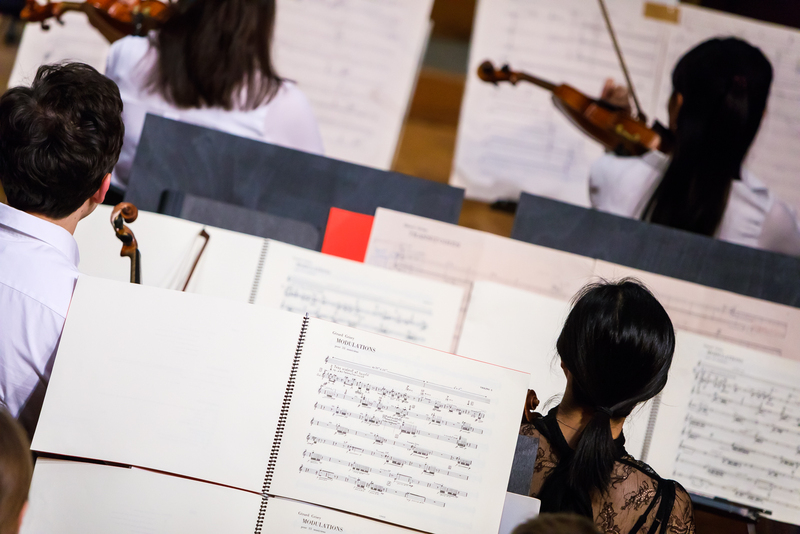 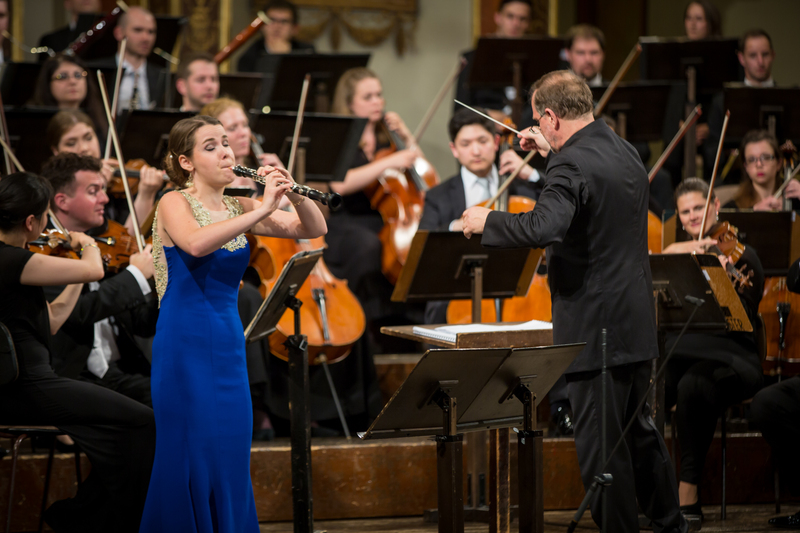 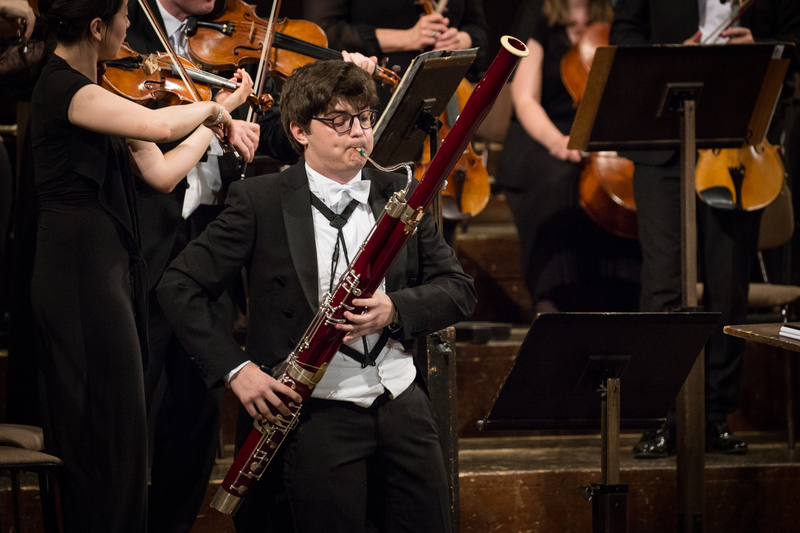 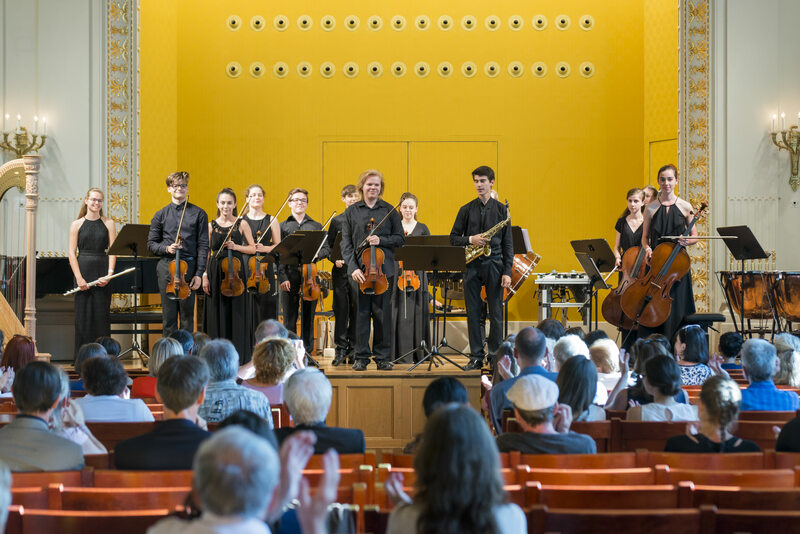 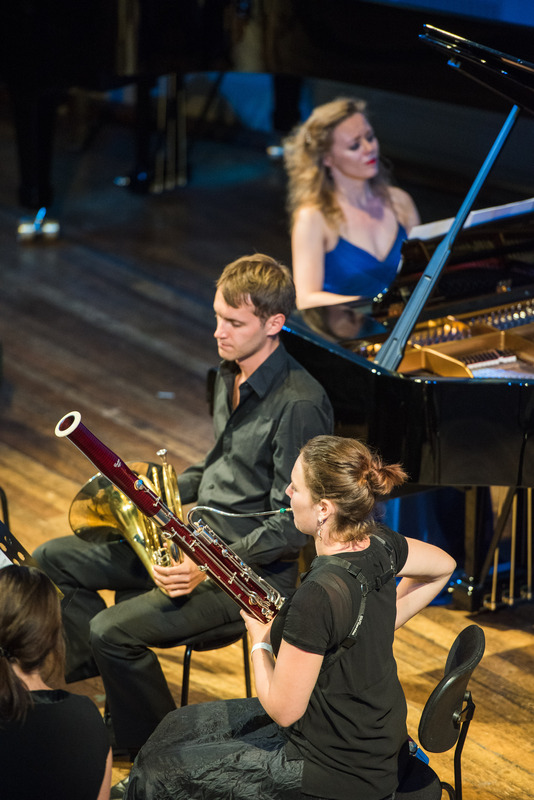 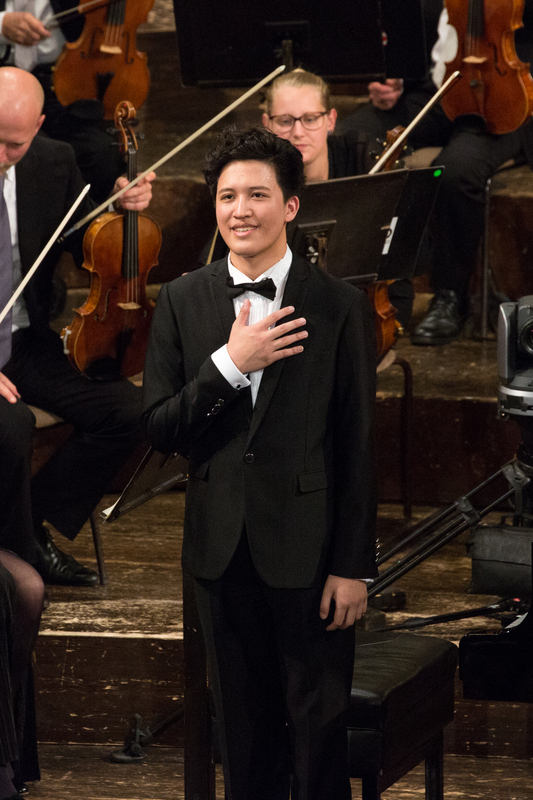 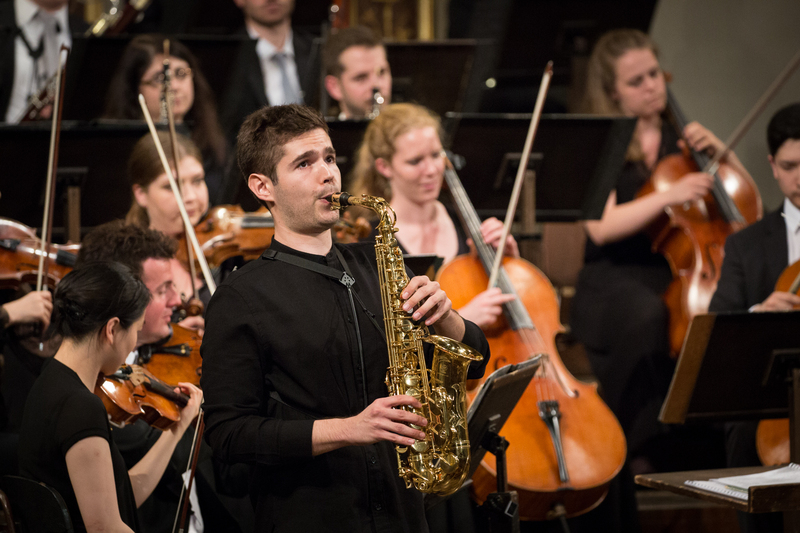 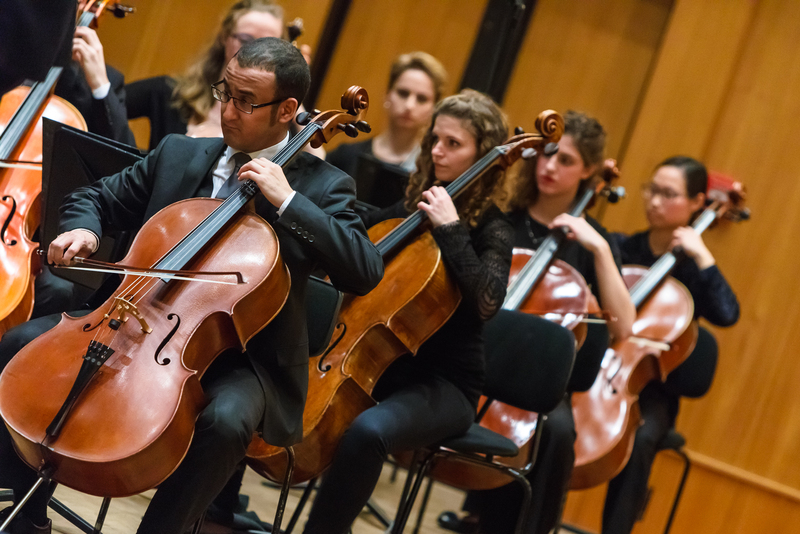 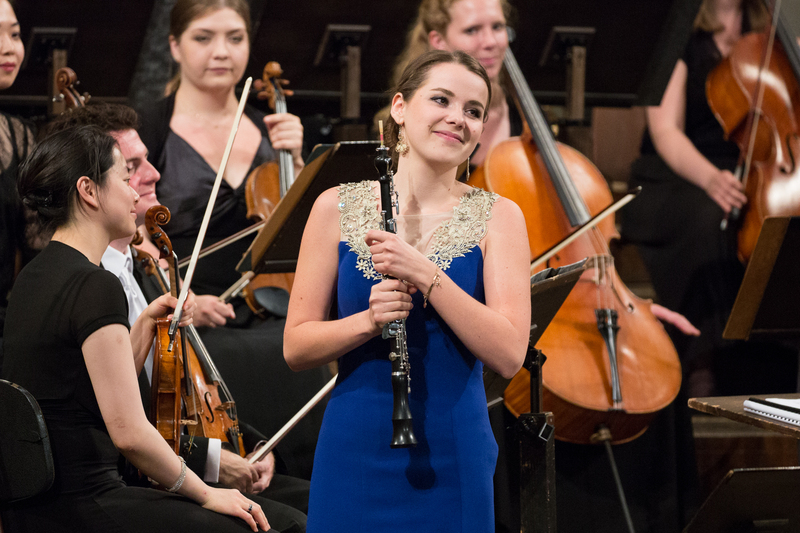 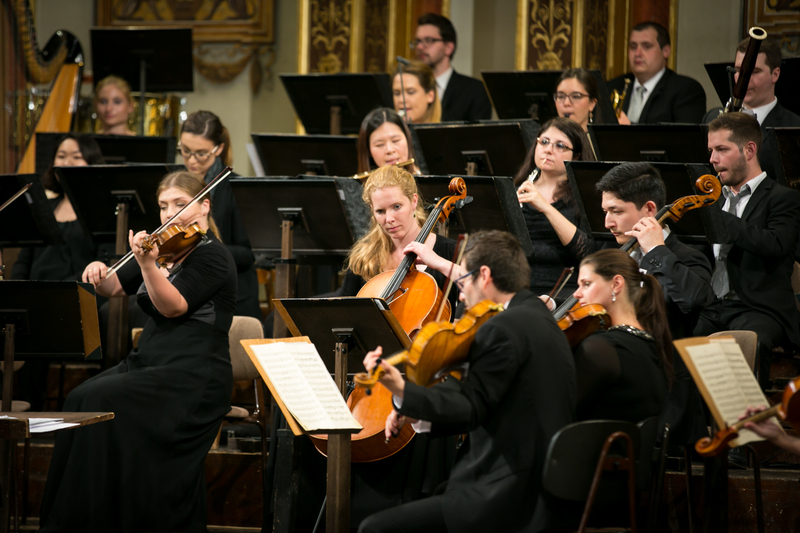 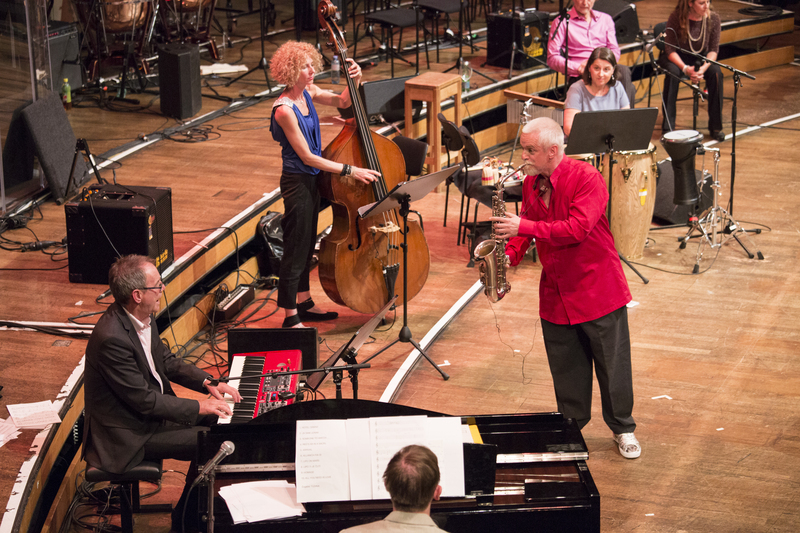 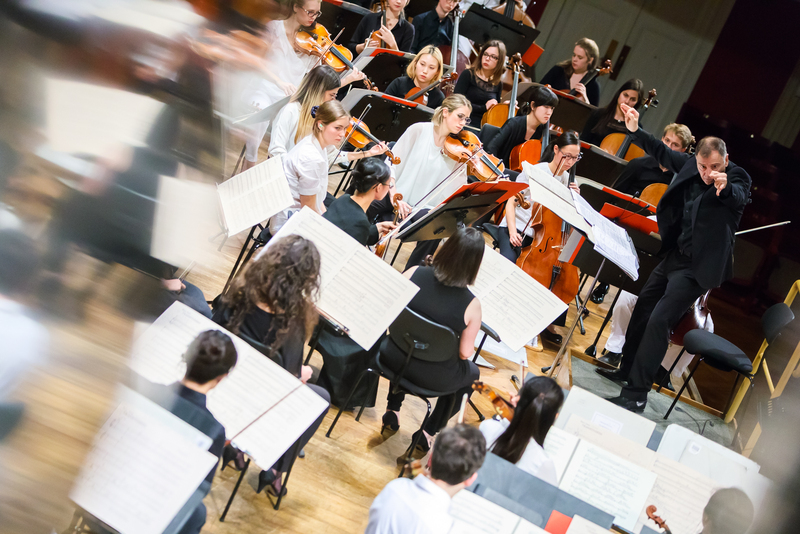 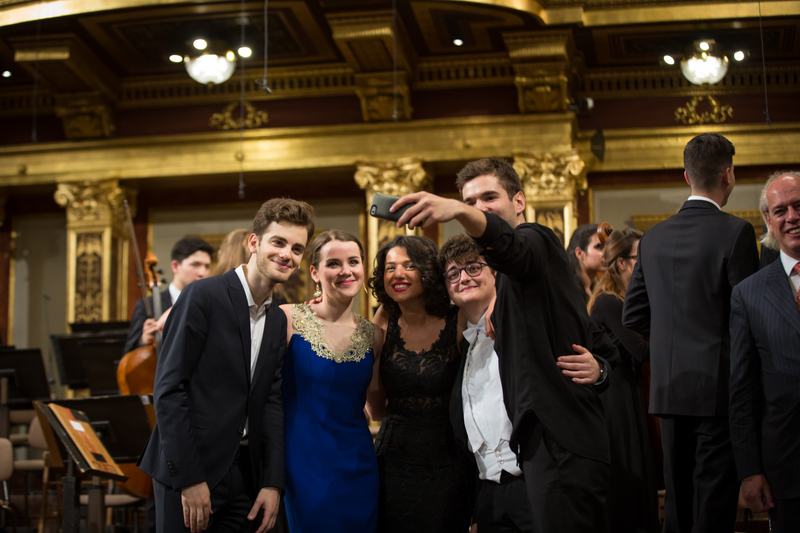 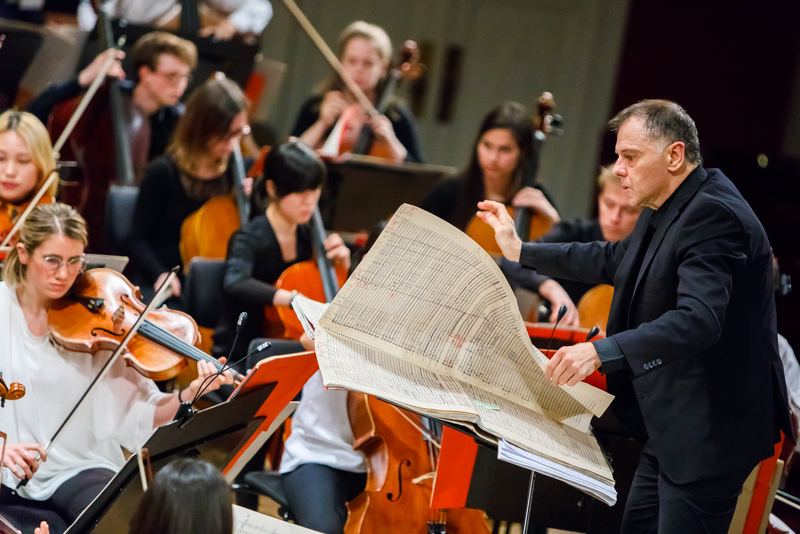 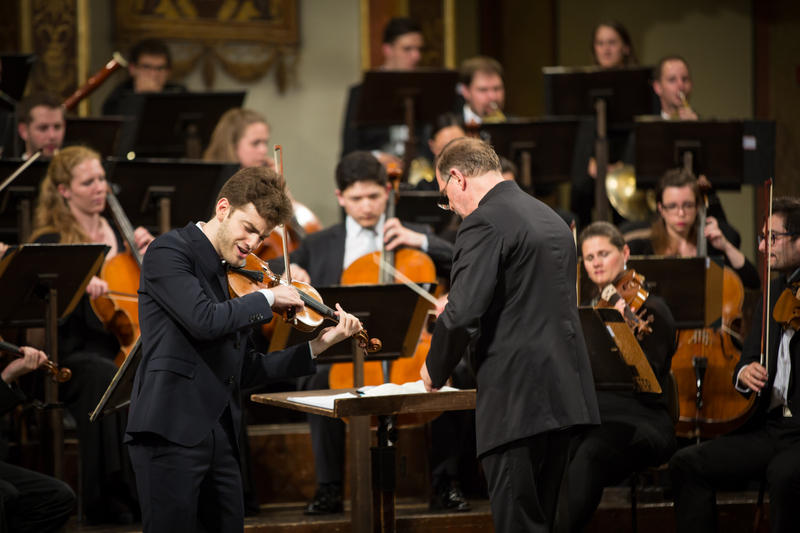 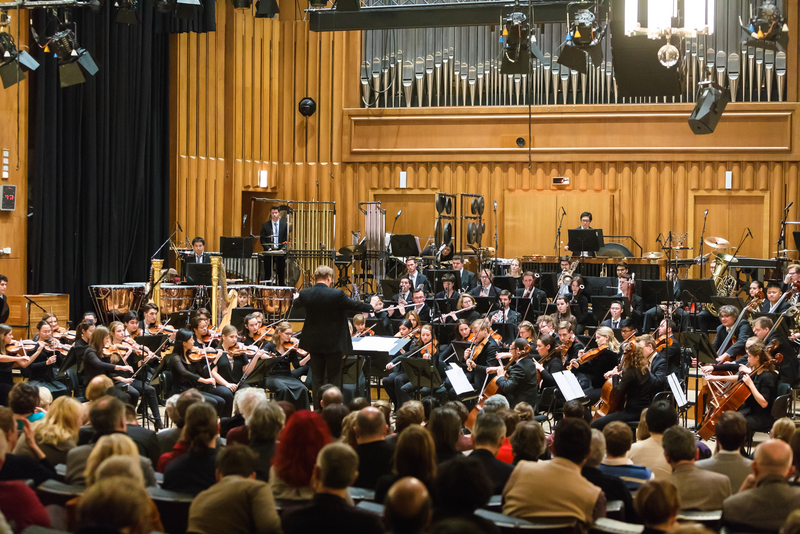 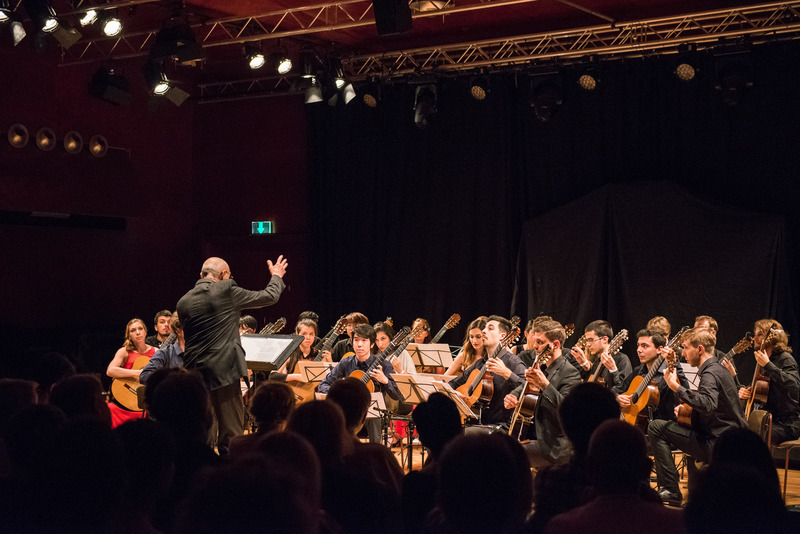 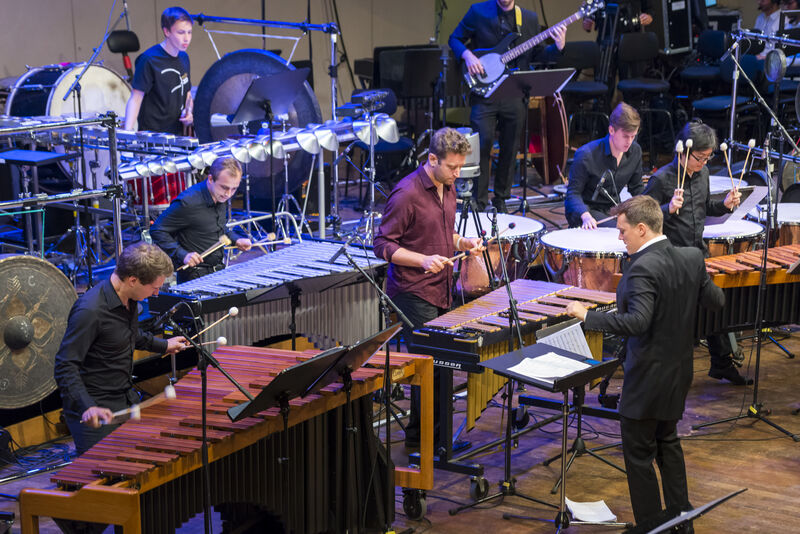 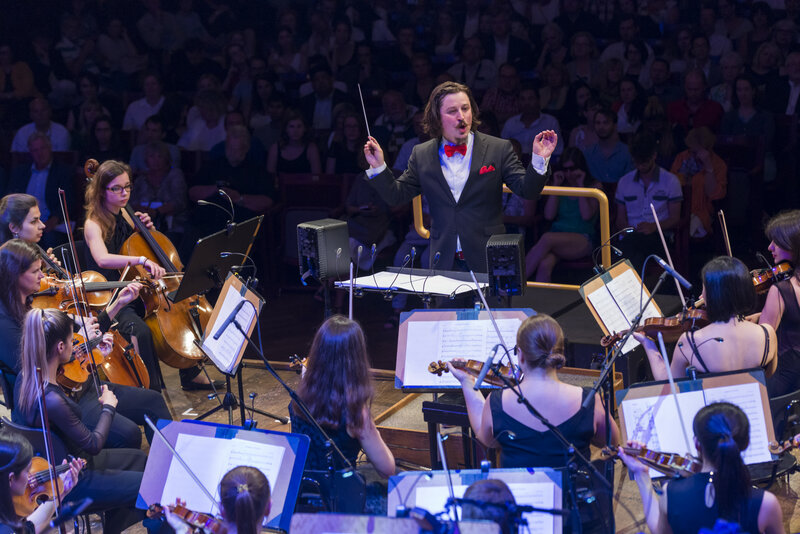 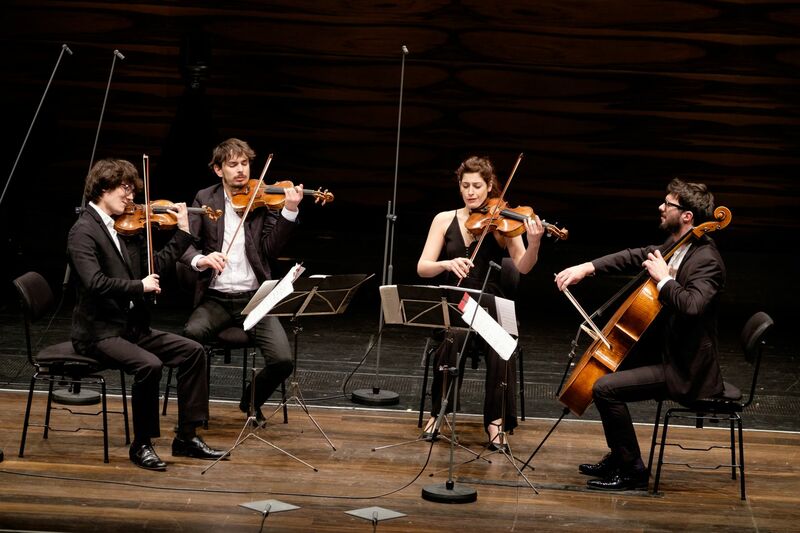 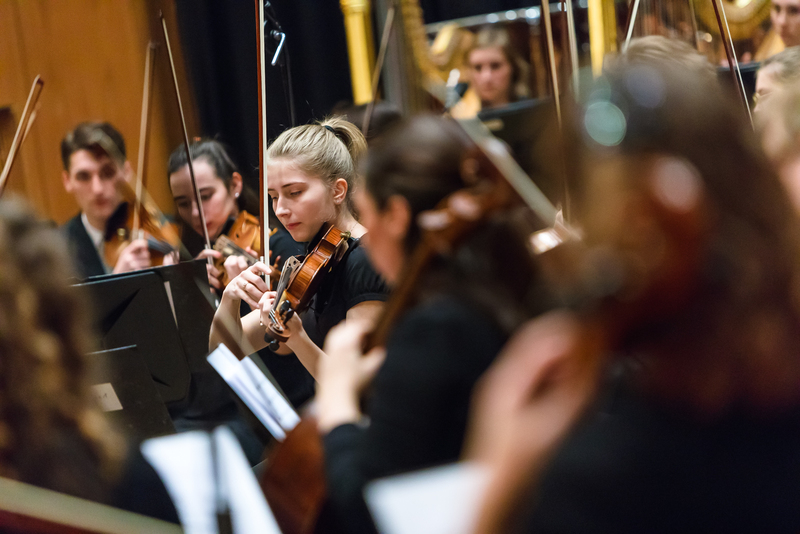 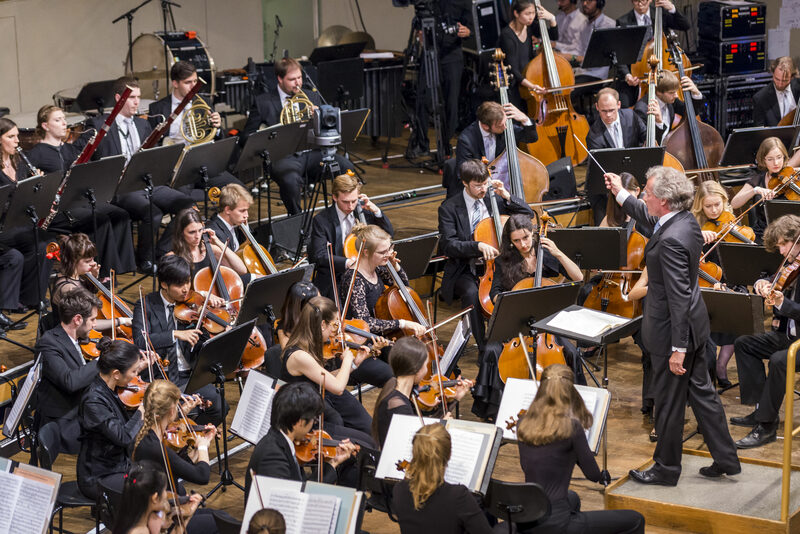 The Claudio Abbado Concert brought together students from the mdw and from the Conservatoire national supérieur de musique et de danse de Paris to form a combined orchestra. 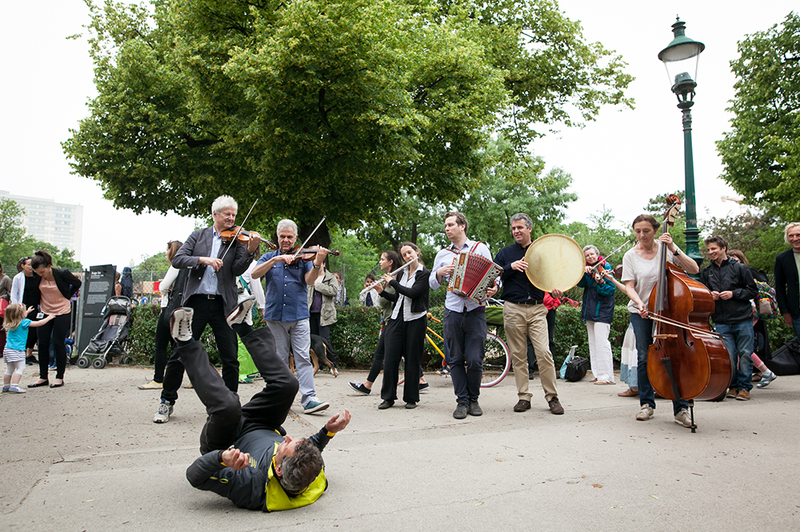 With his masterpiece Les Espaces Acoustiques, Gérard Grisey created an artwork of a positively ecstatic character and the smallest-possible transitions: in six steps, the music develops from a viola solo to seven, then eighteen musicians, then an orchestra, which is ultimately joined by four soloists. 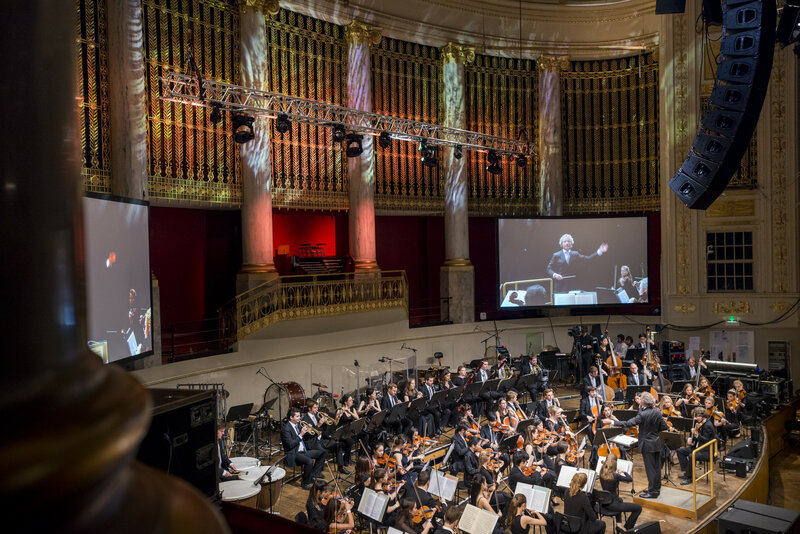 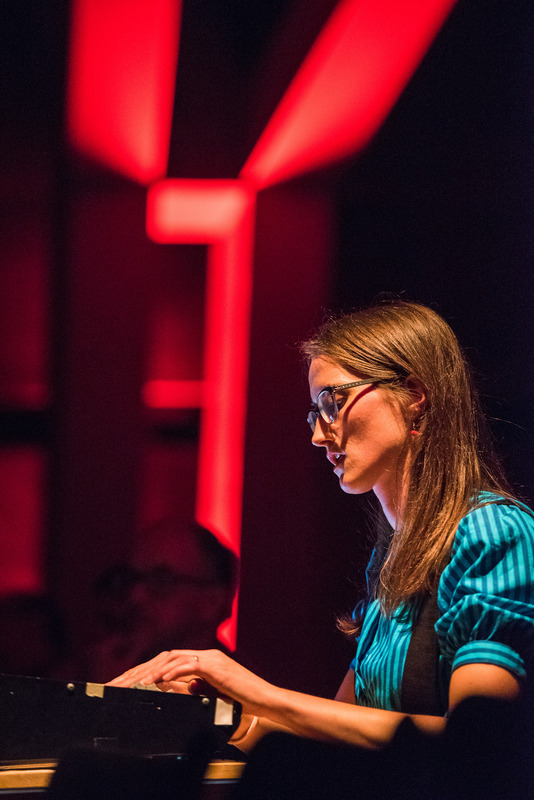 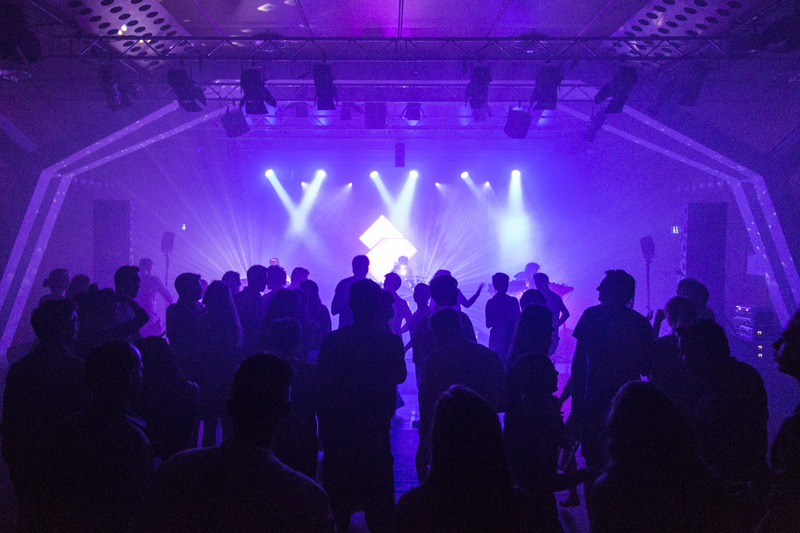 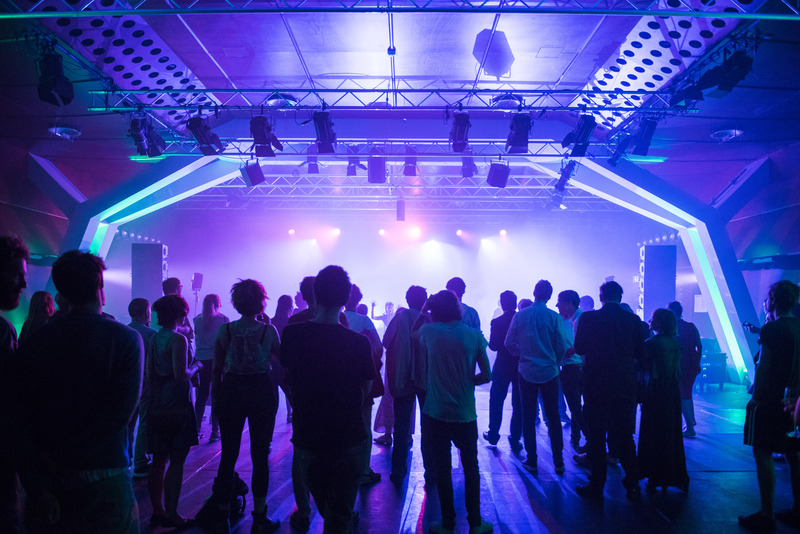 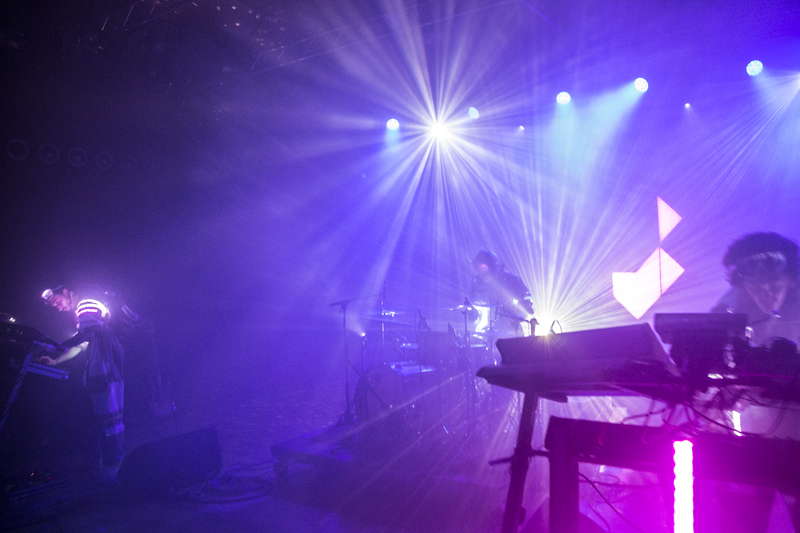 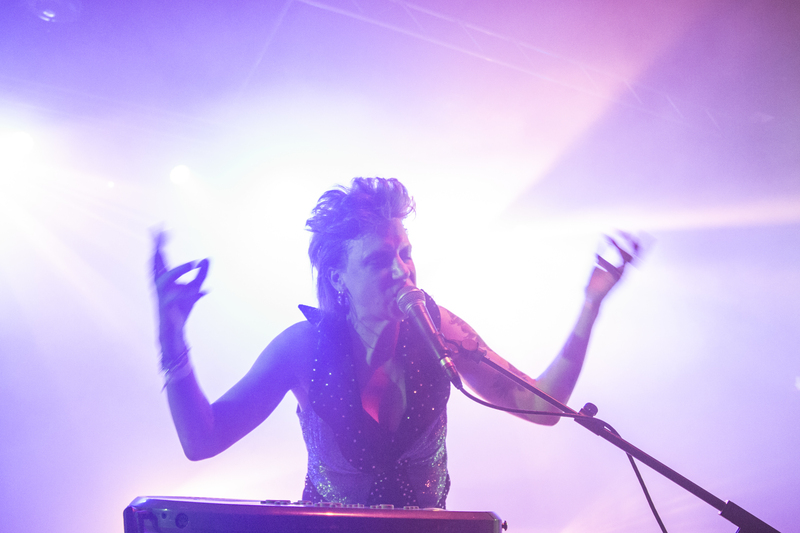 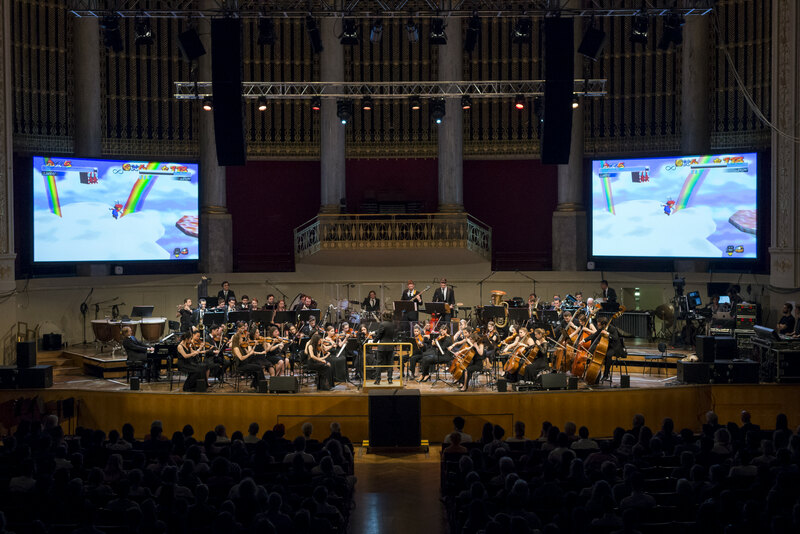 As part of a joint composing competition that adopted the festival’s 2017 motto of Bilder im Kopf [Images in the Mind], composers sought to compose music that evokes mental images solely by means of the orchestra—doing without films, videos, or projections. 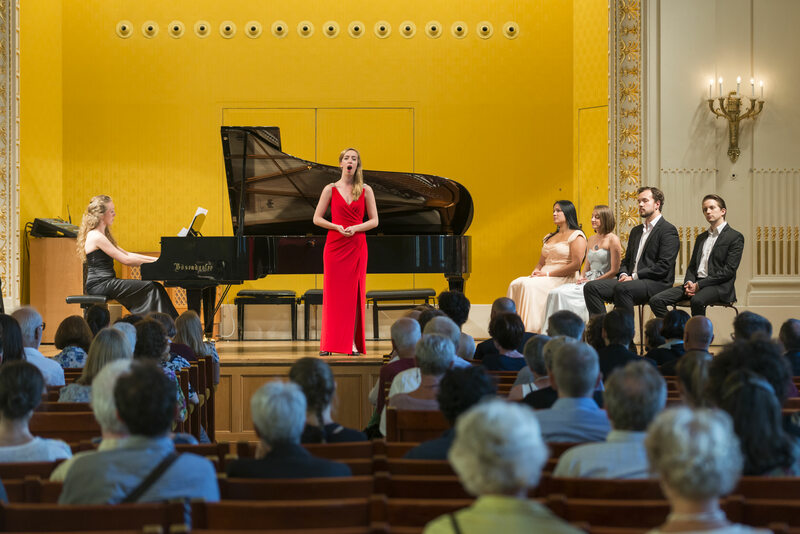 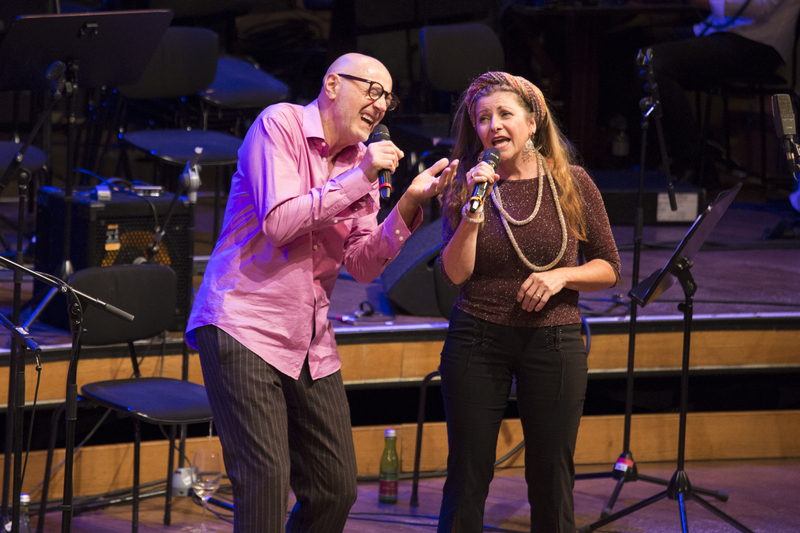 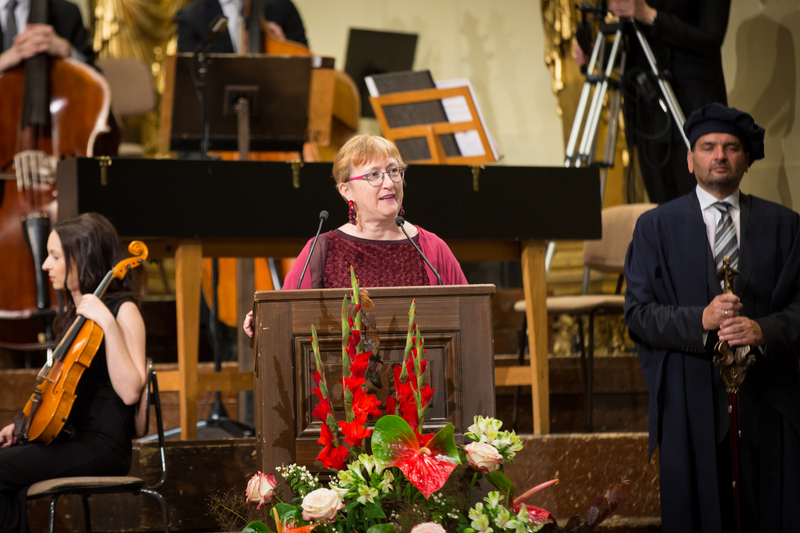 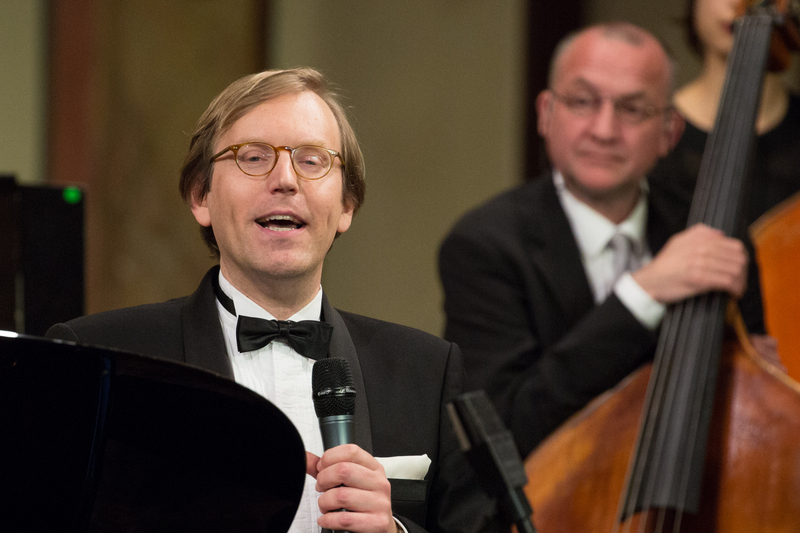 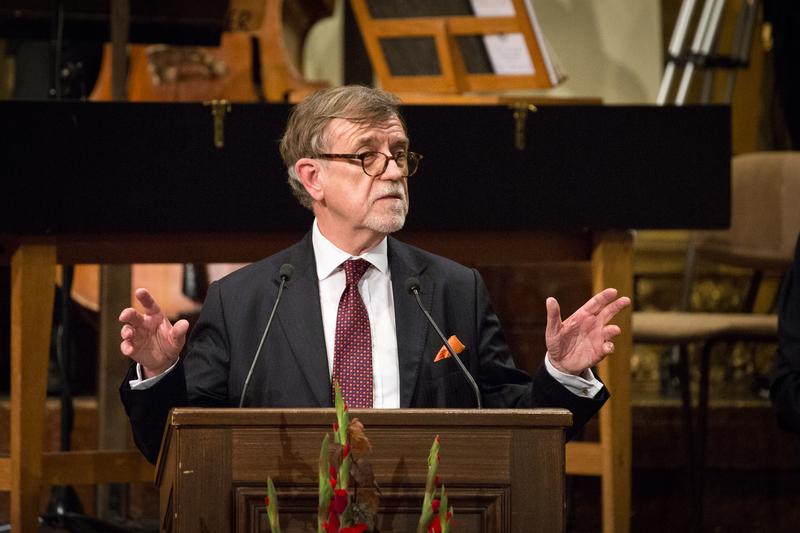 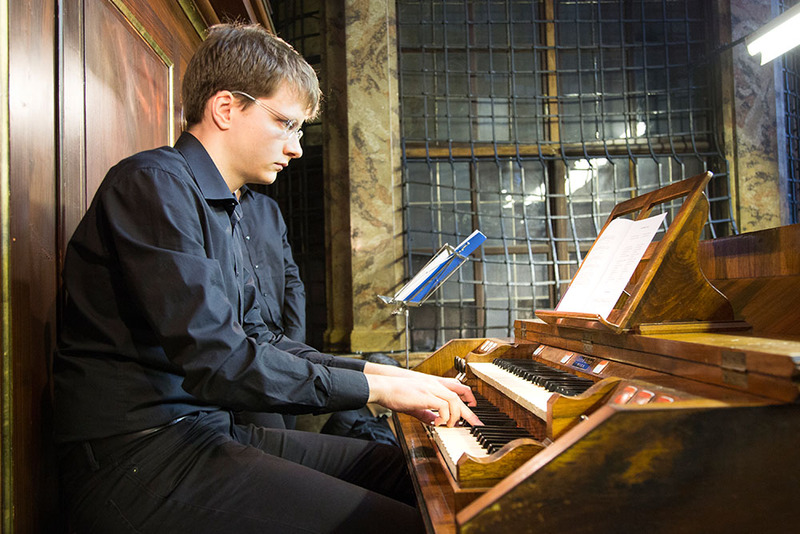 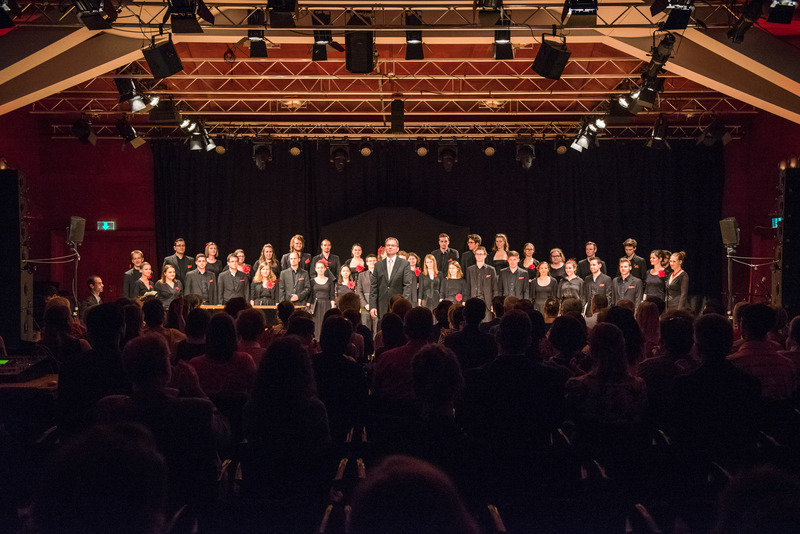 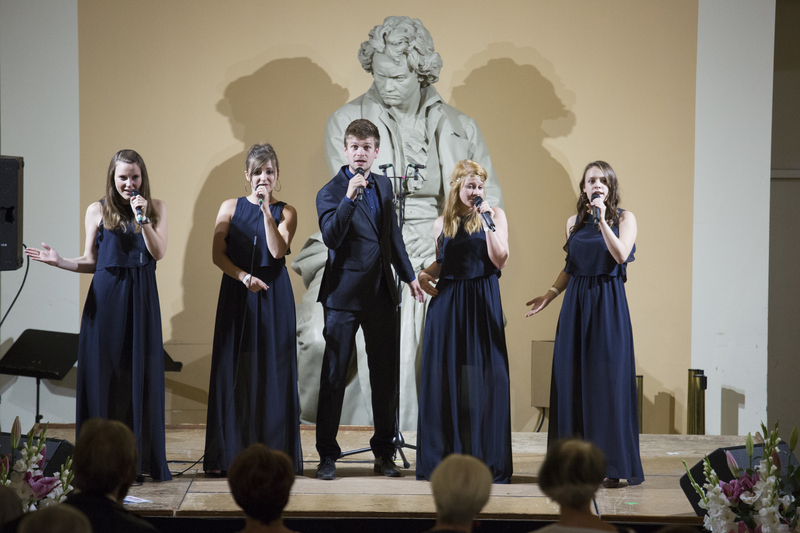 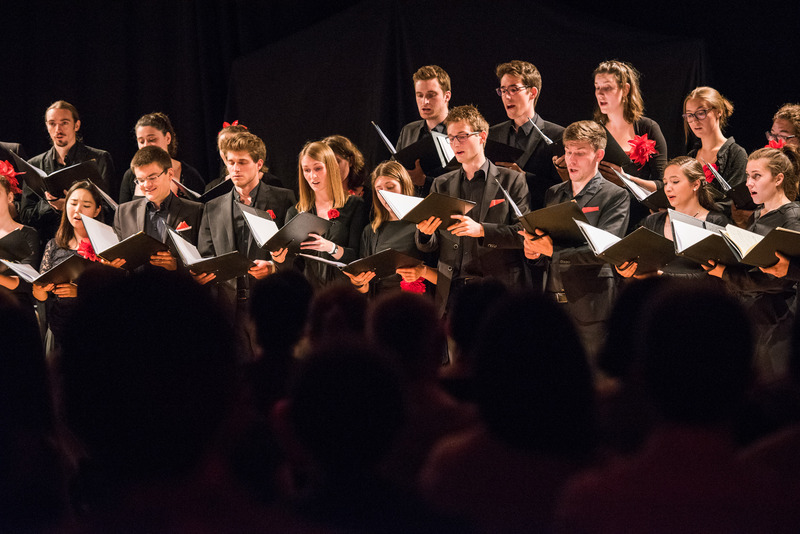 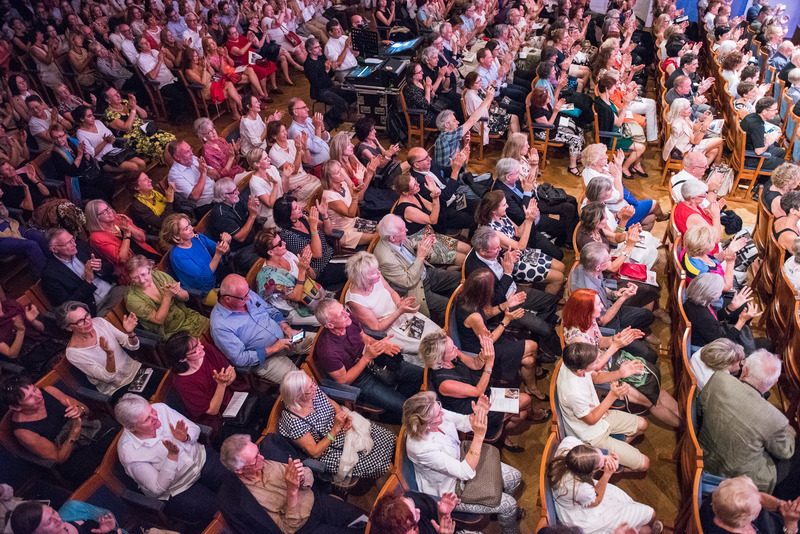 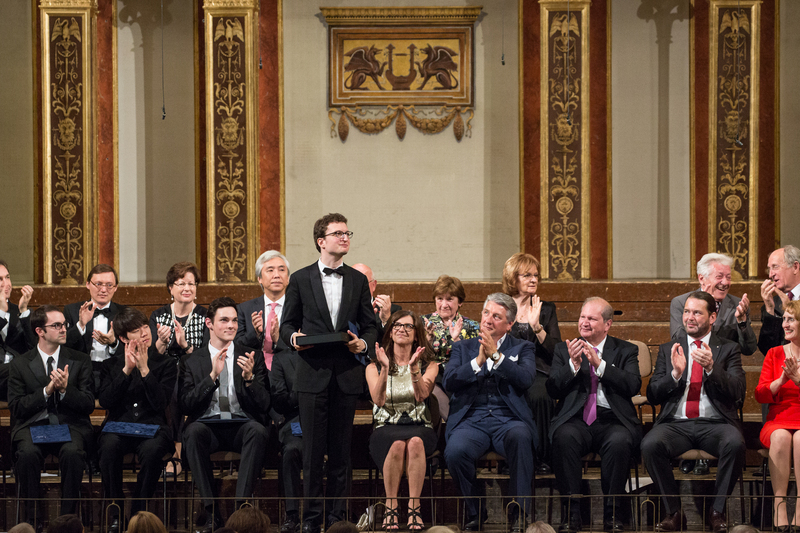 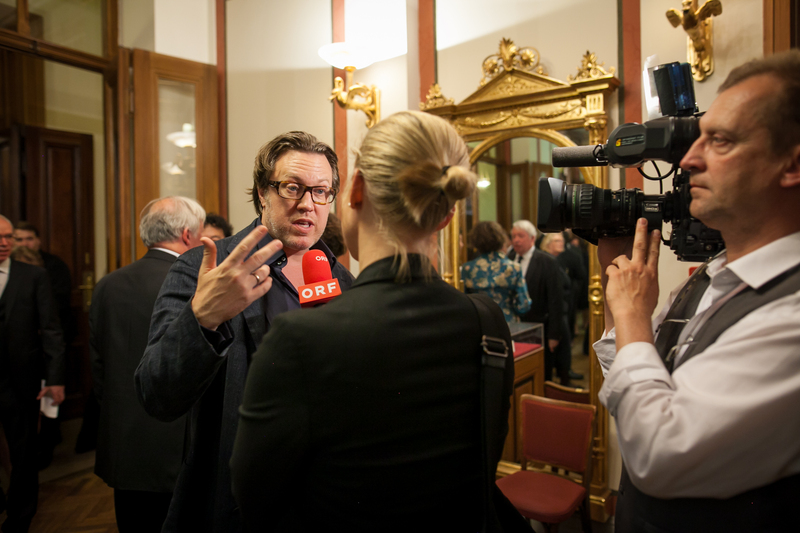 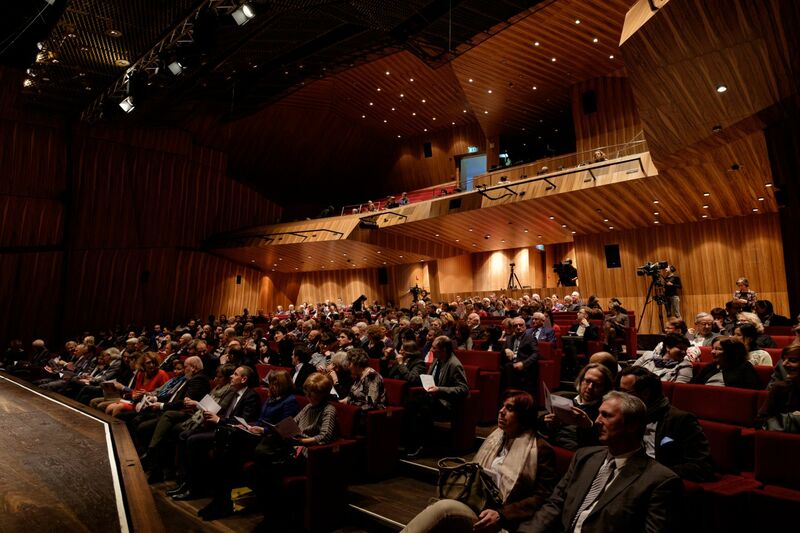 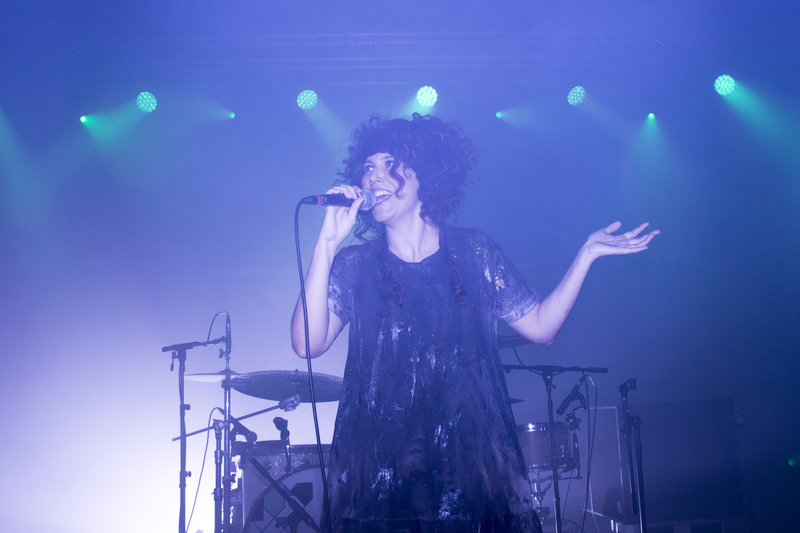 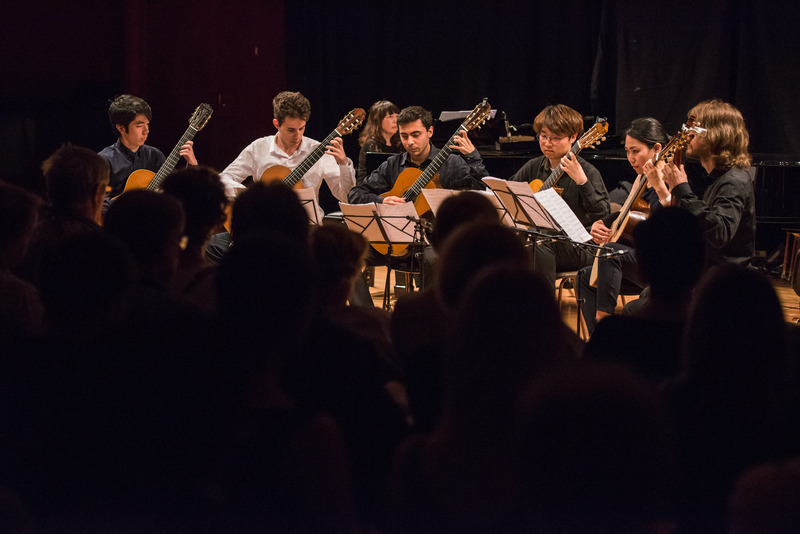 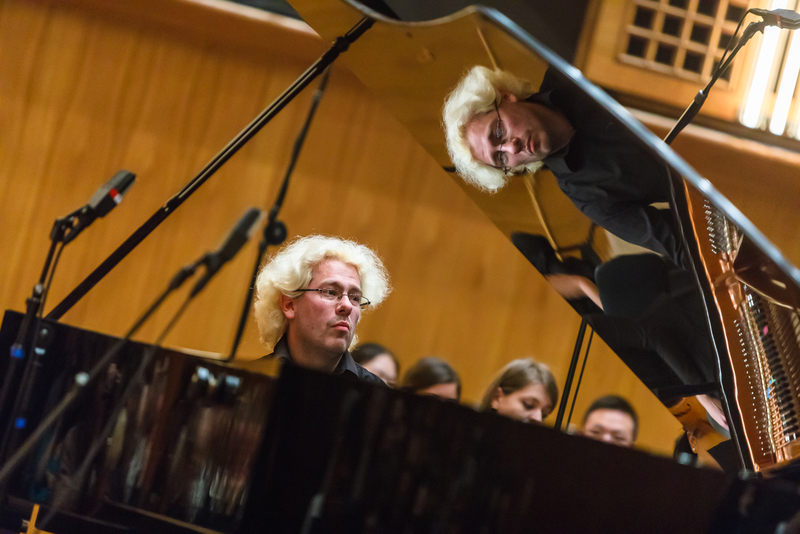 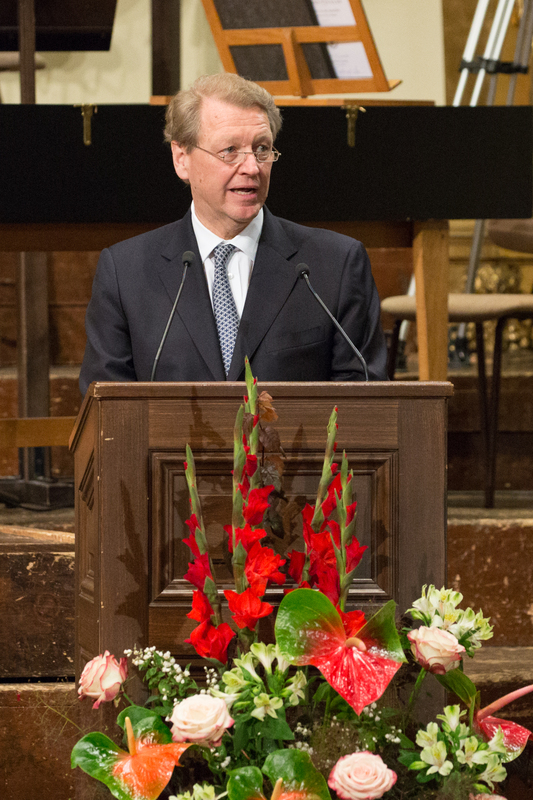 The winning works were premièred in the final concert at the RadioKulturhaus.